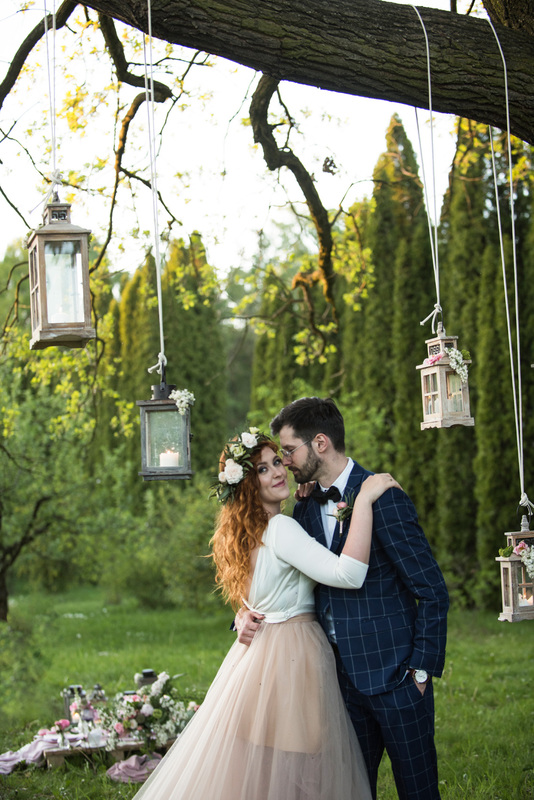 Are you looking for inspiration for unique wedding ceremony? 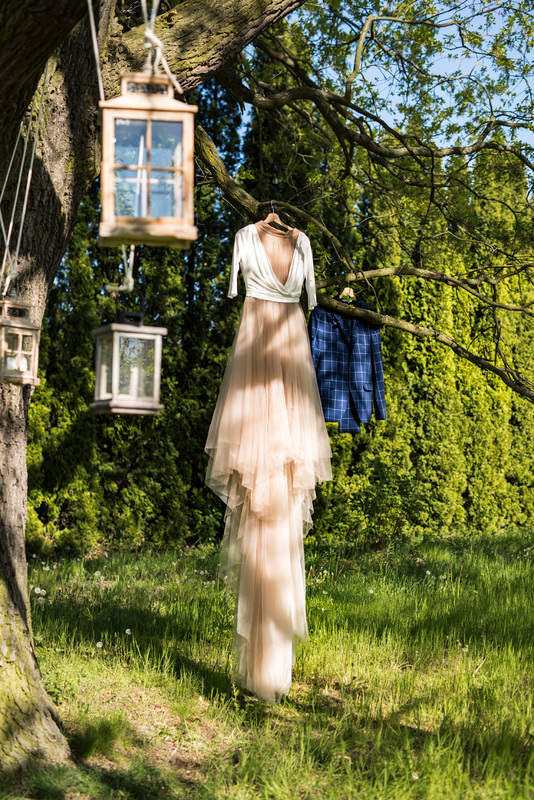 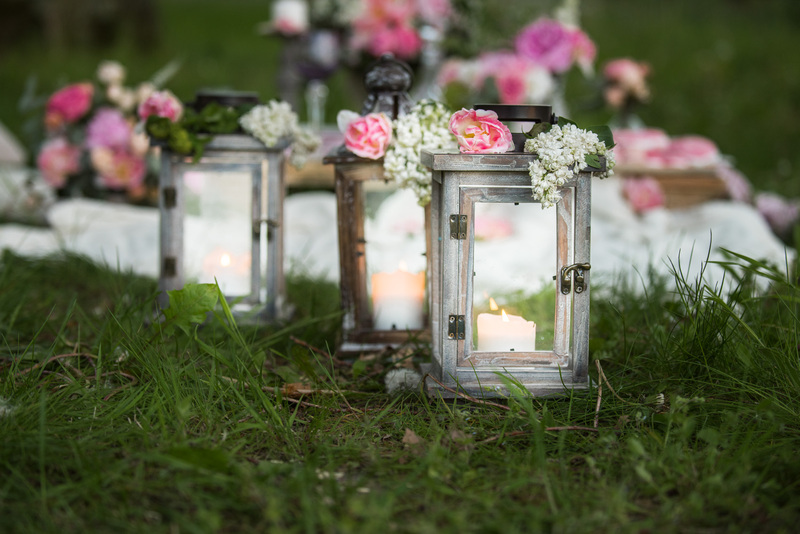 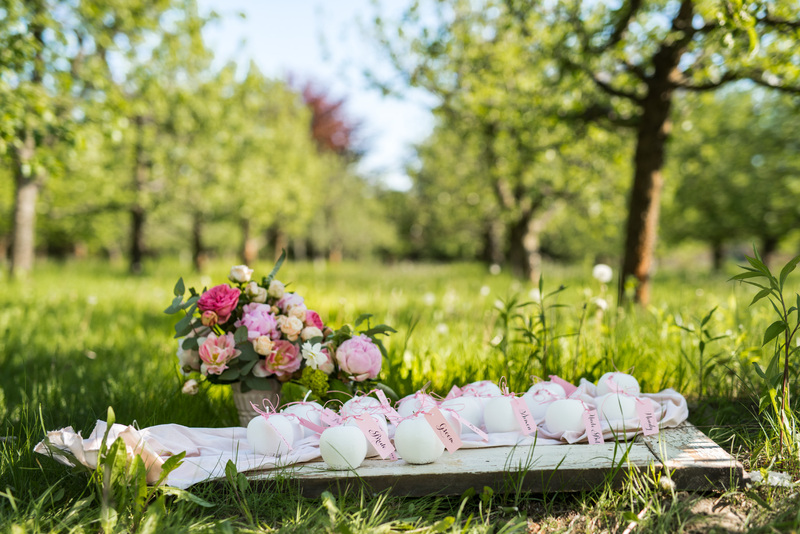 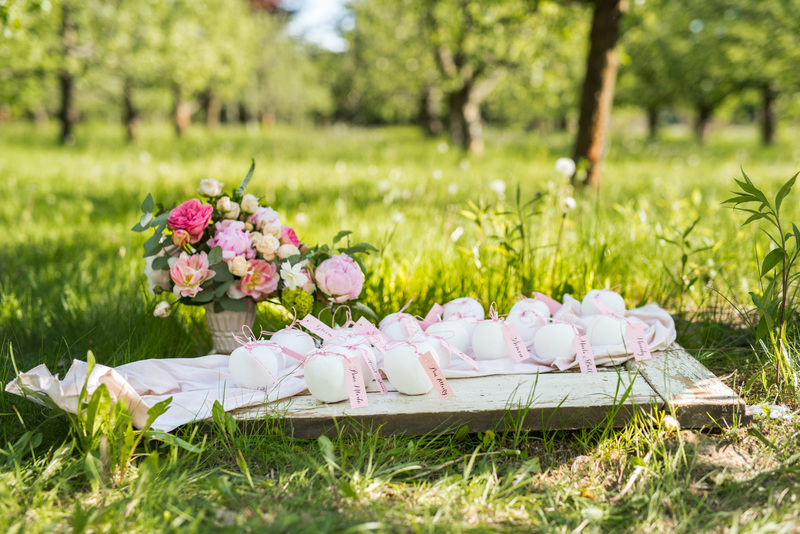 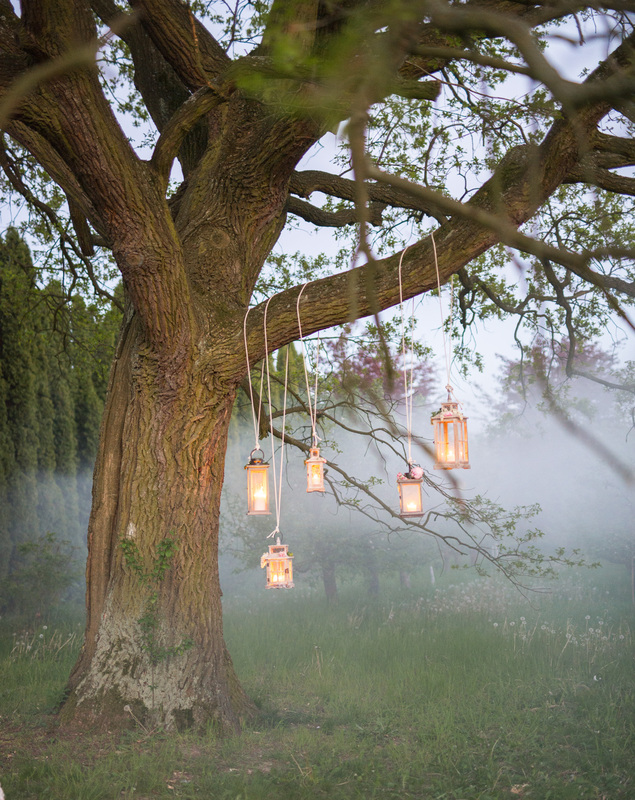 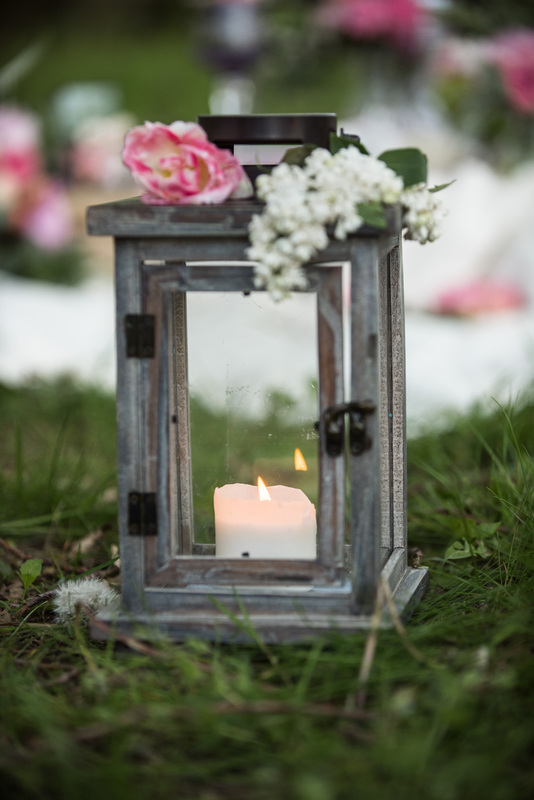 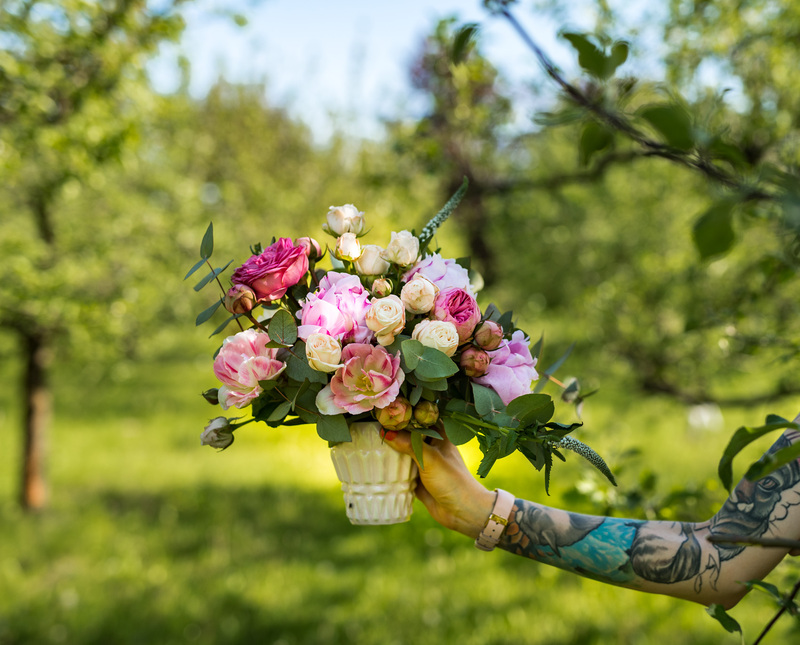 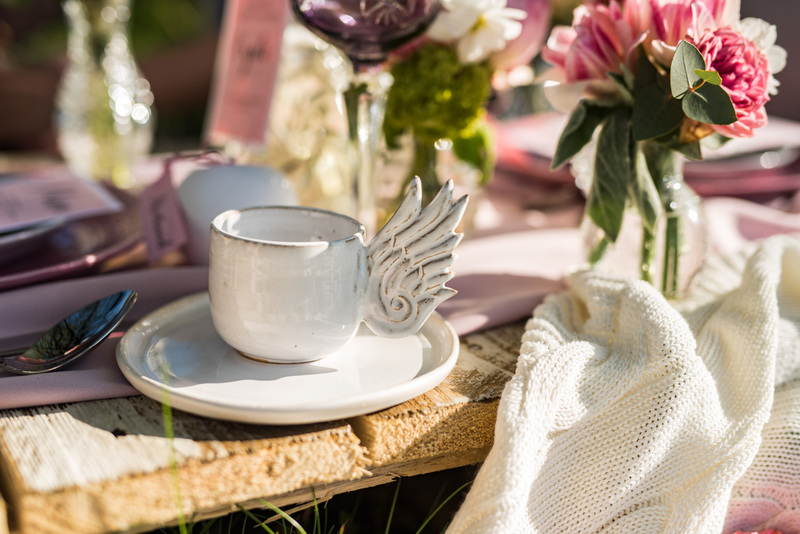 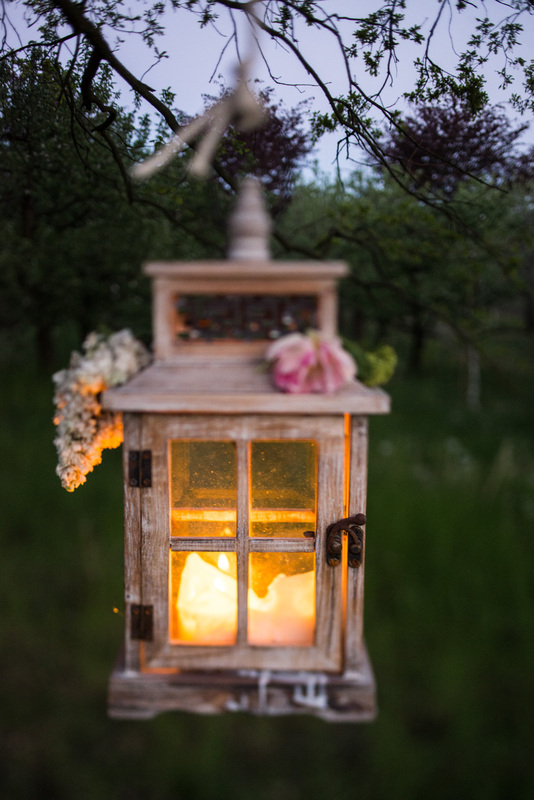 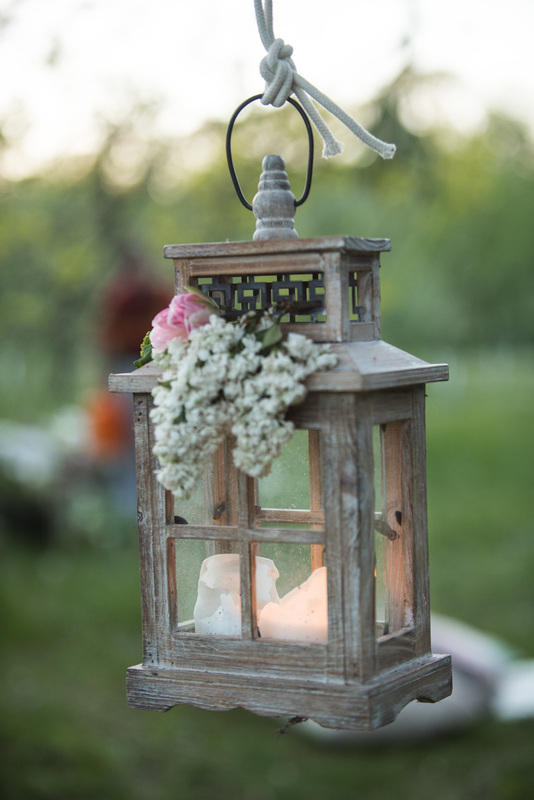 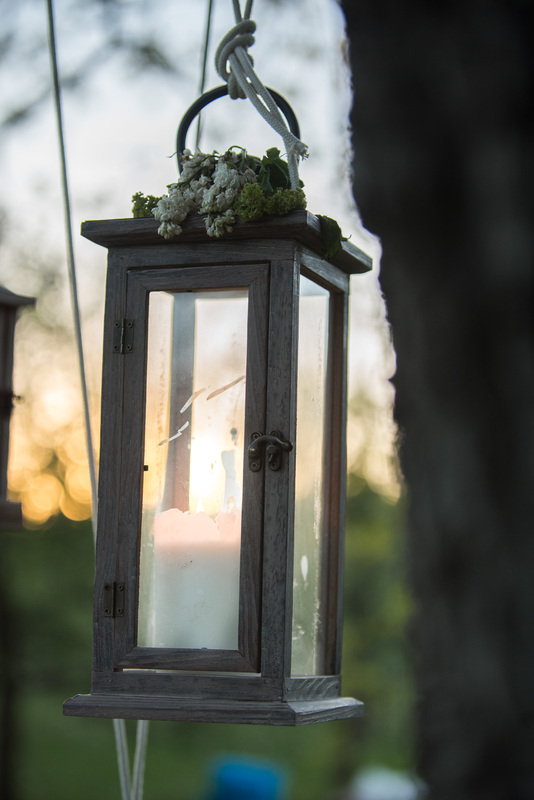 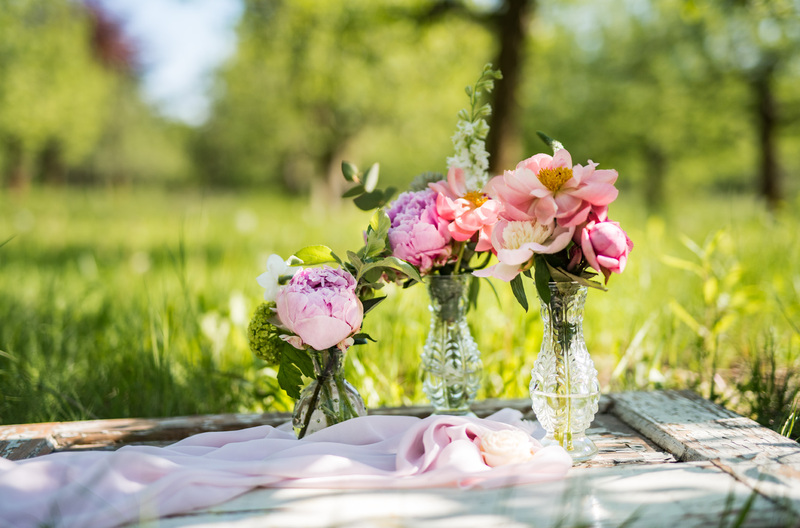 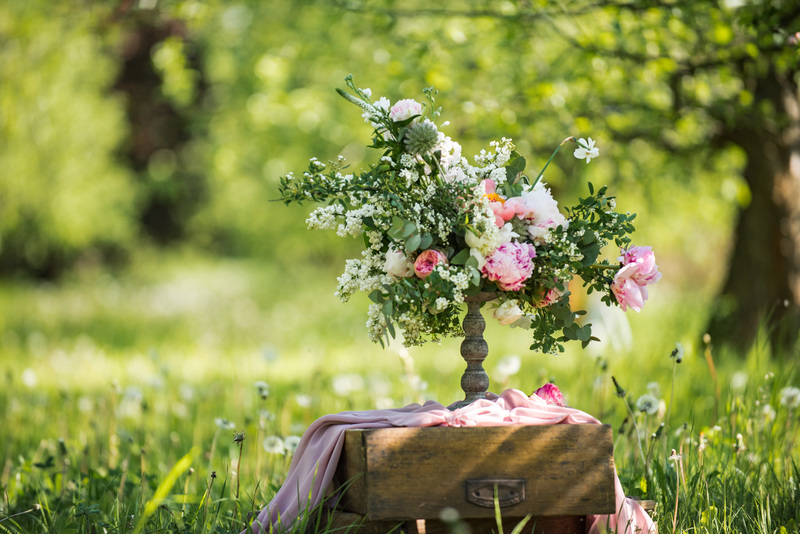 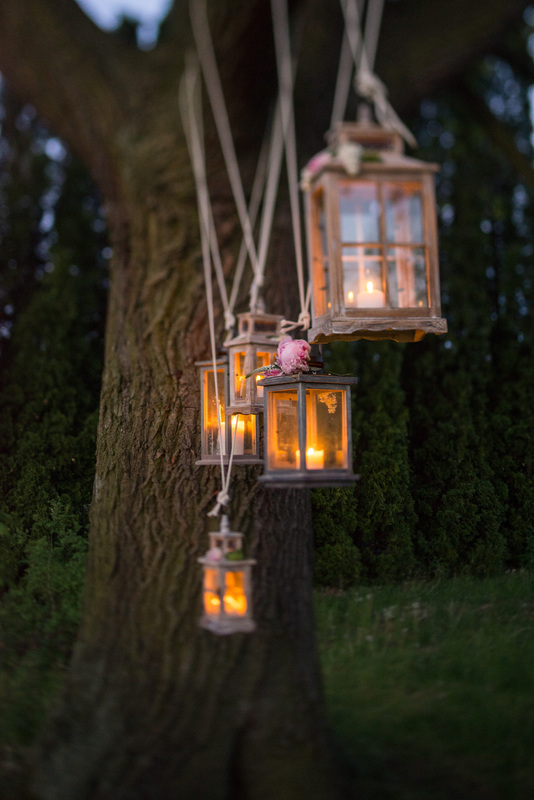 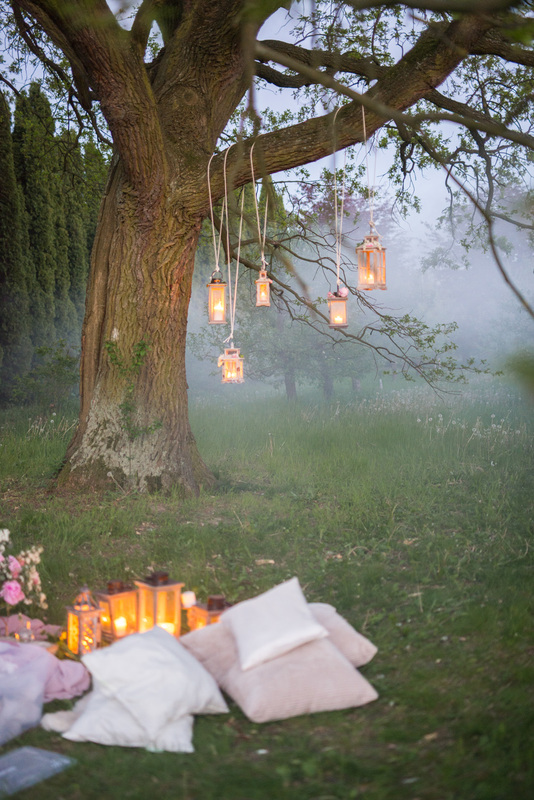 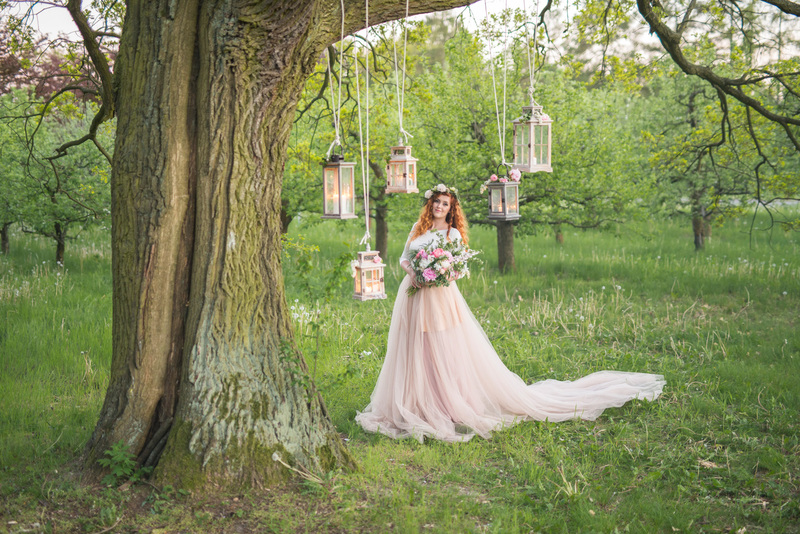 Turn your garden into your fairytale dream wedding venue! 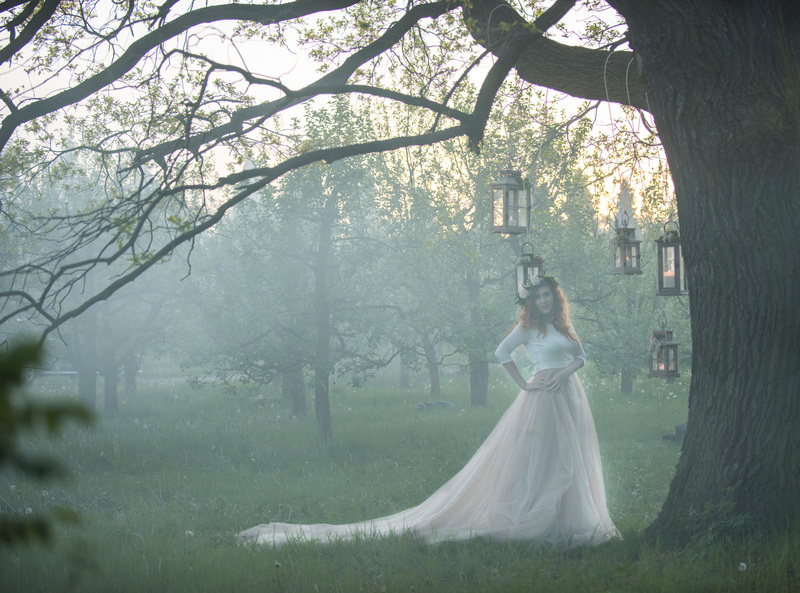 The secret dream of almost every girl, every woman is to live inside a fairytale. 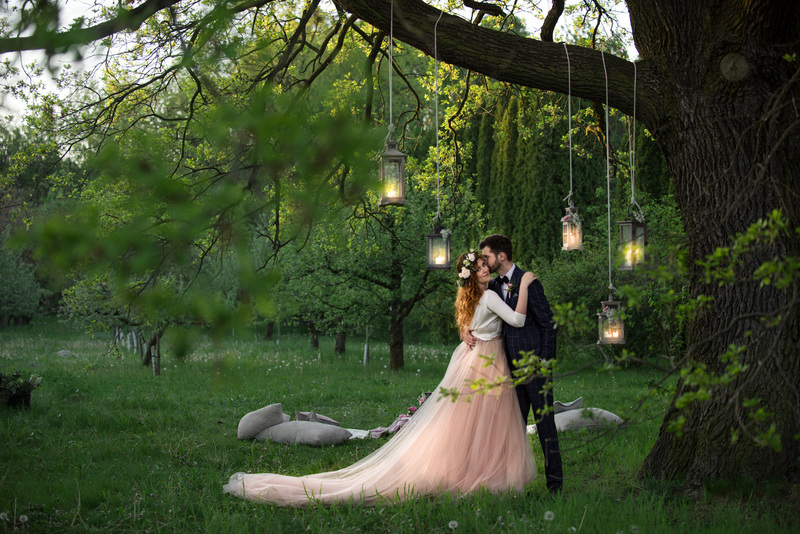 So, when you have finally found your prince, marry him in a special fairytale-like place! 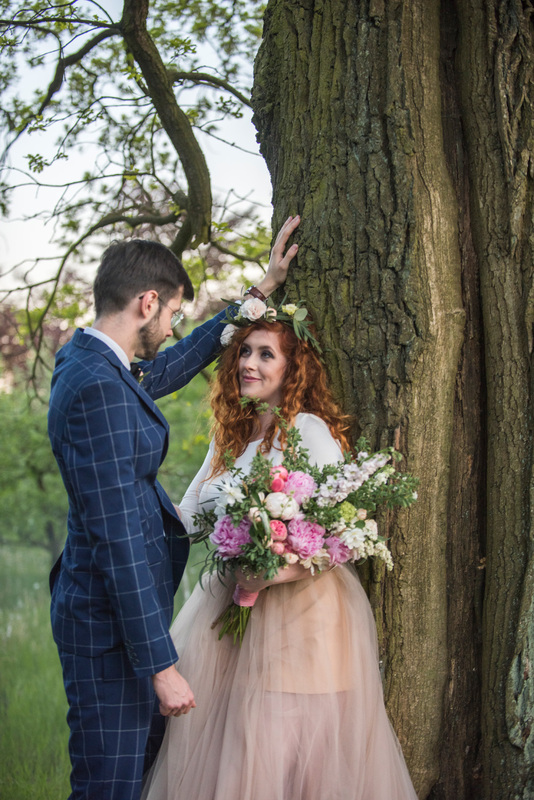 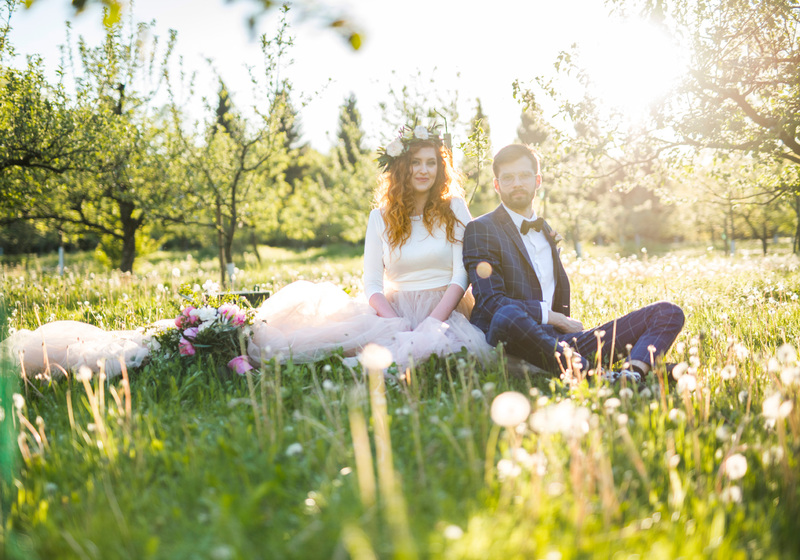 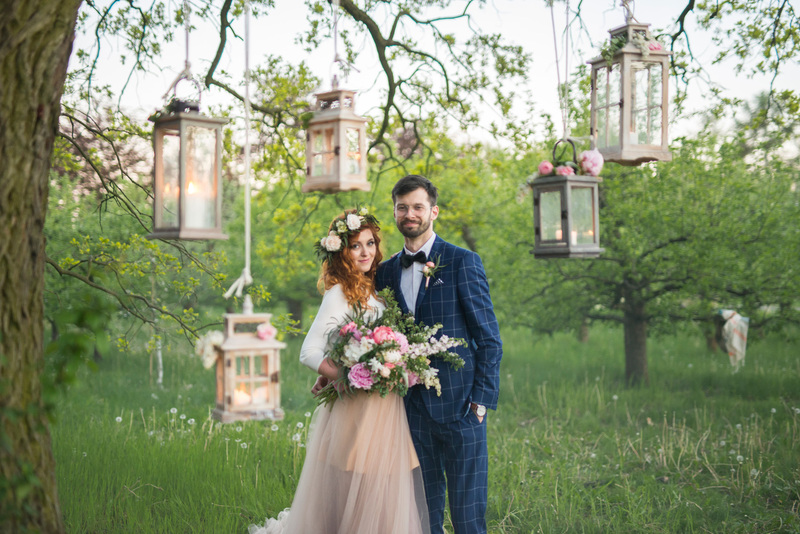 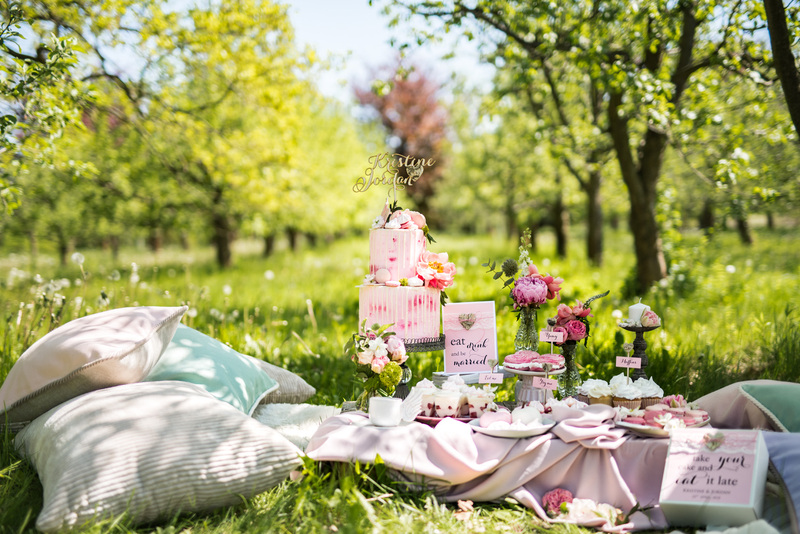 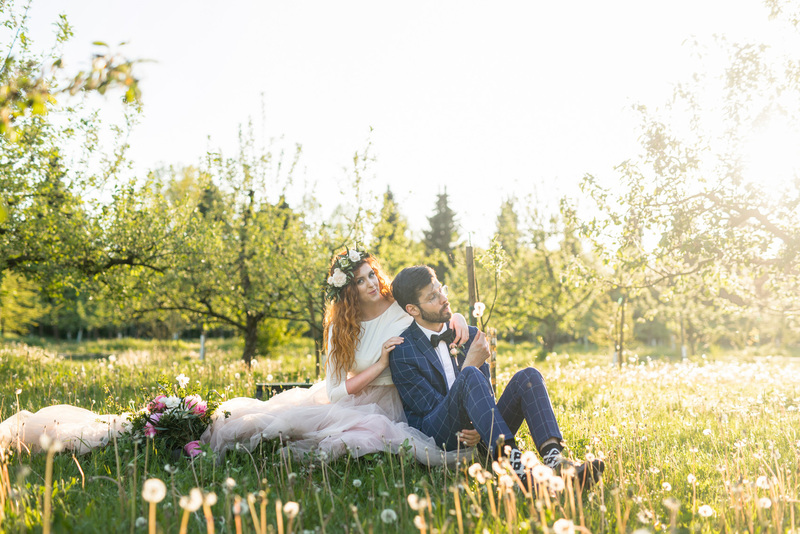 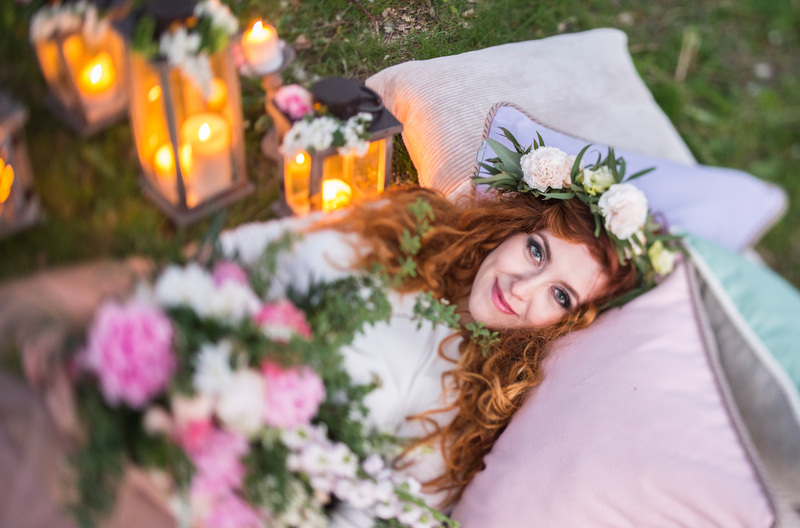 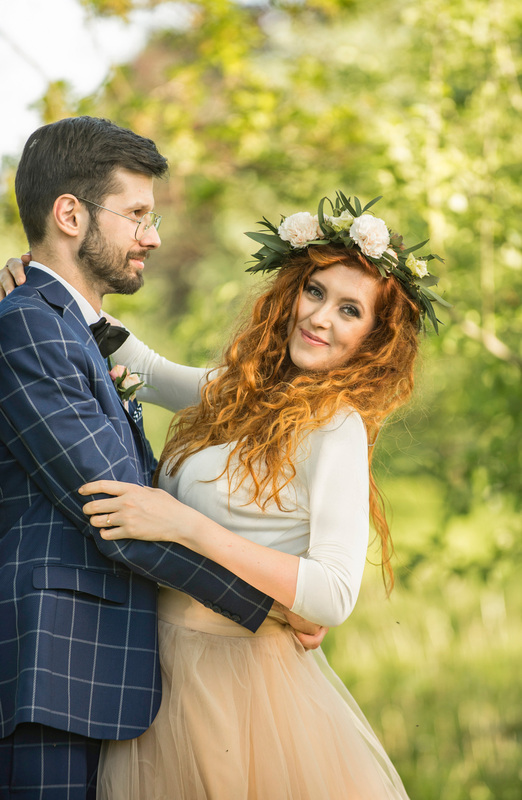 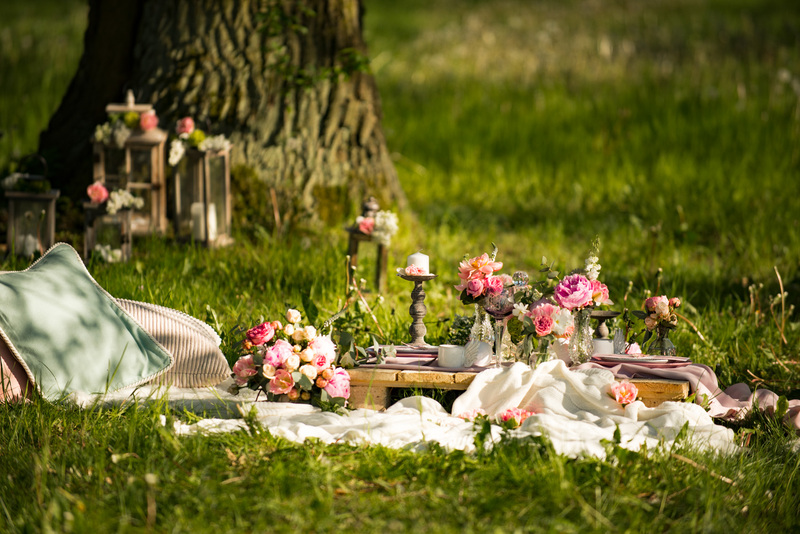 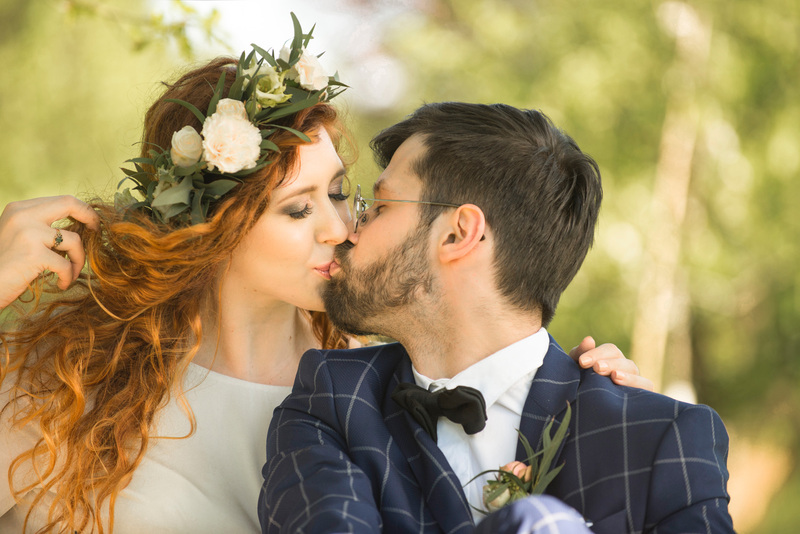 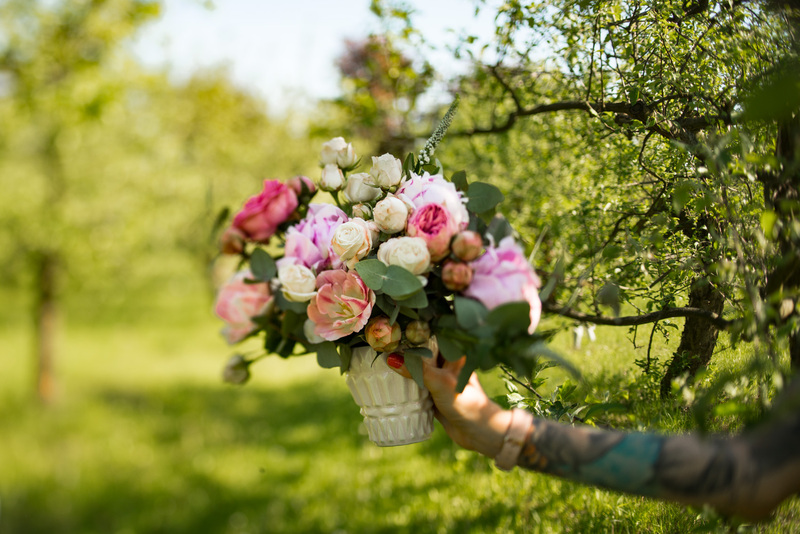 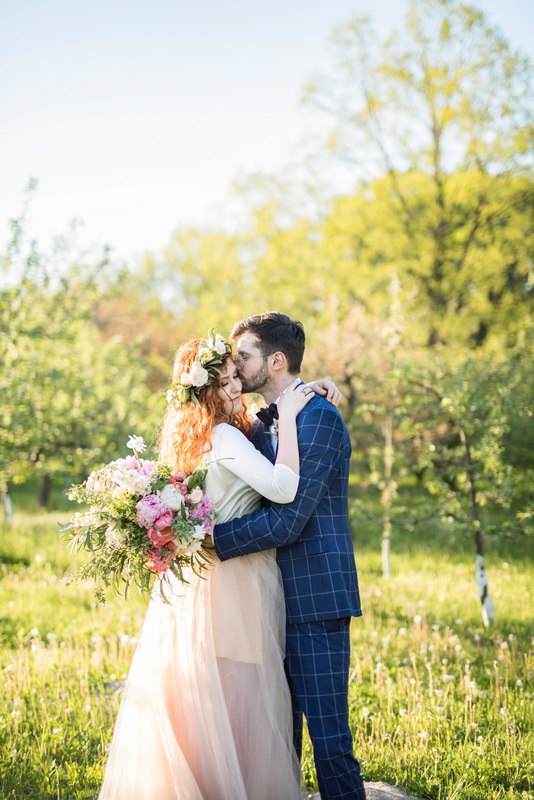 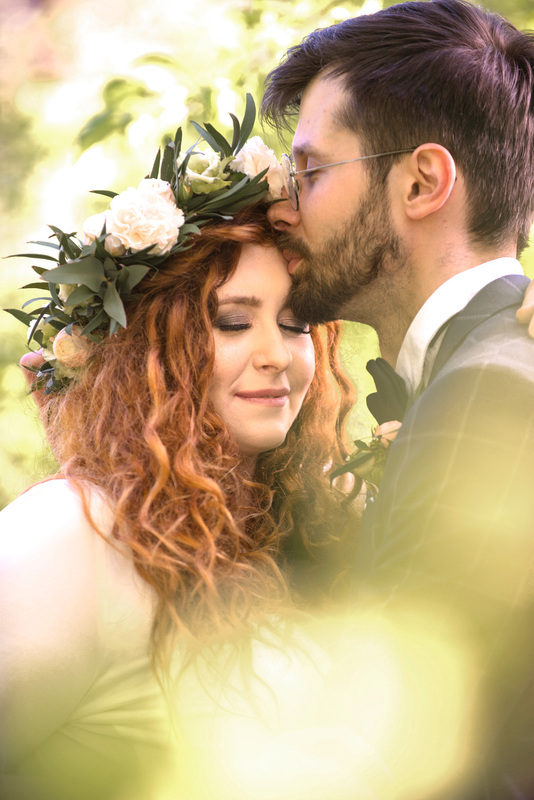 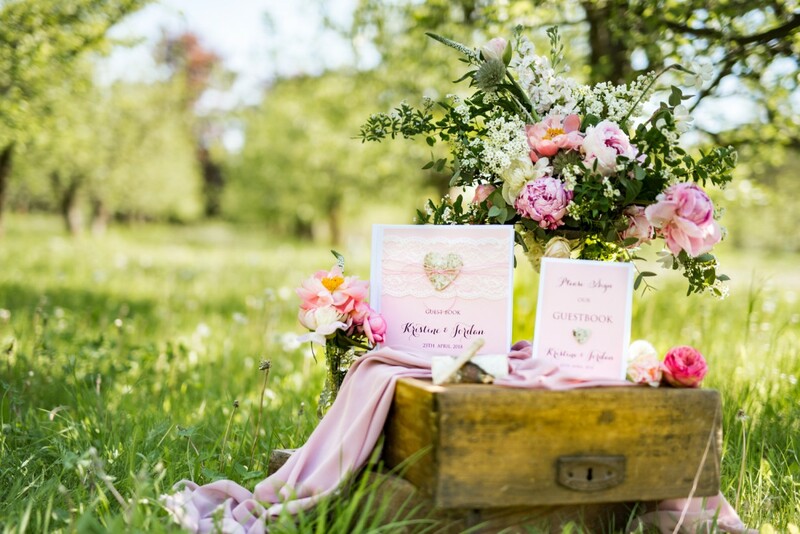 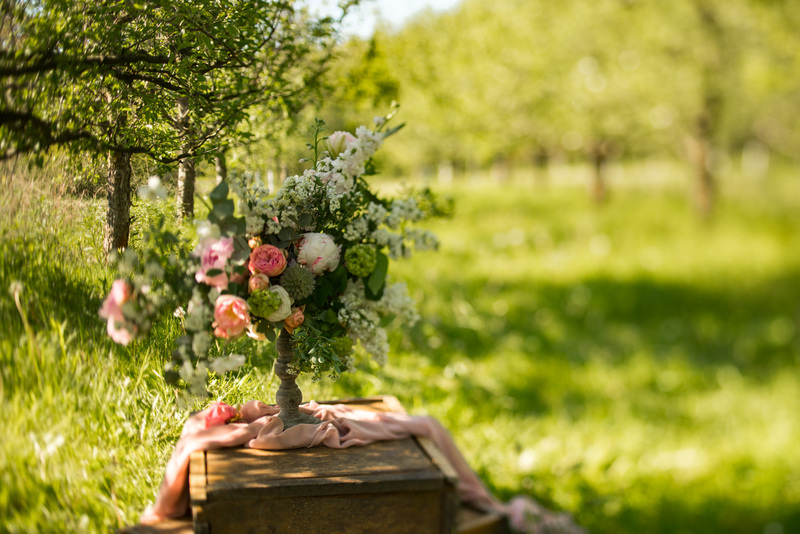 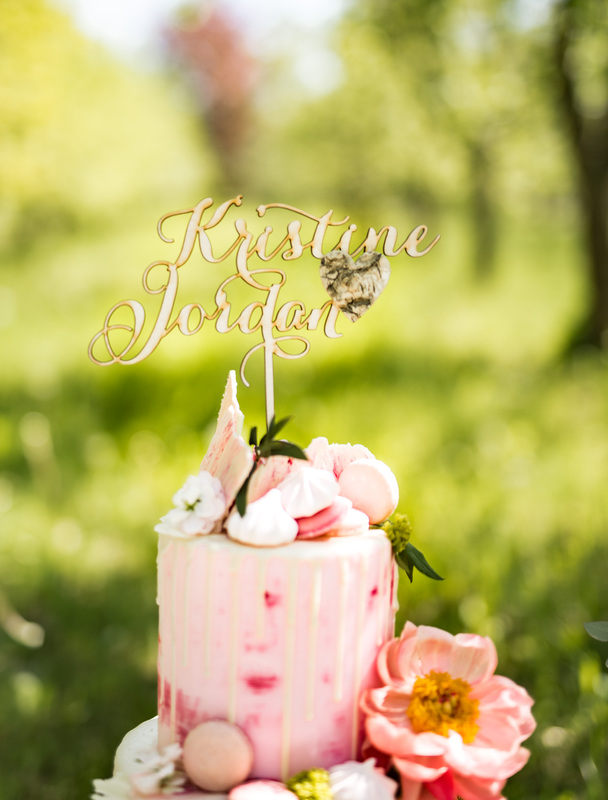 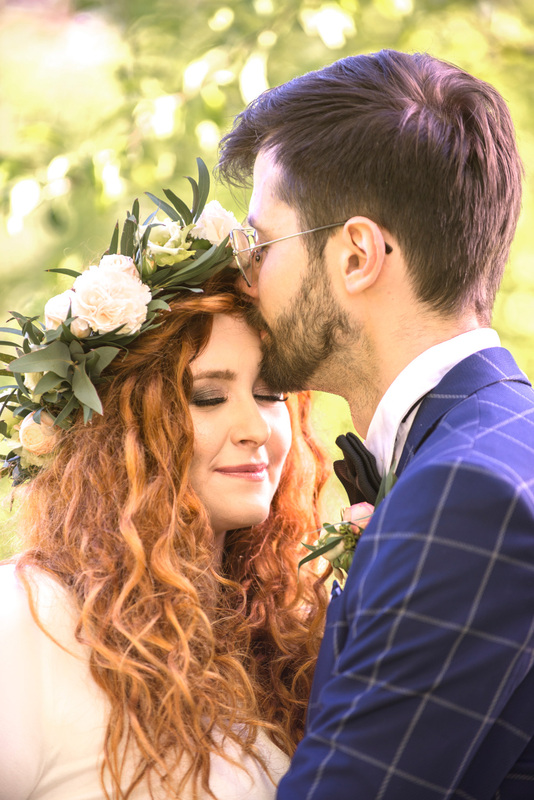 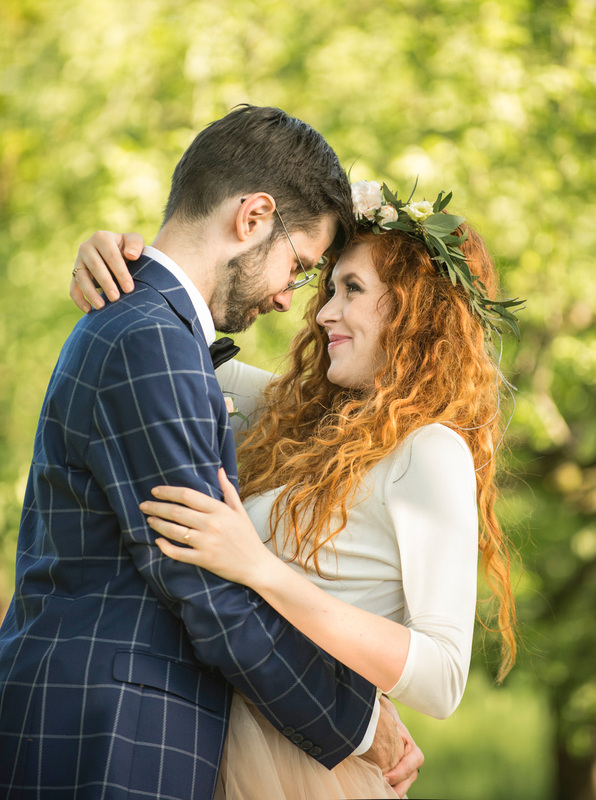 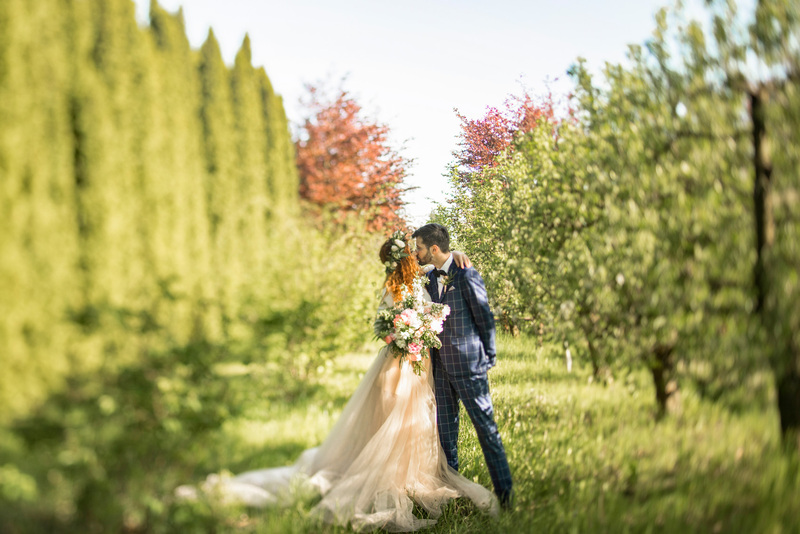 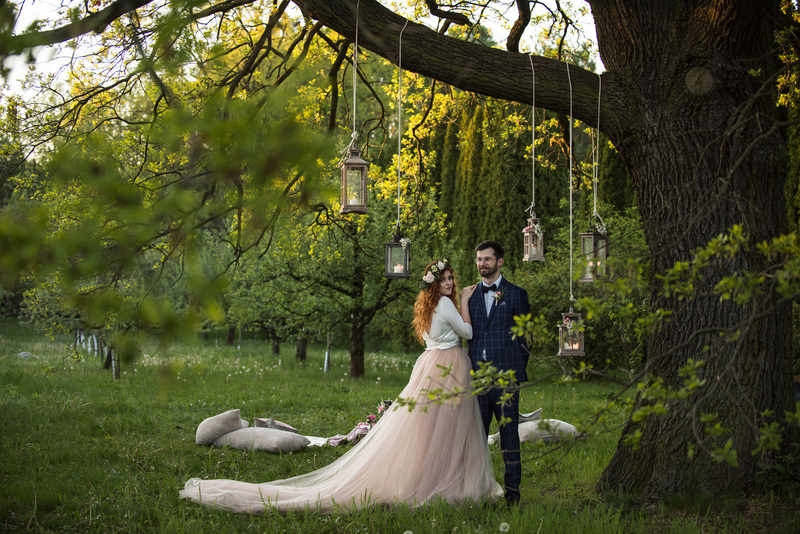 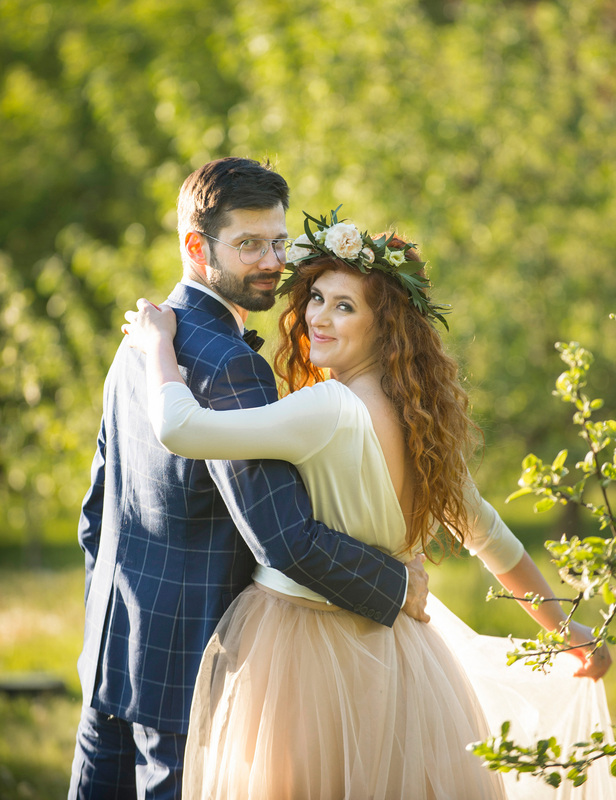 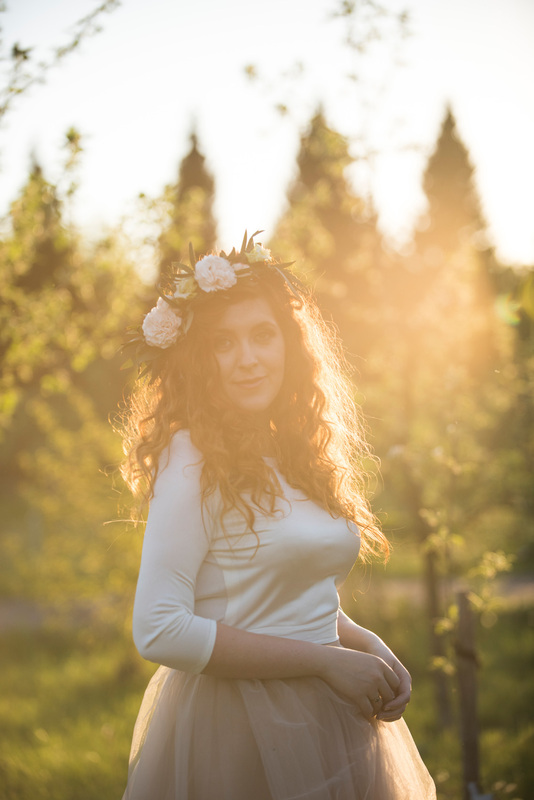 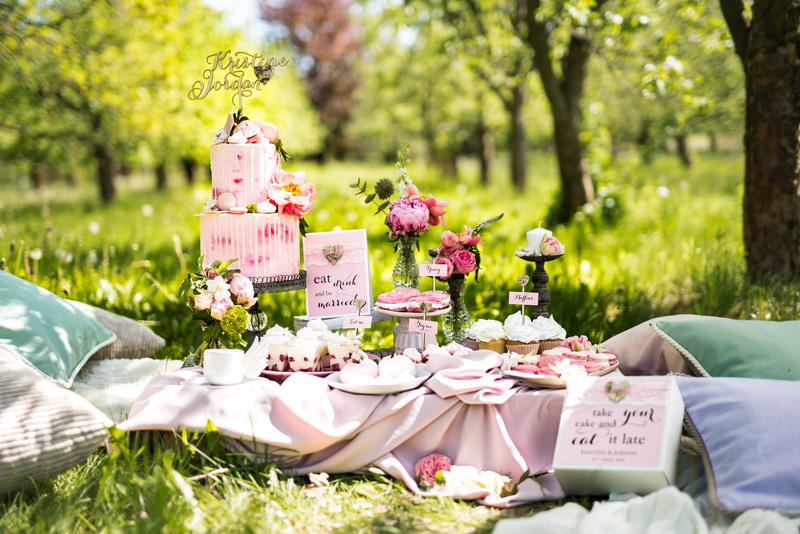 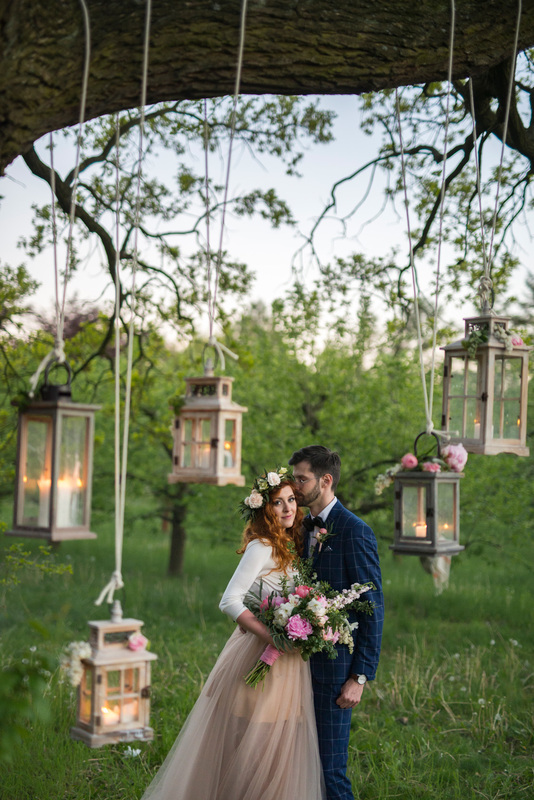 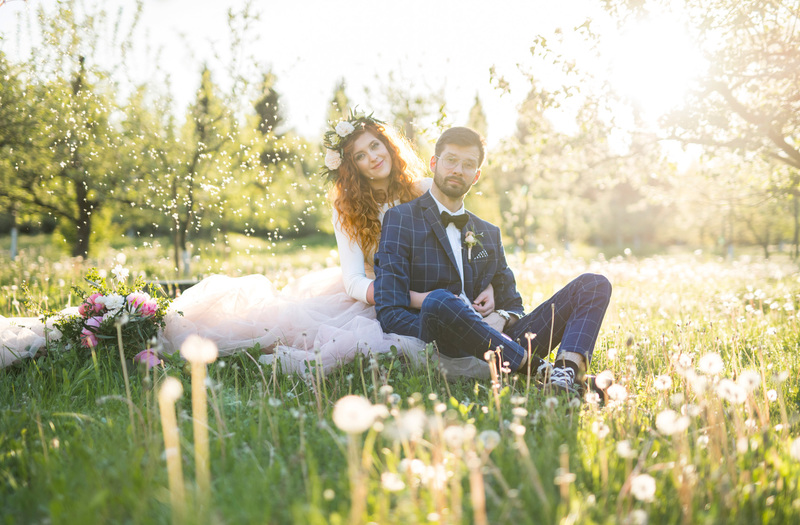 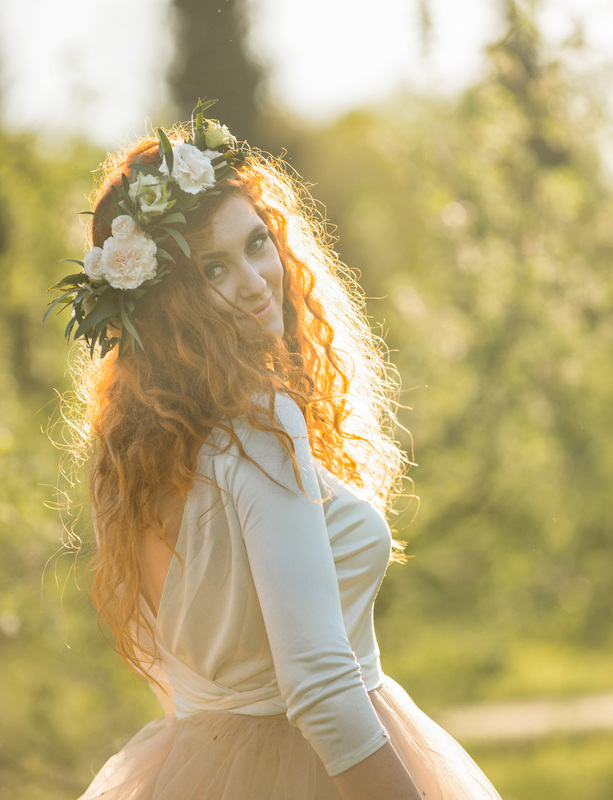 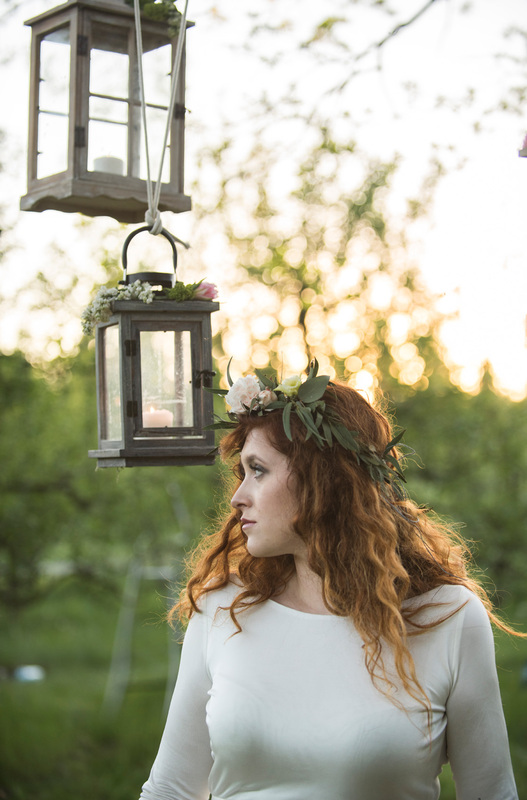 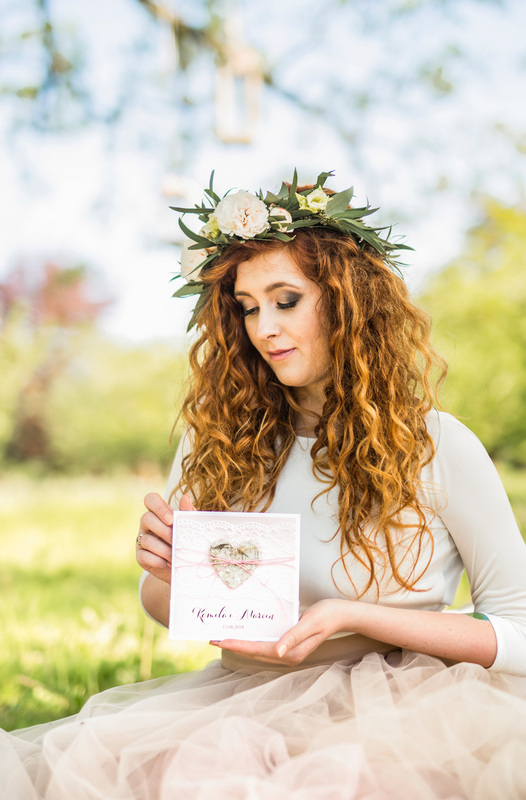 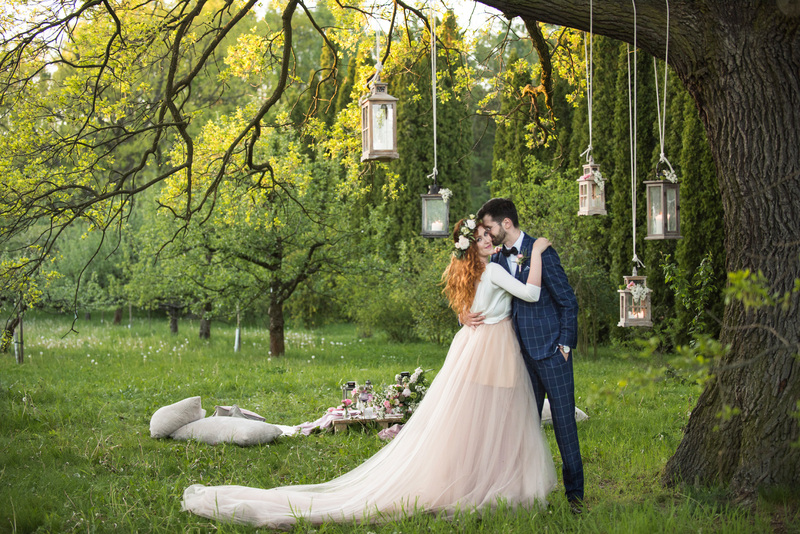 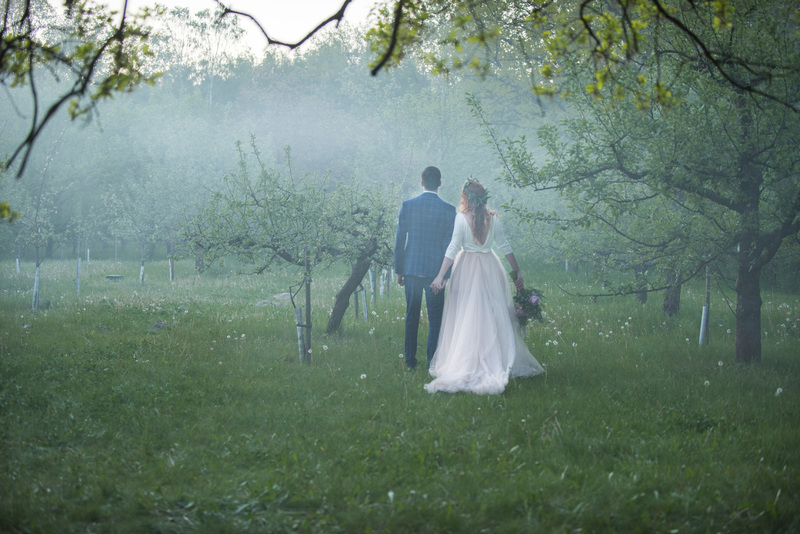 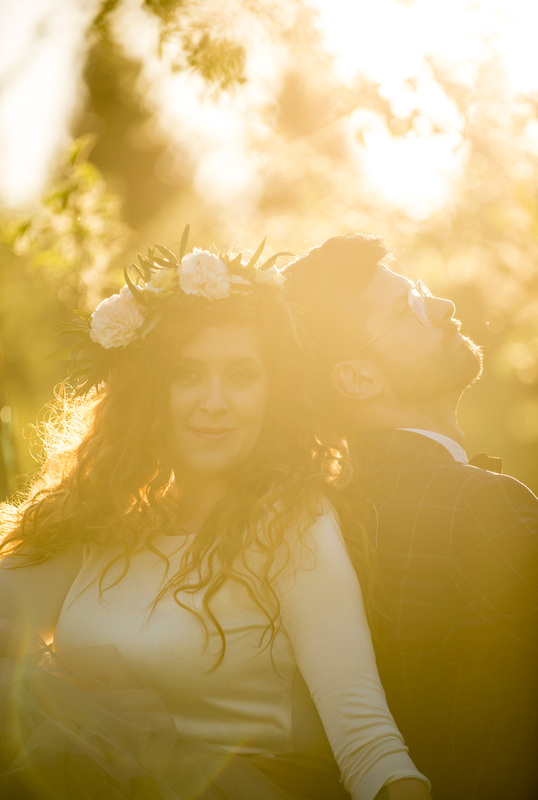 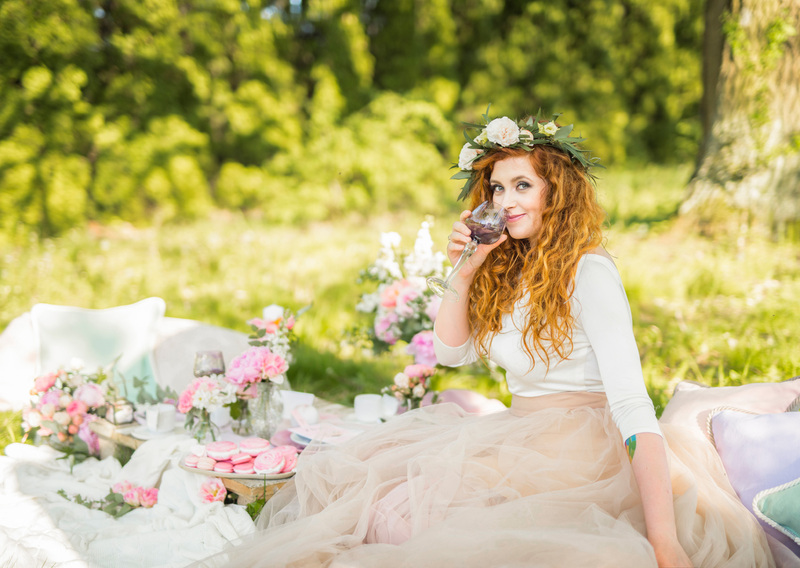 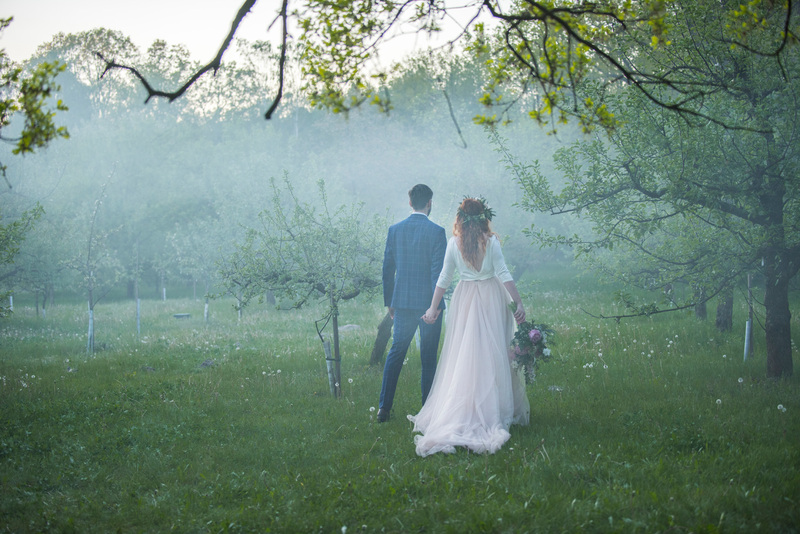 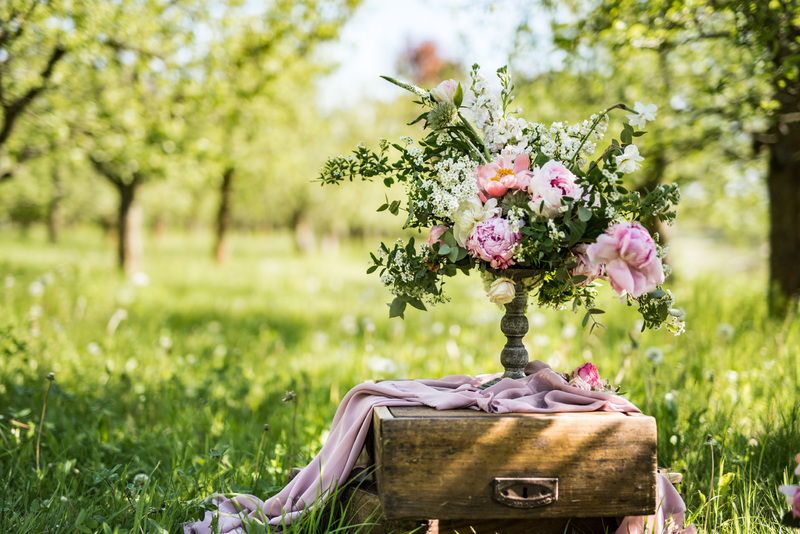 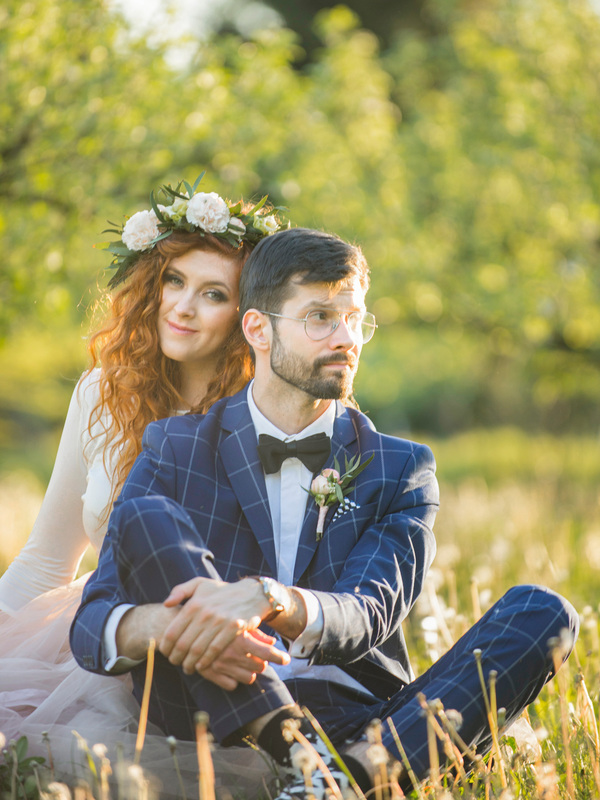 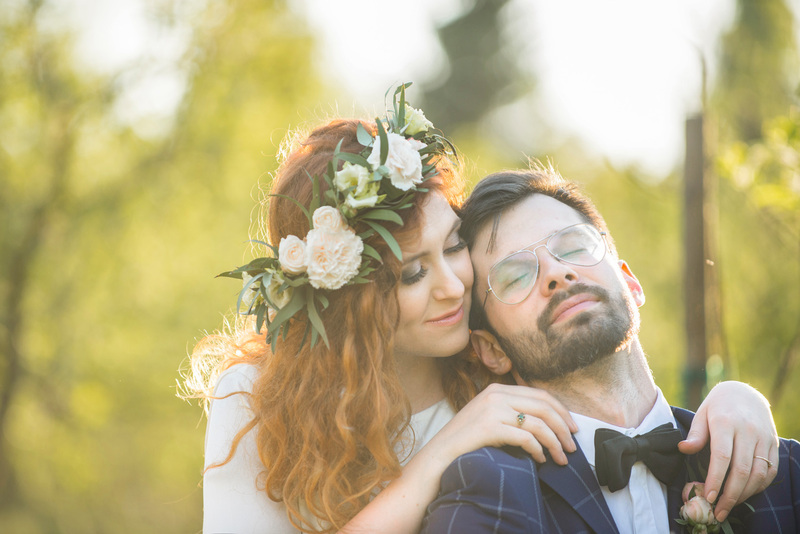 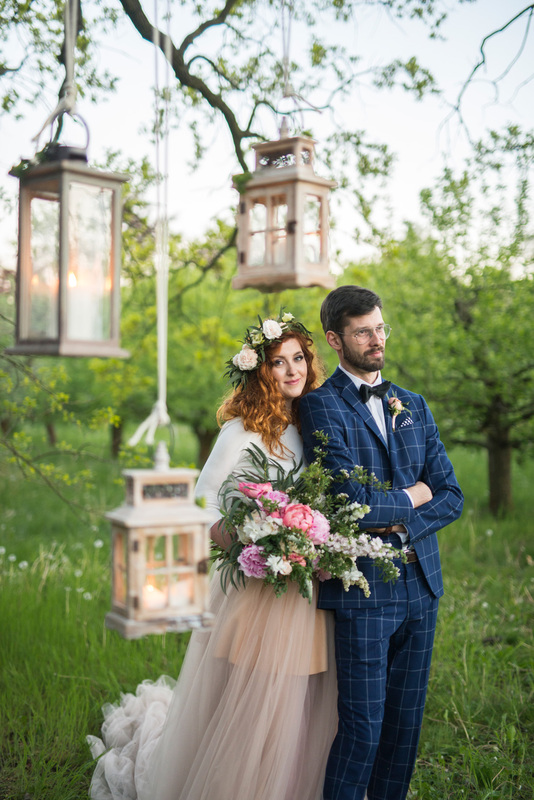 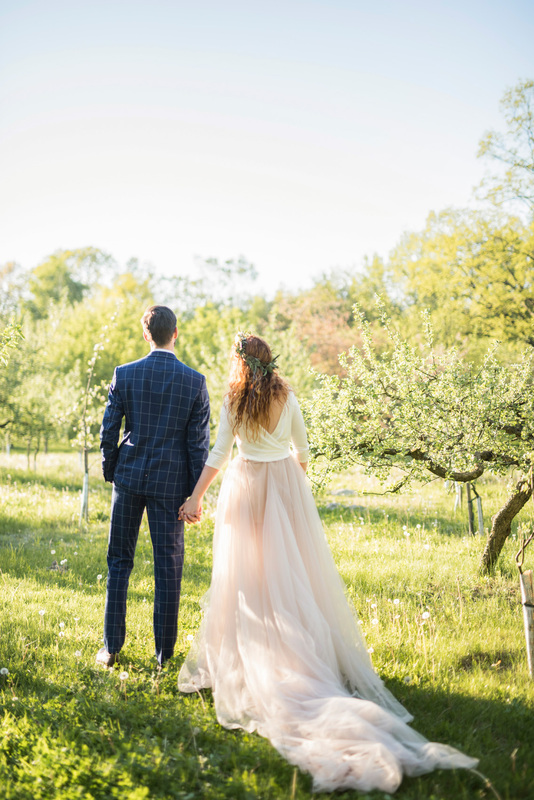 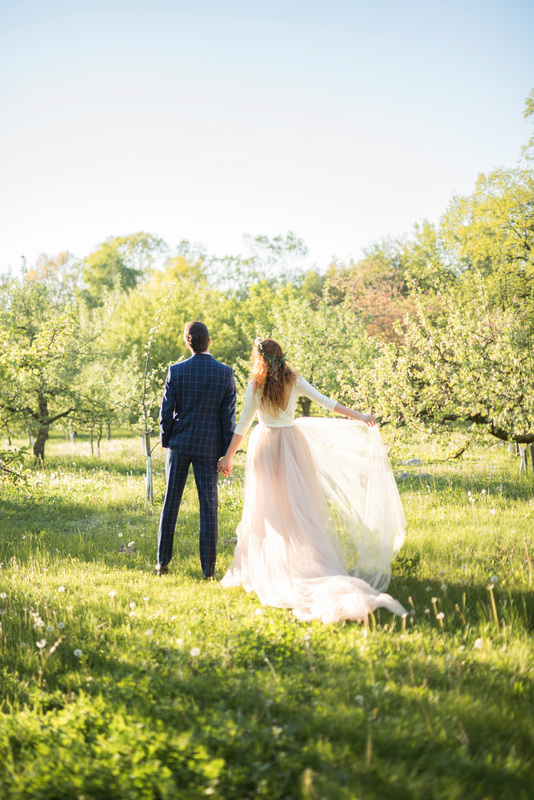 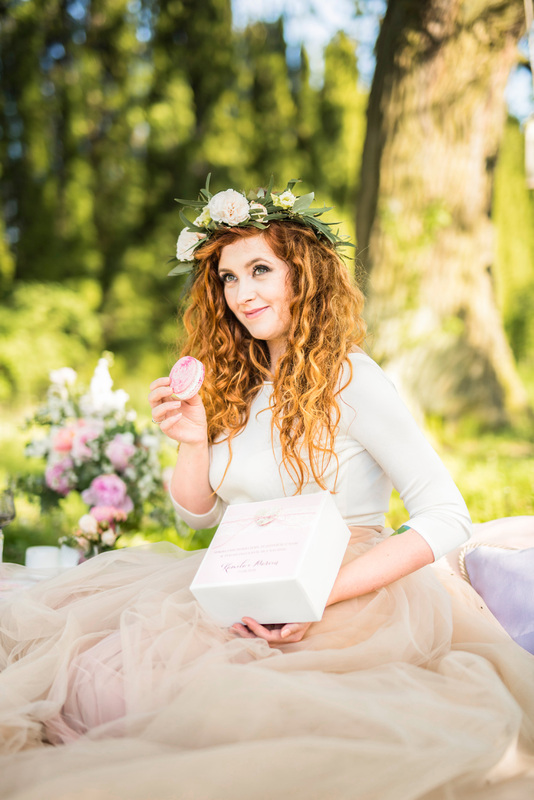 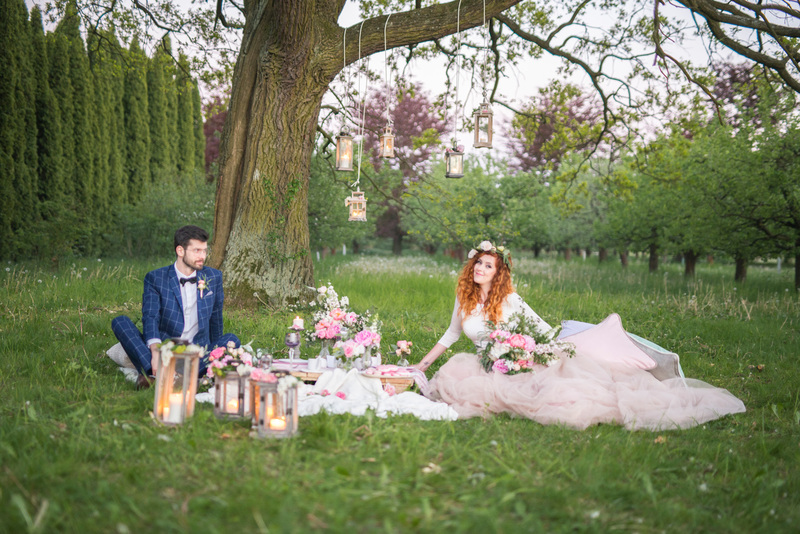 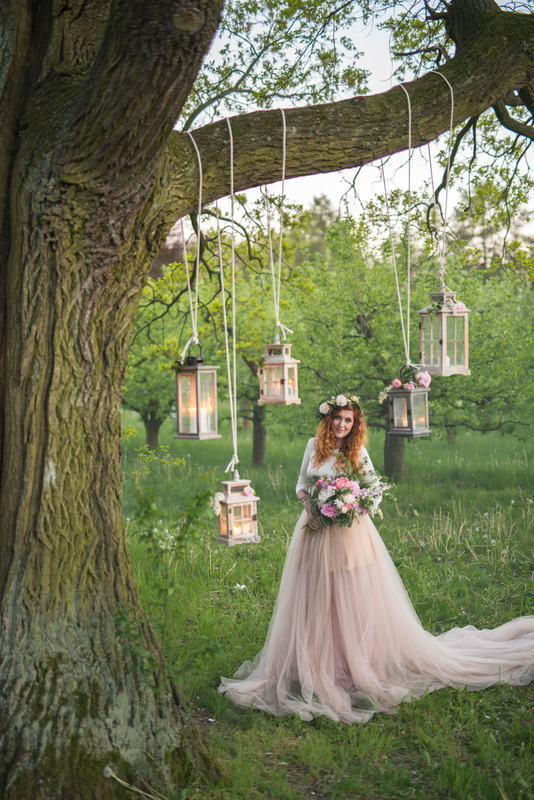 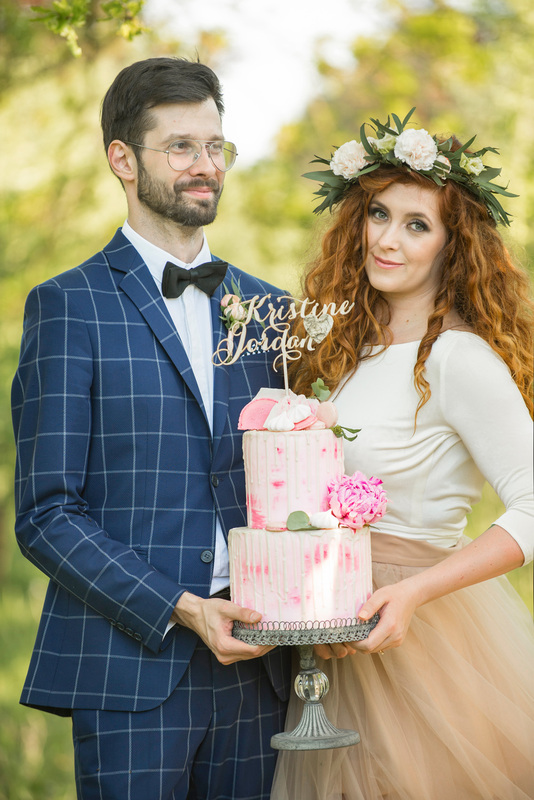 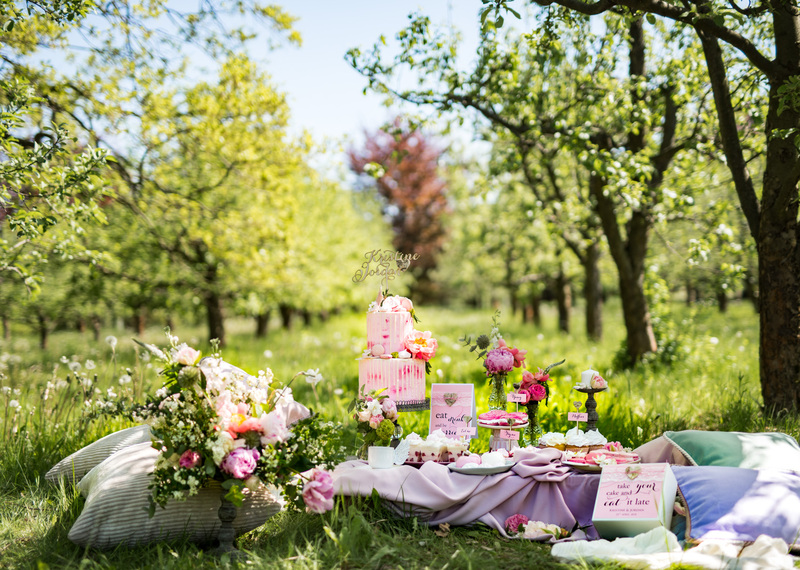 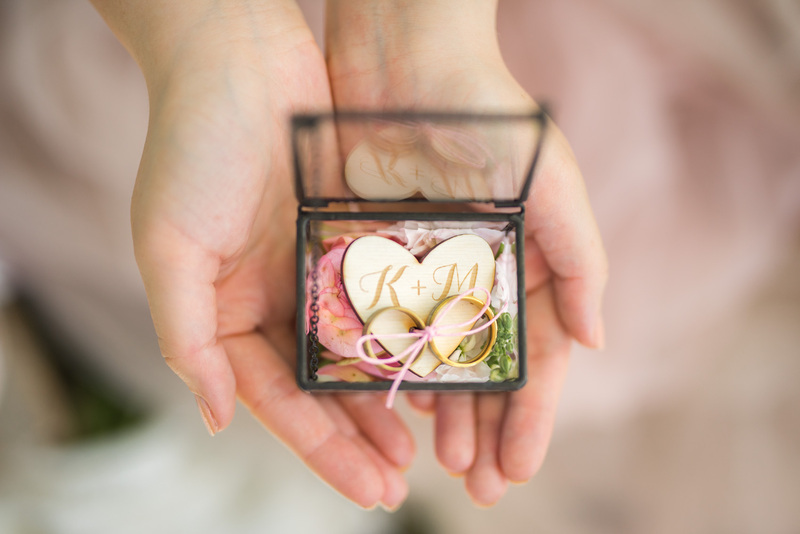 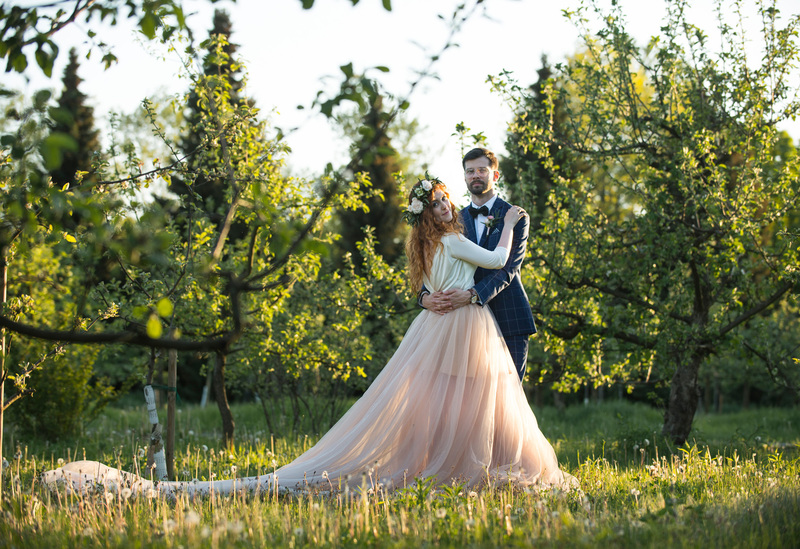 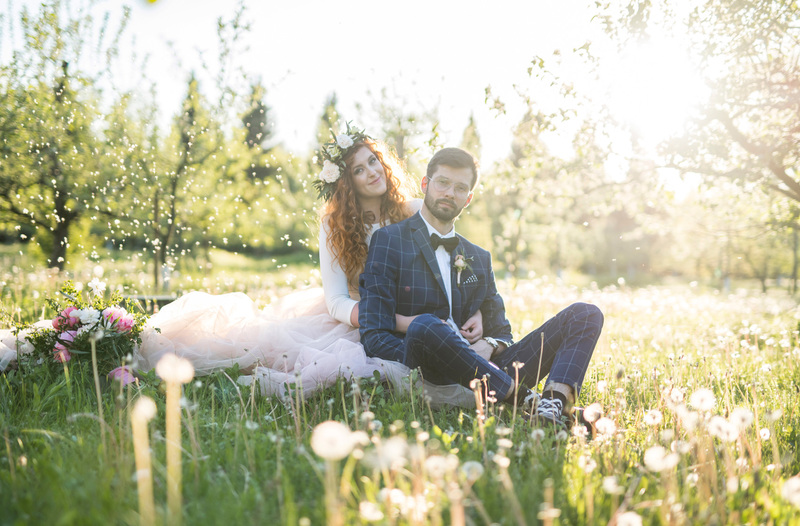 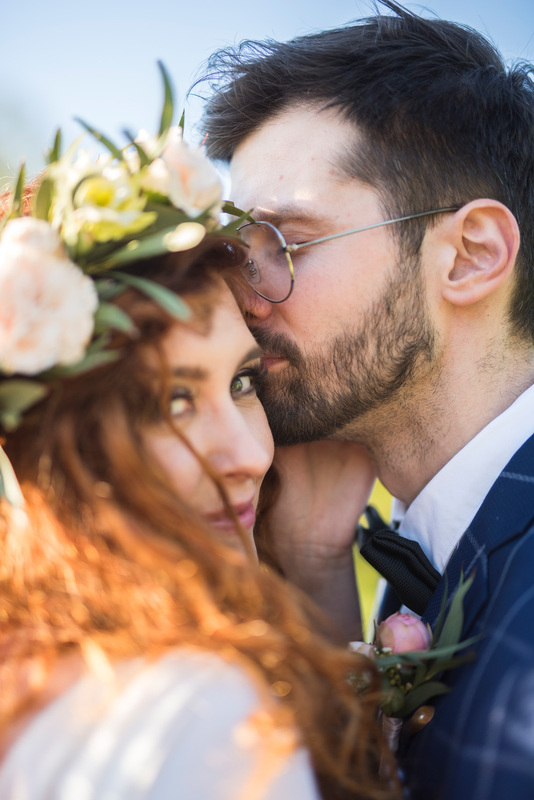 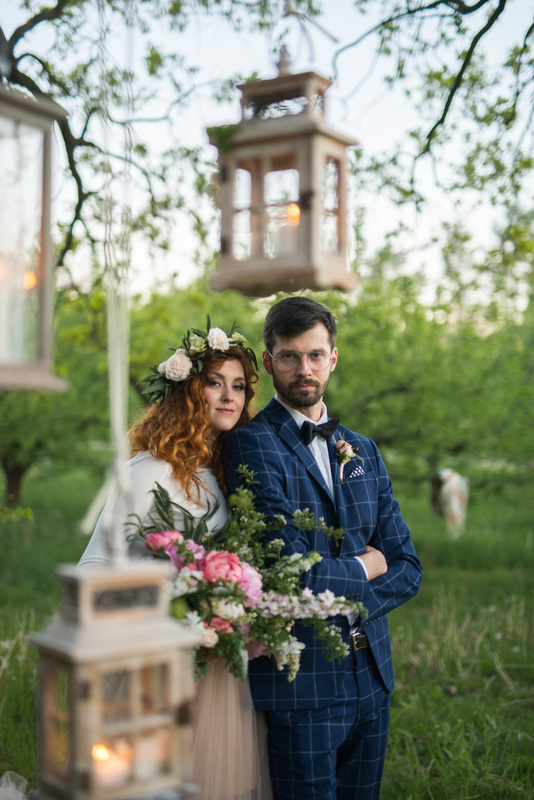 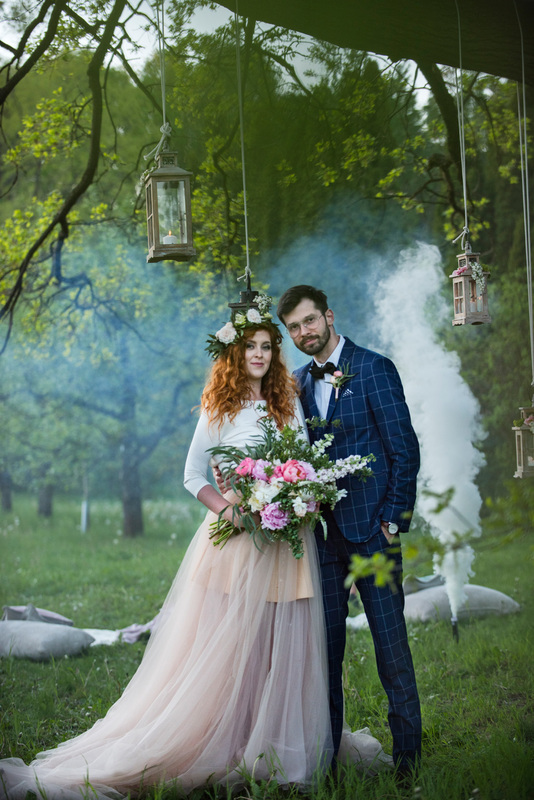 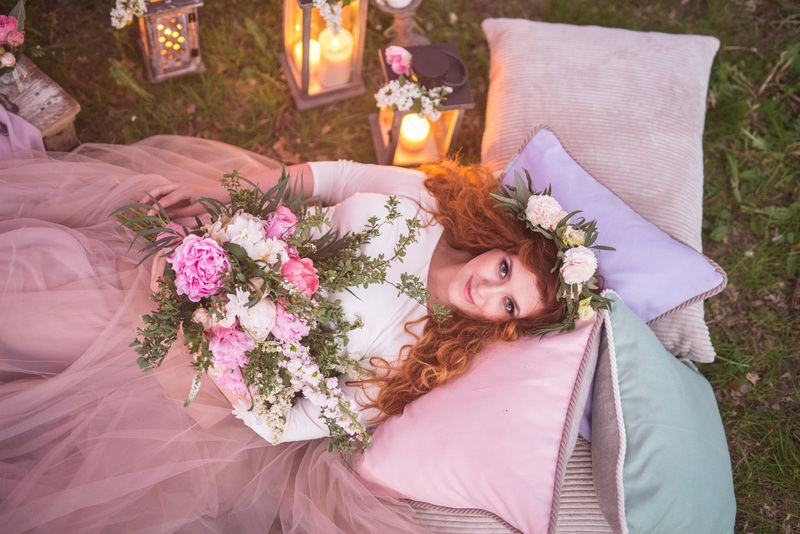 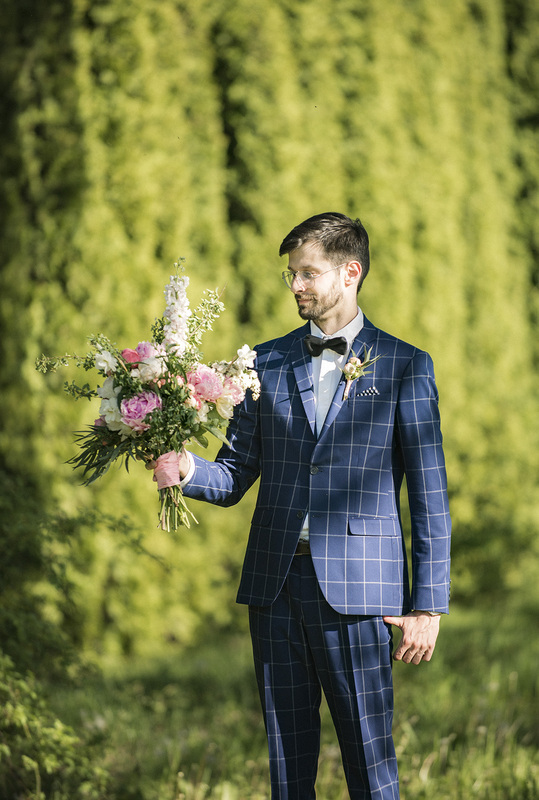 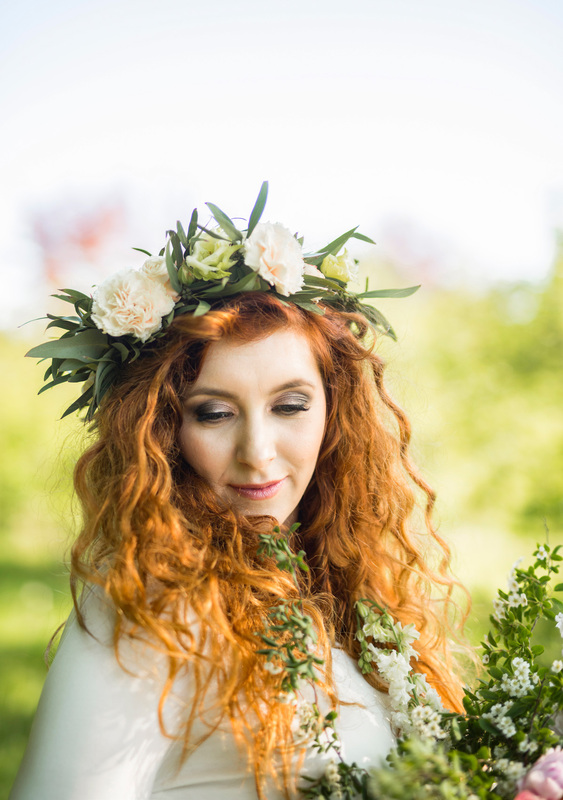 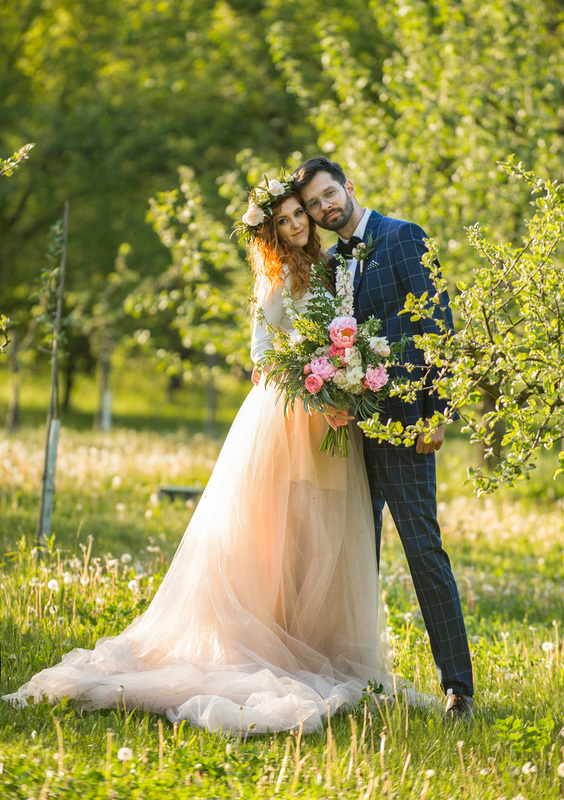 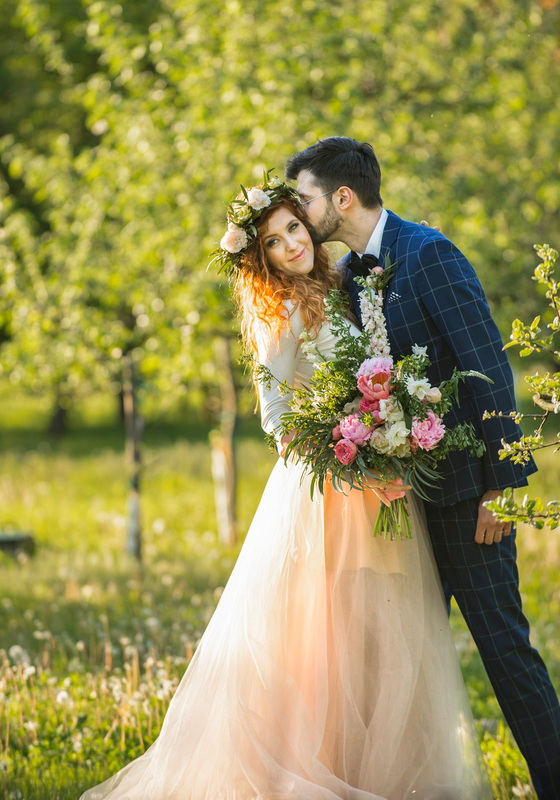 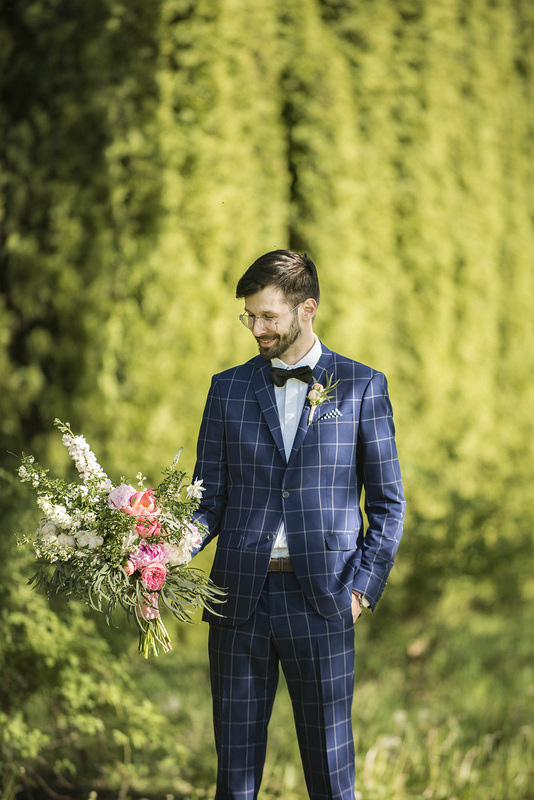 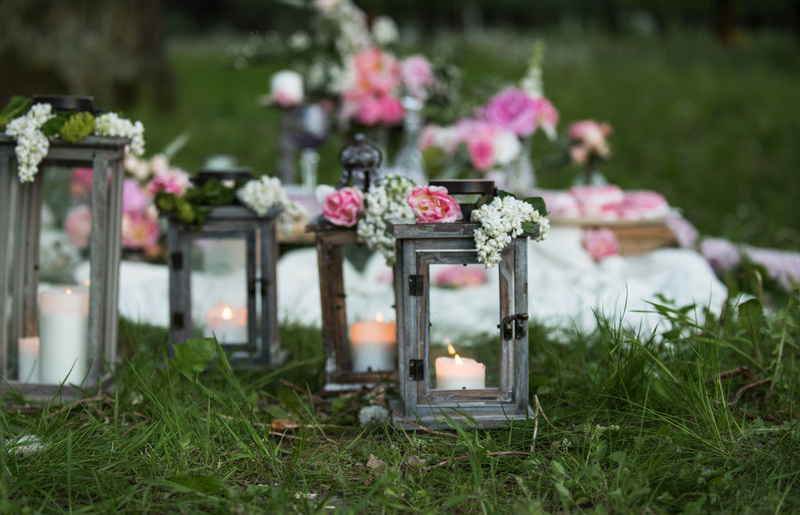 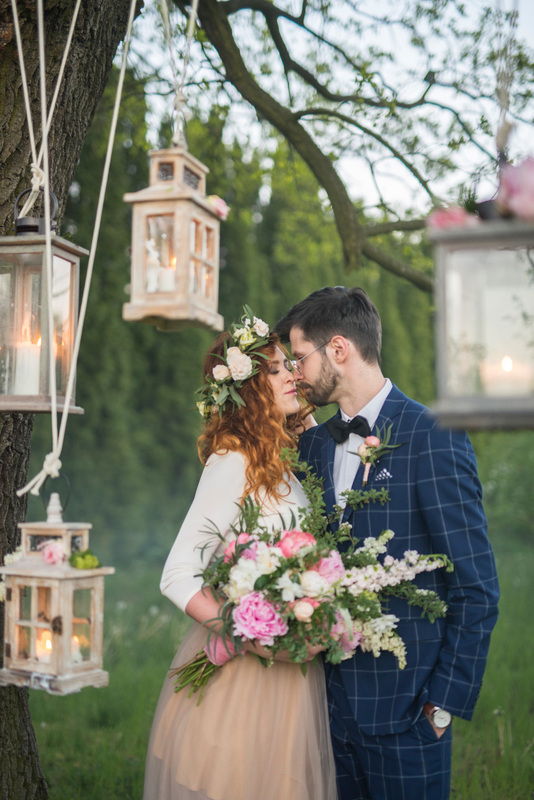 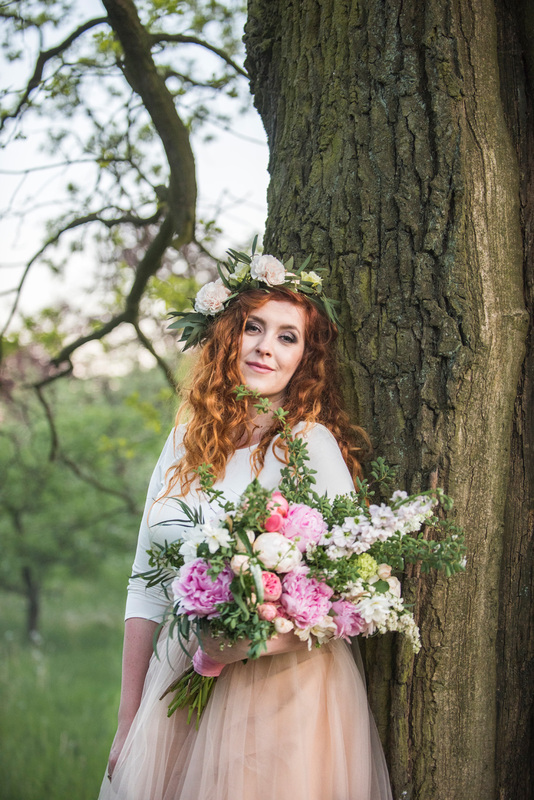 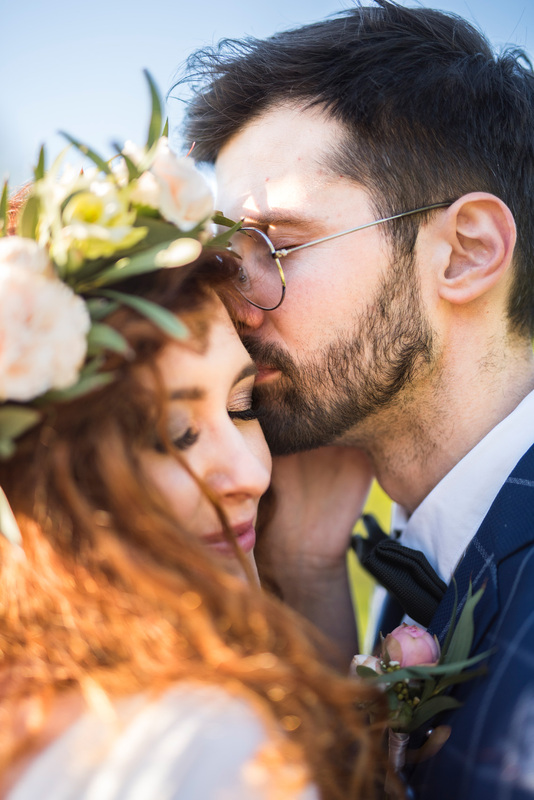 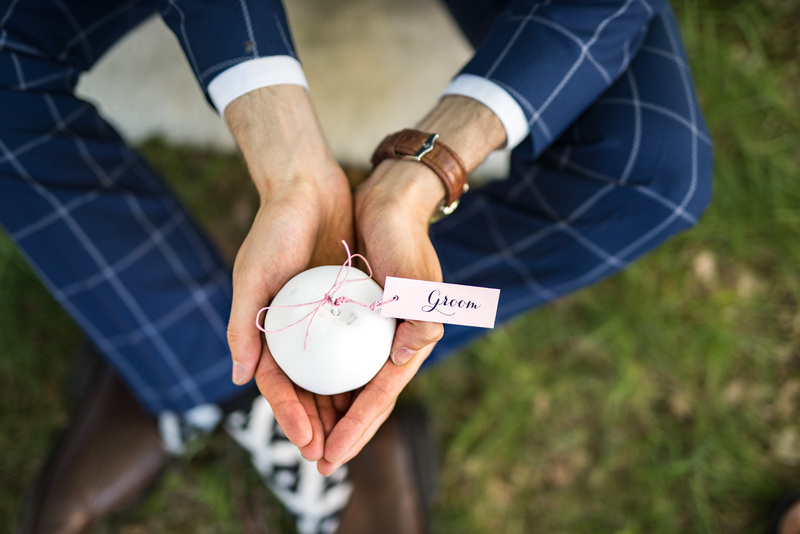 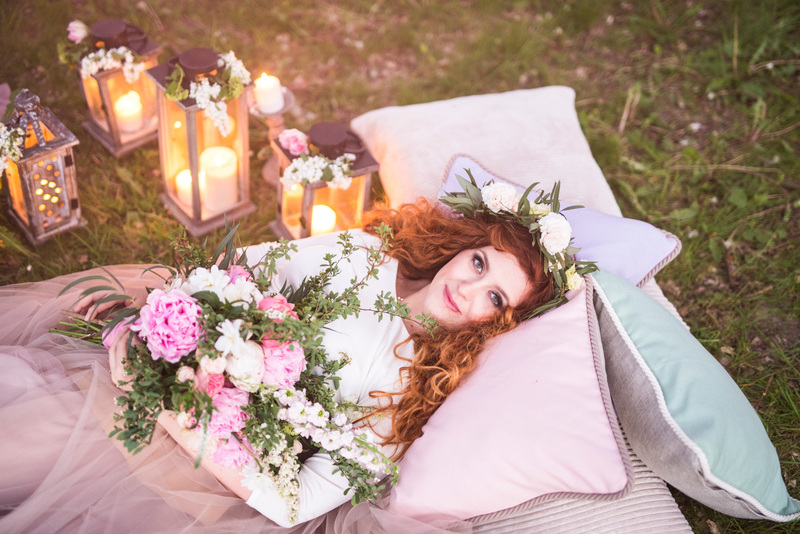 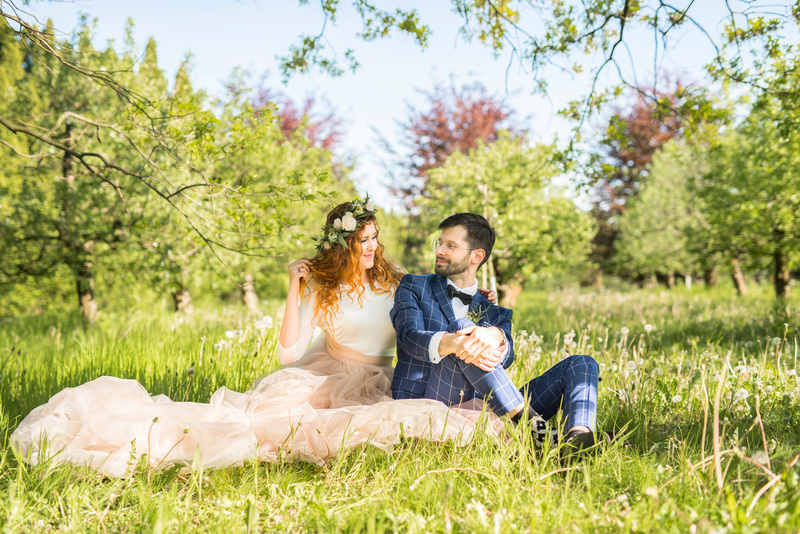 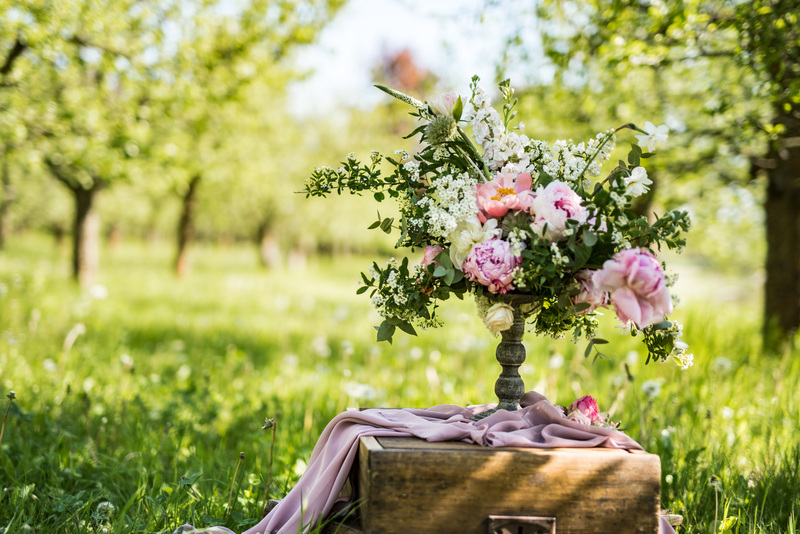 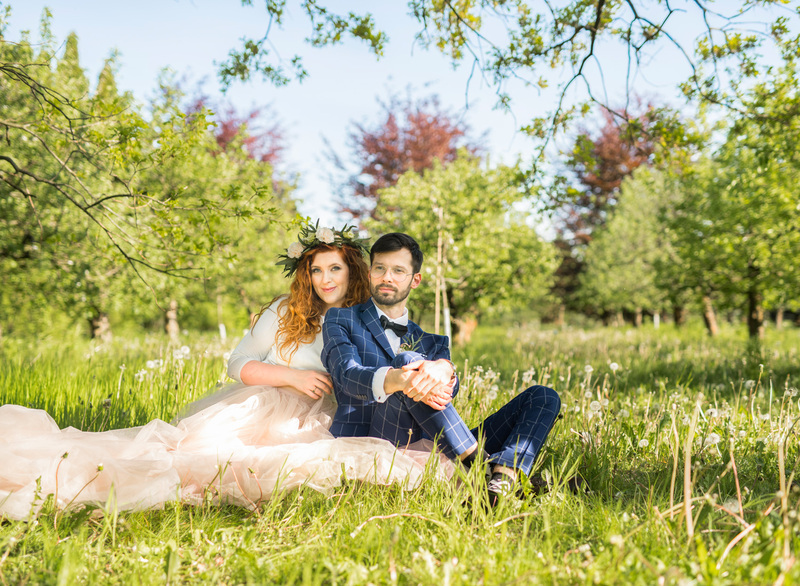 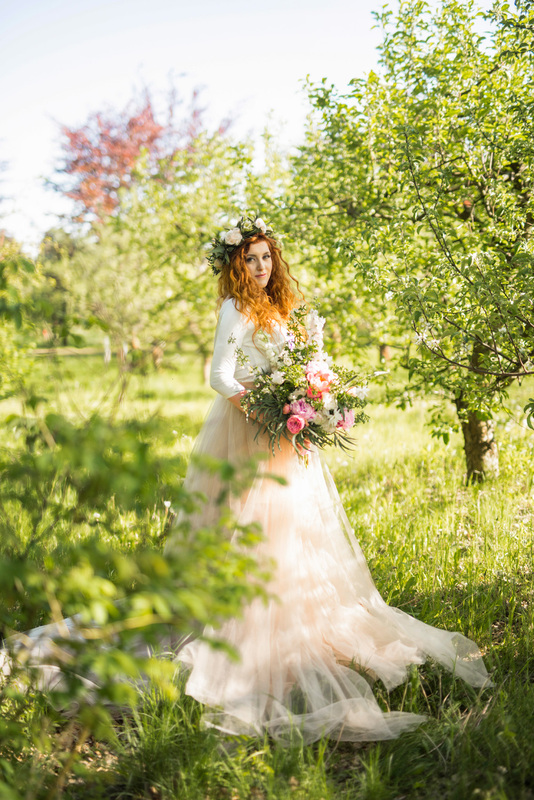 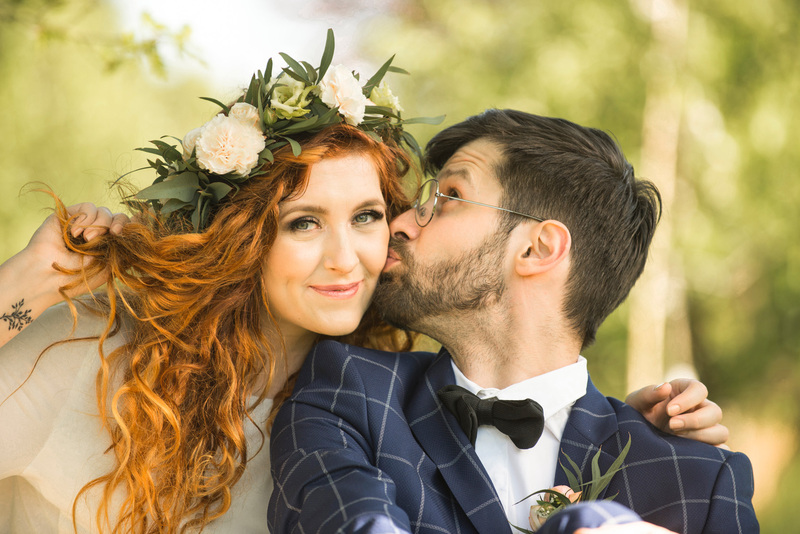 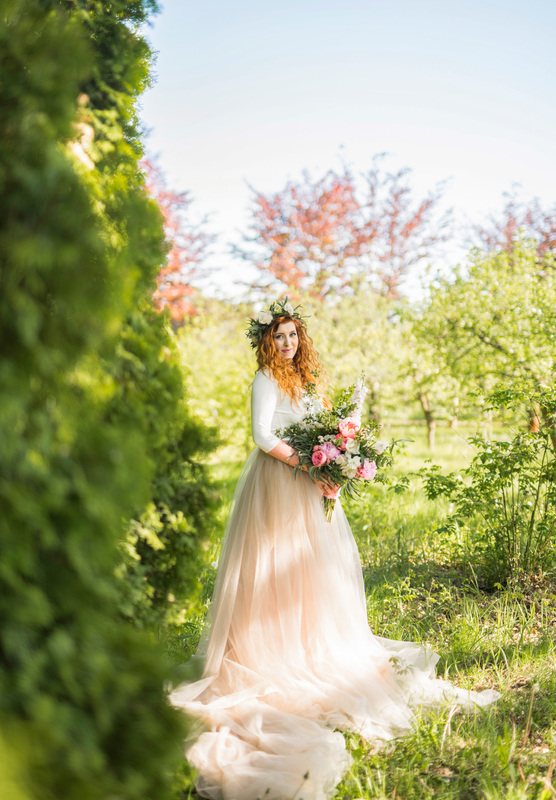 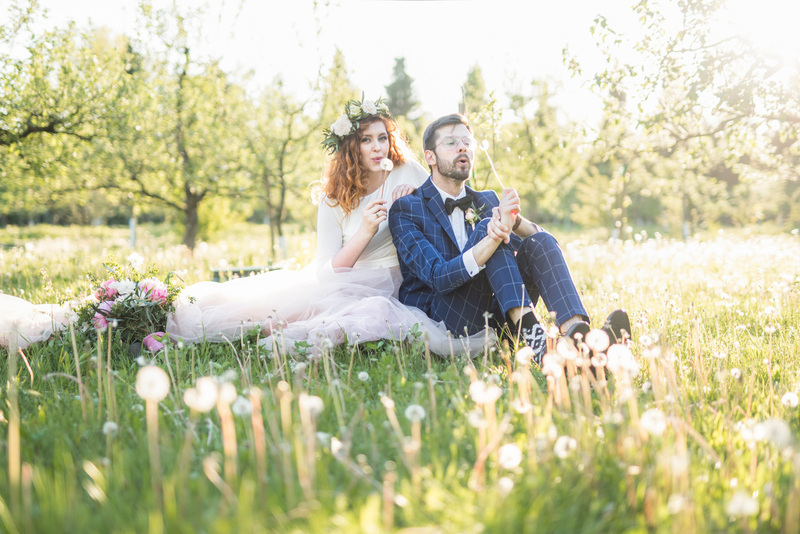 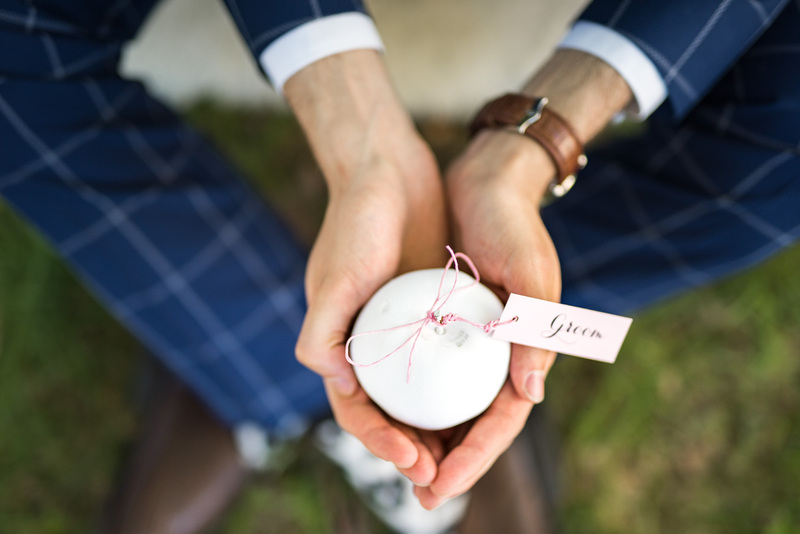 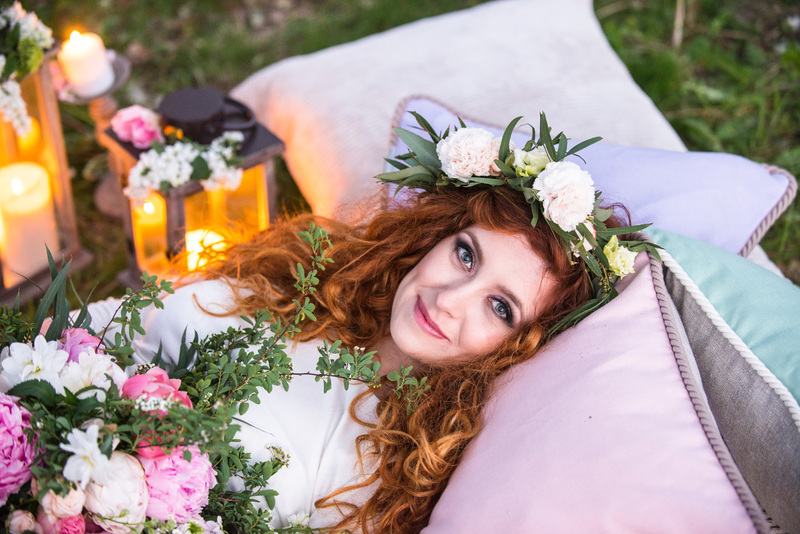 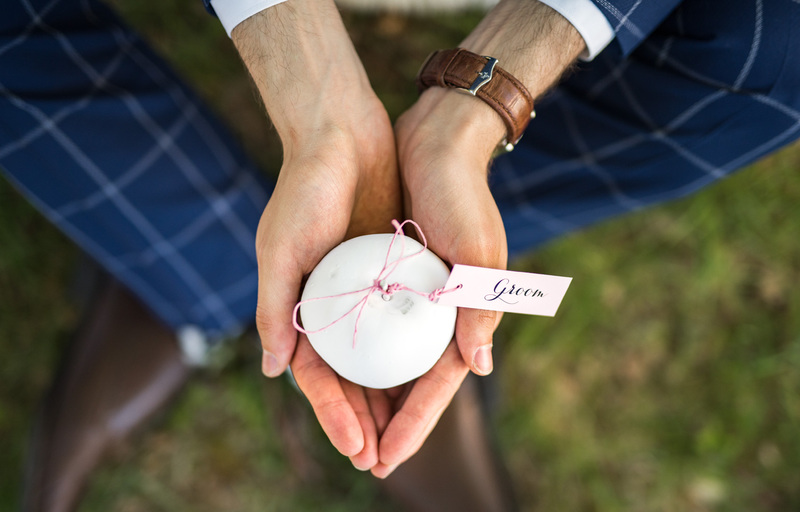 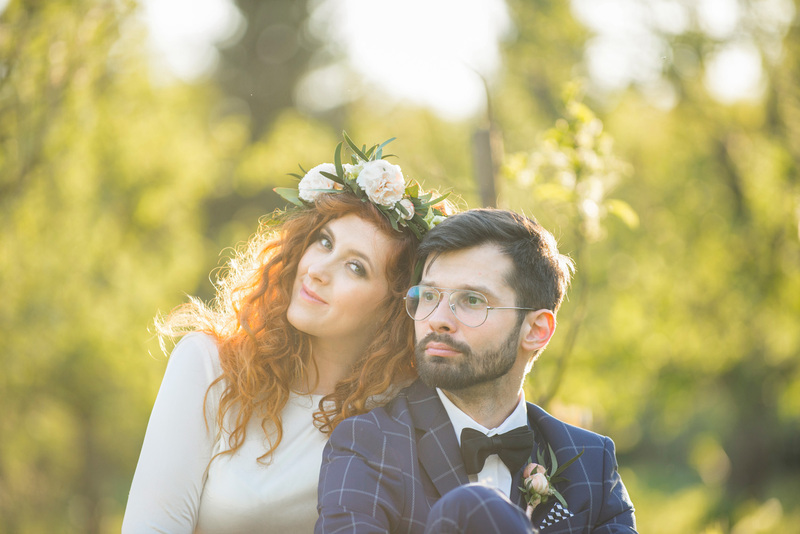 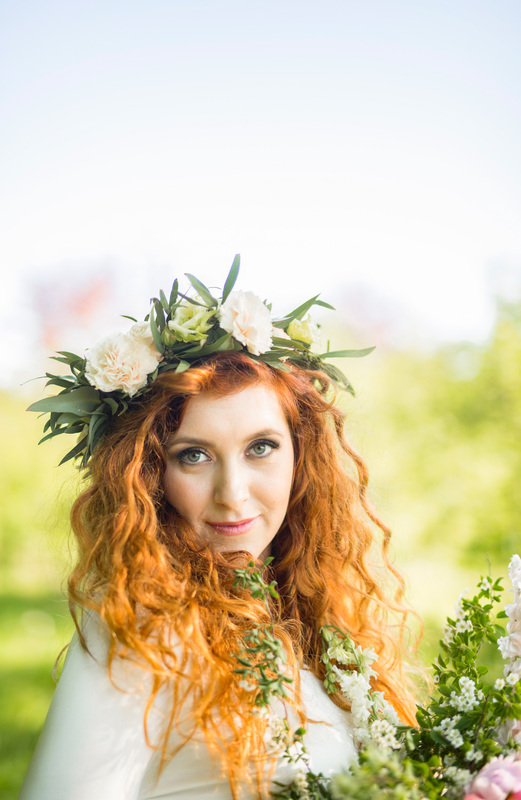 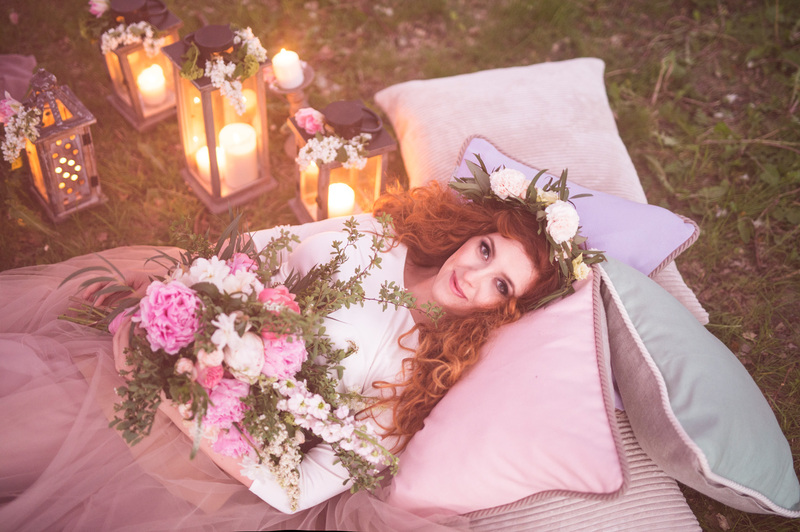 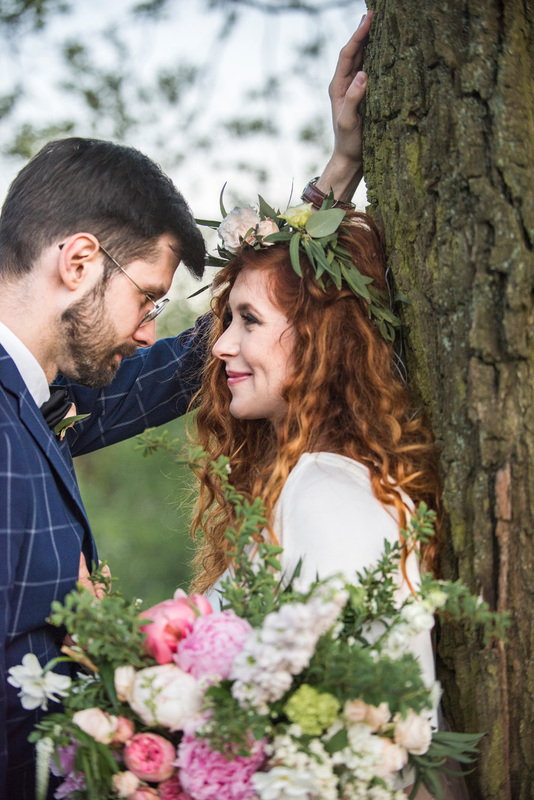 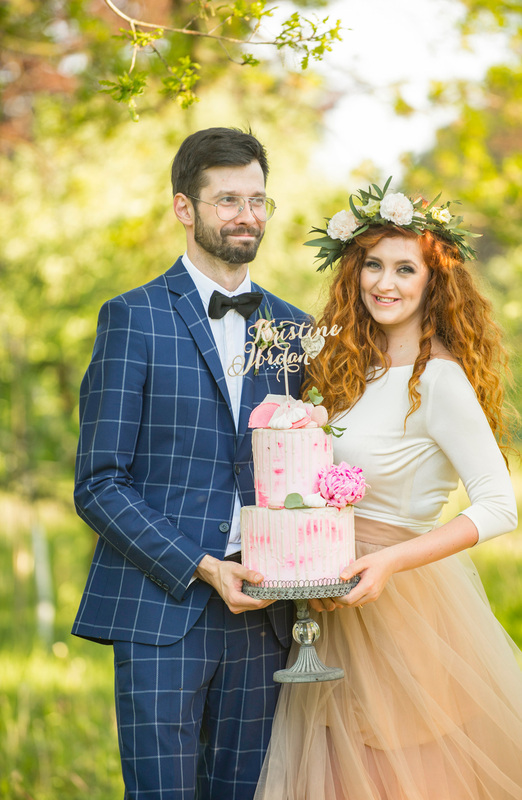 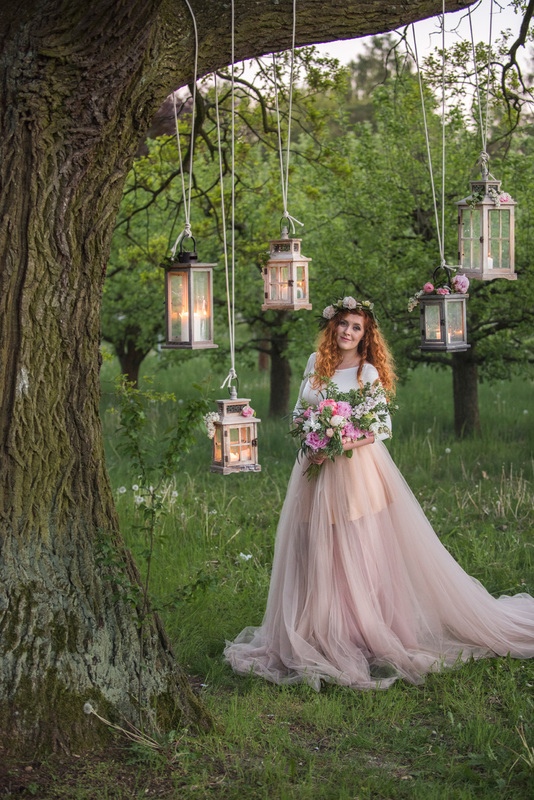 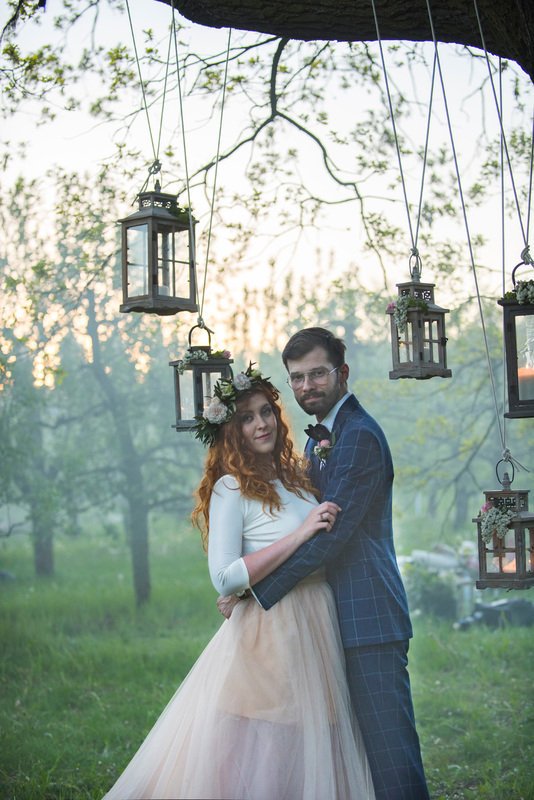 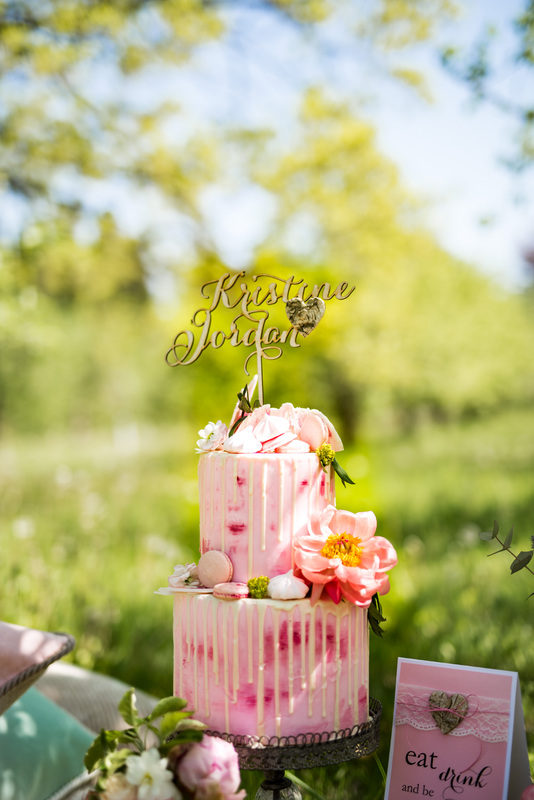 We want to inspire you with our styled photo shoot of romantic Garden Wedding with a touch of a fairytale magic! 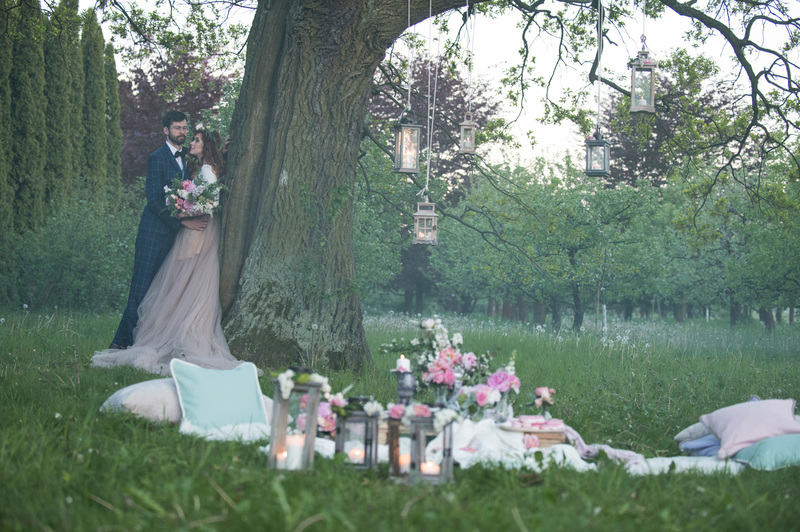 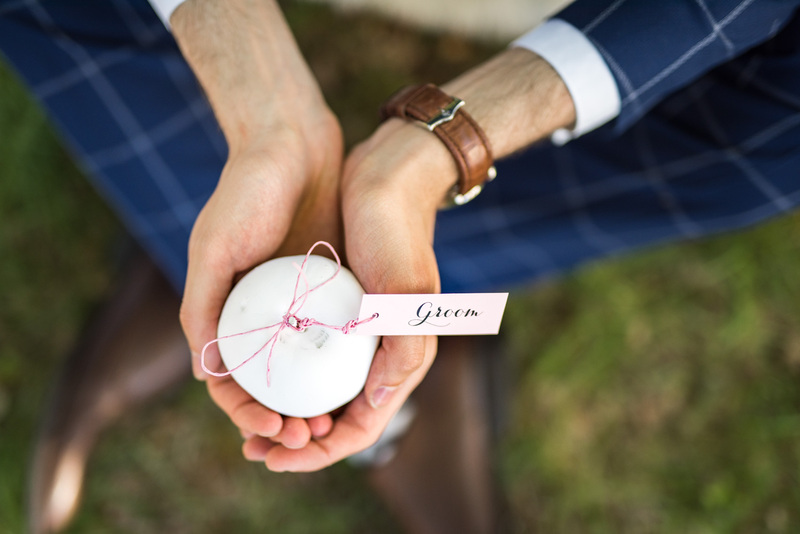 Enchanting green forest or a bit of greenery space is an ideal place for whimsical romantic ceremony. 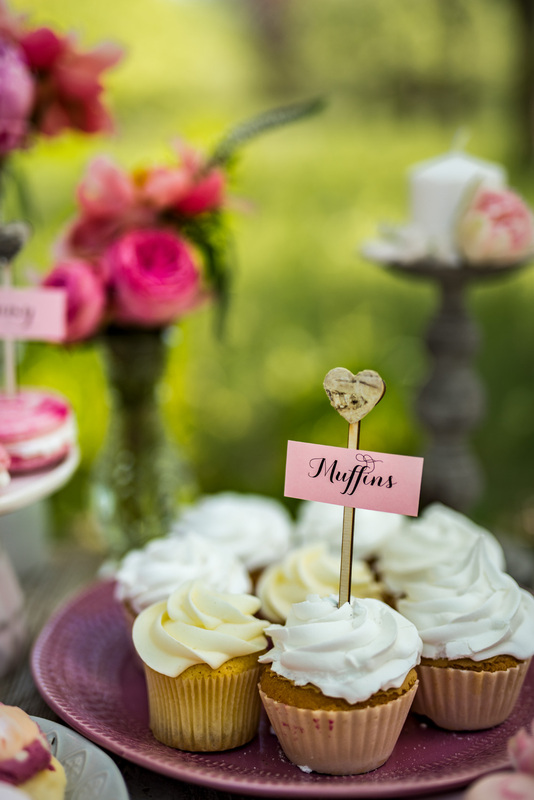 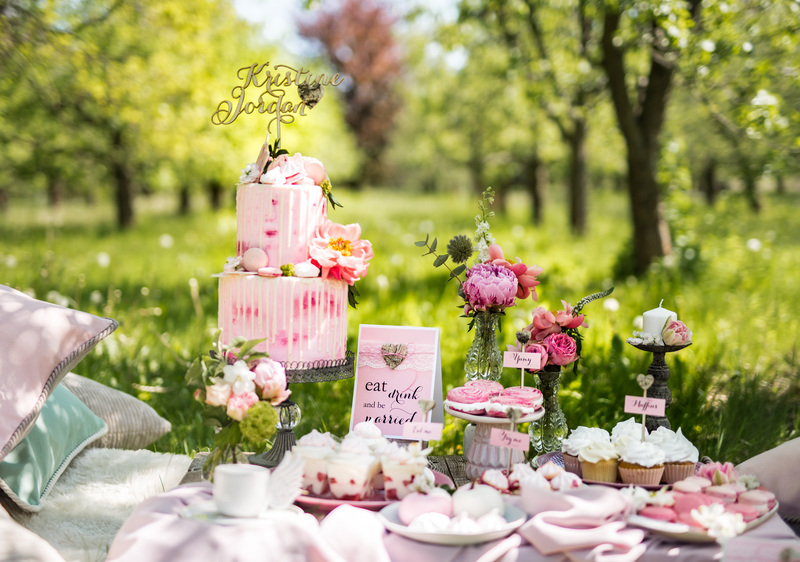 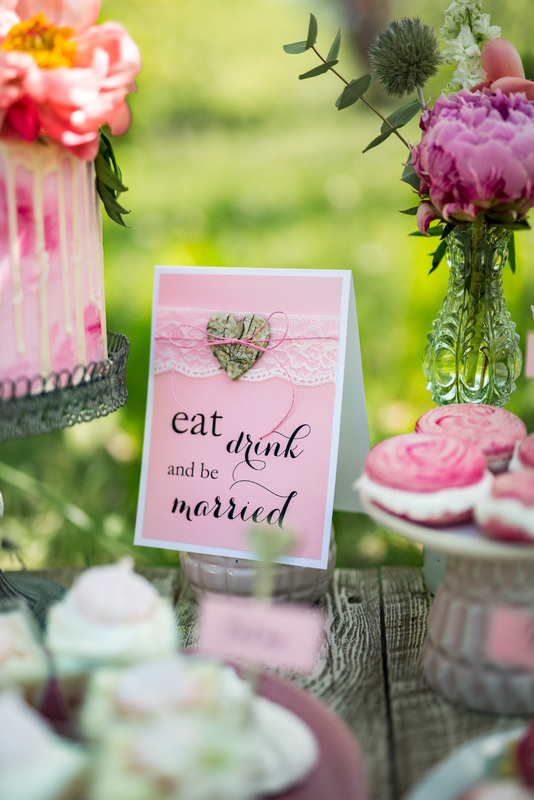 For this wedding theme, we have totally decided for pink. 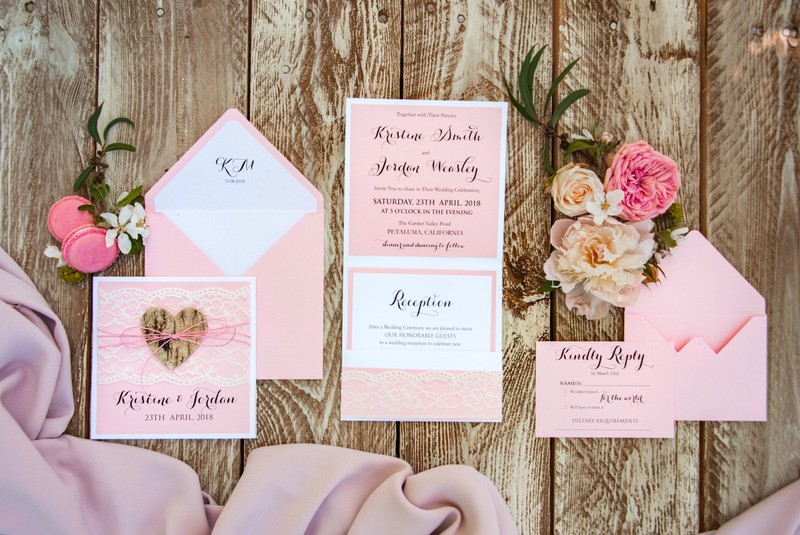 Our color scheme is a delicate combination of rosy and natural color palette with white. 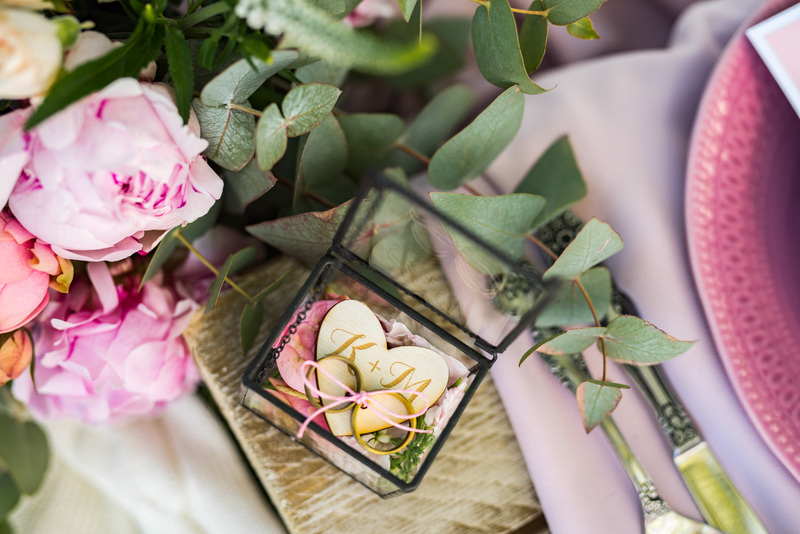 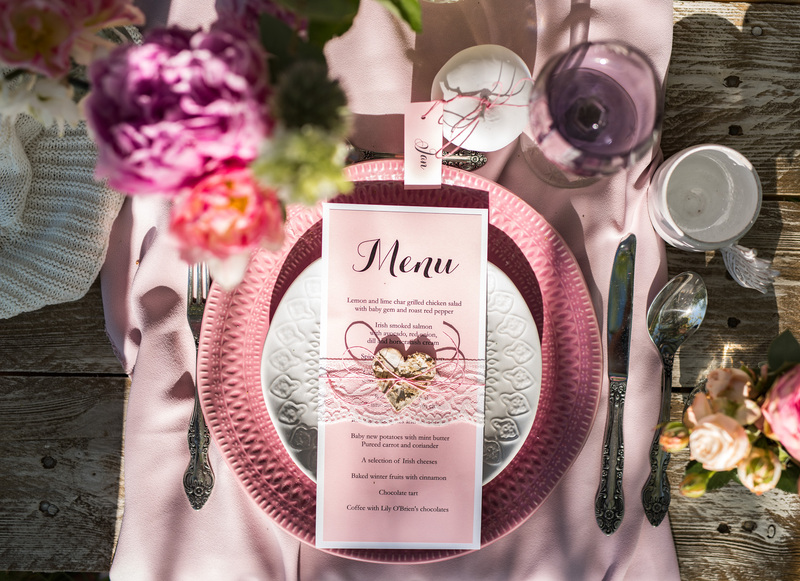 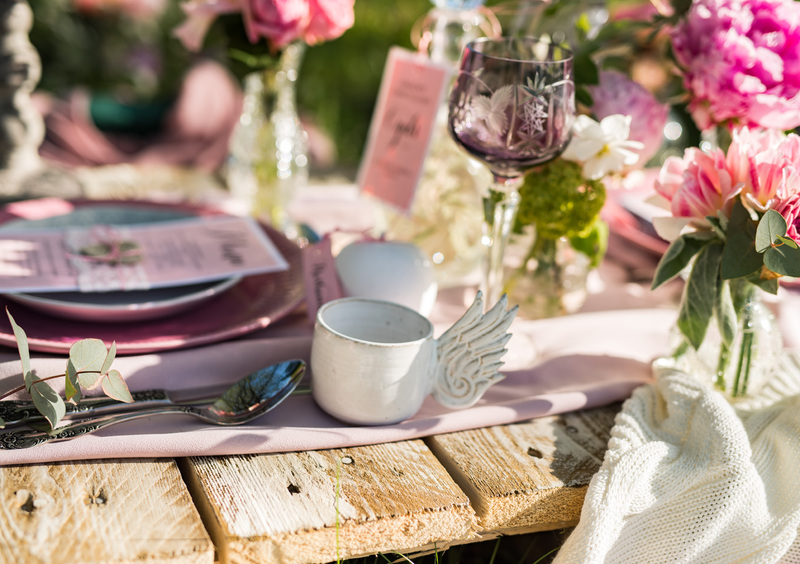 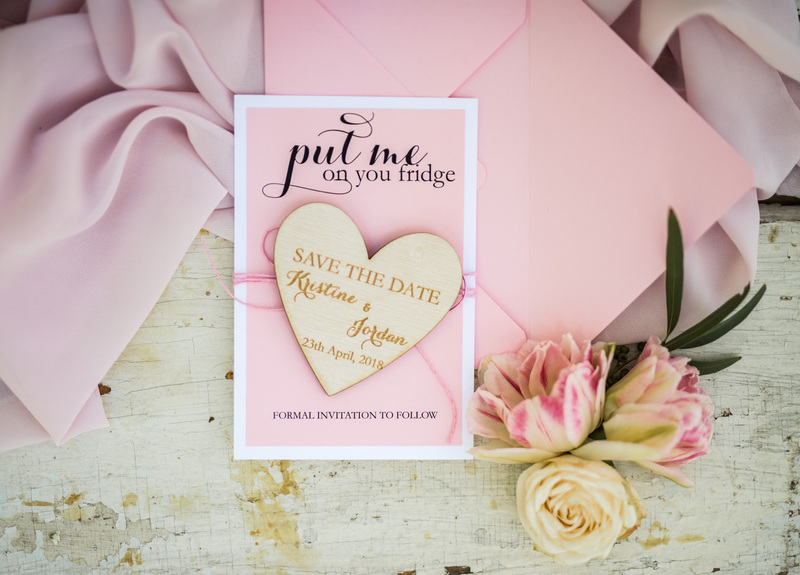 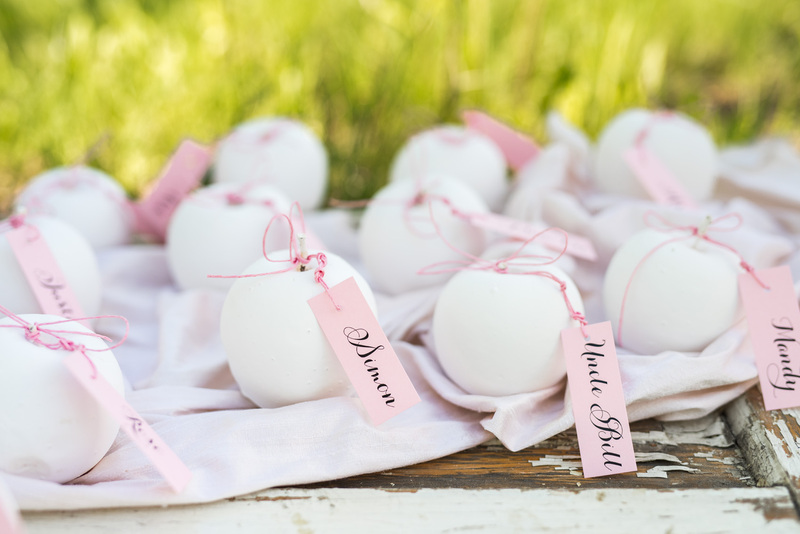 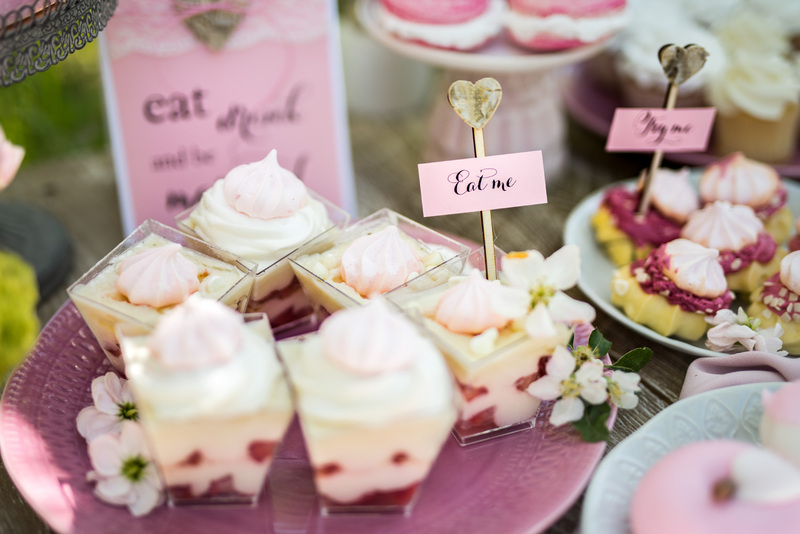 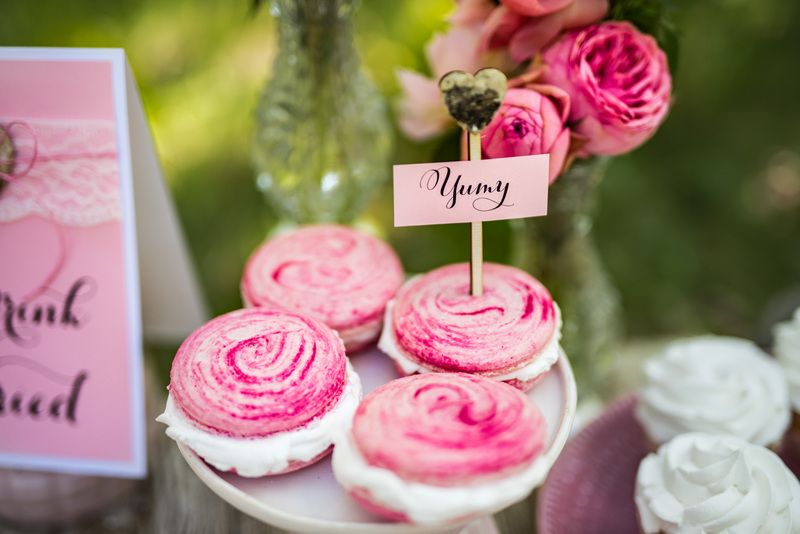 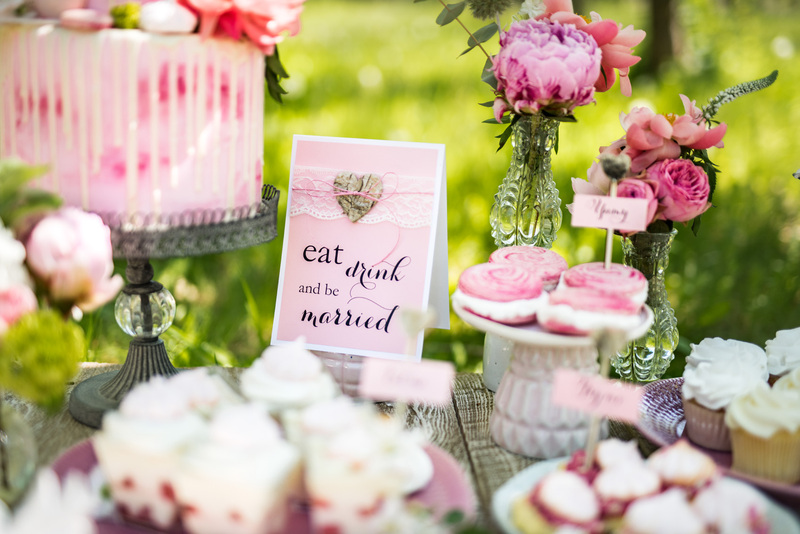 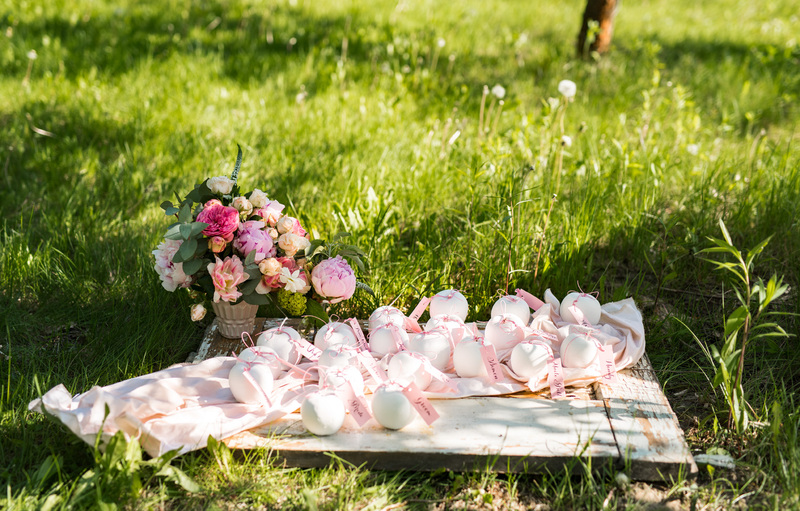 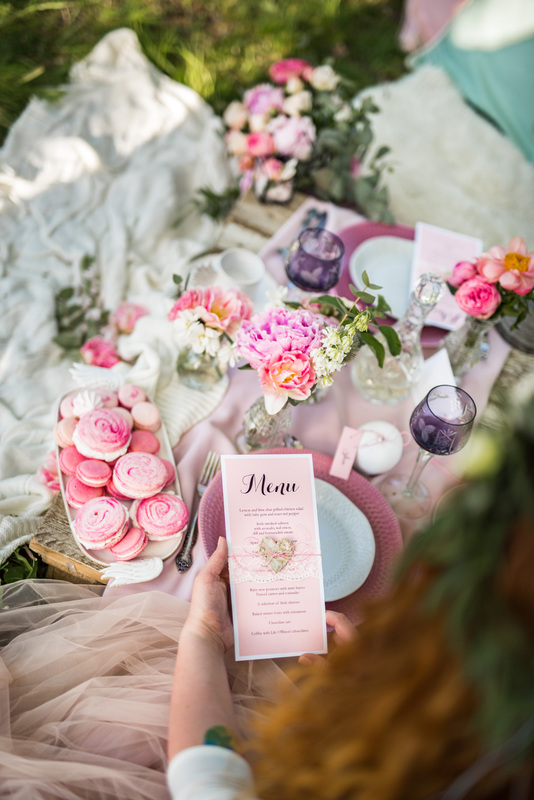 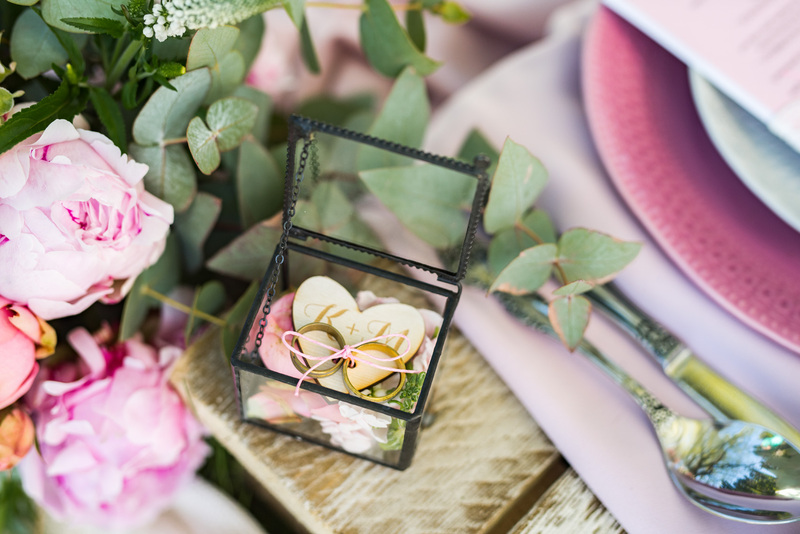 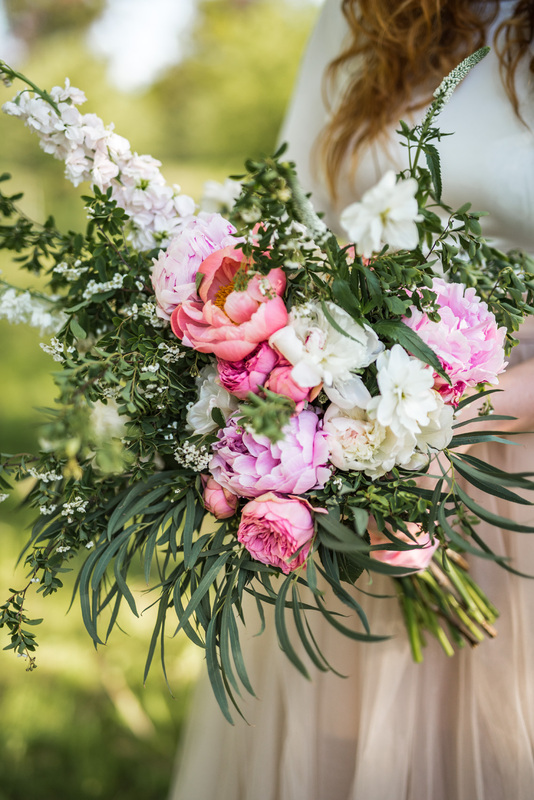 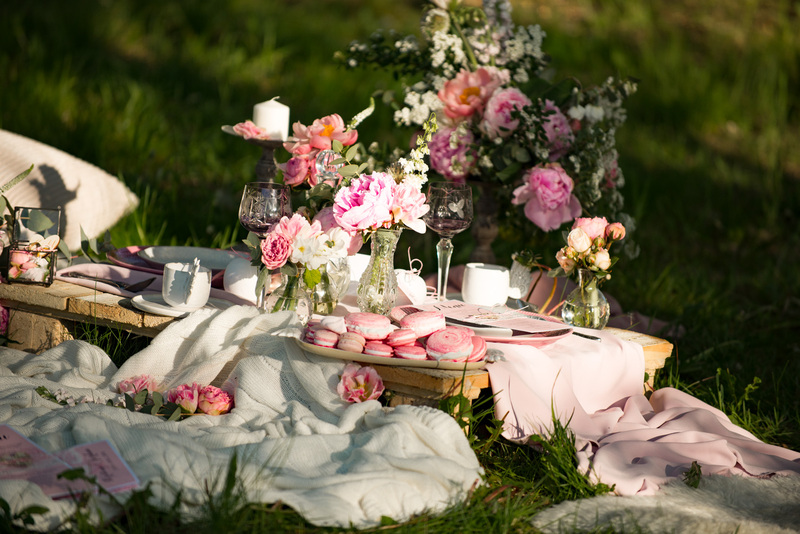 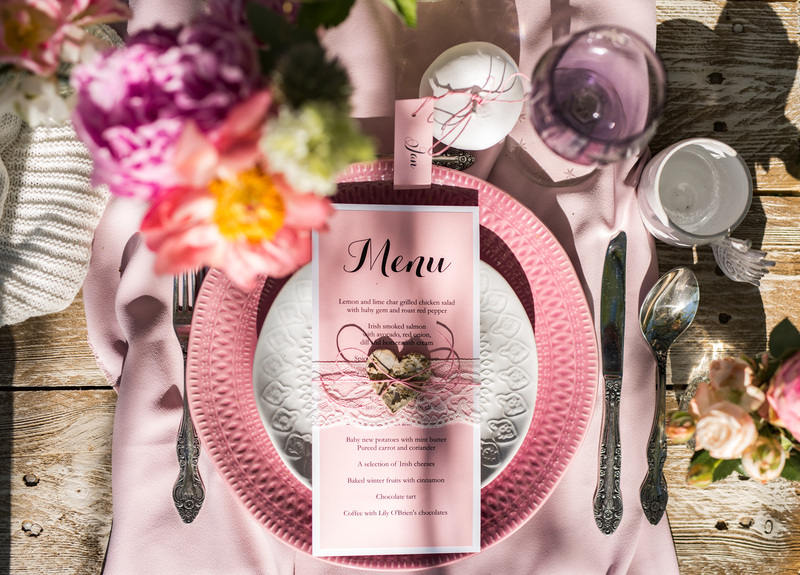 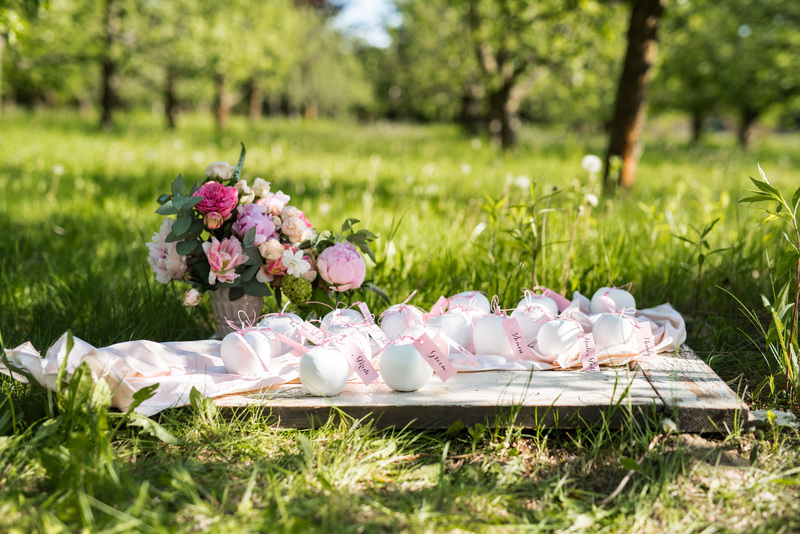 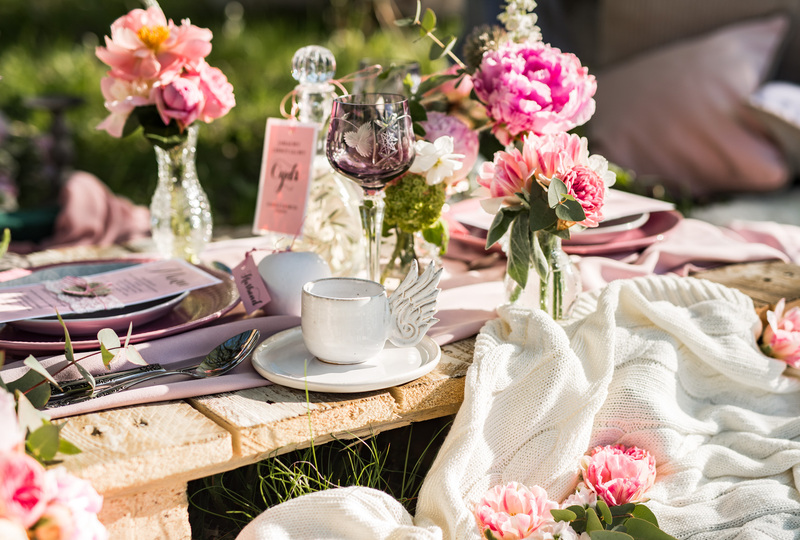 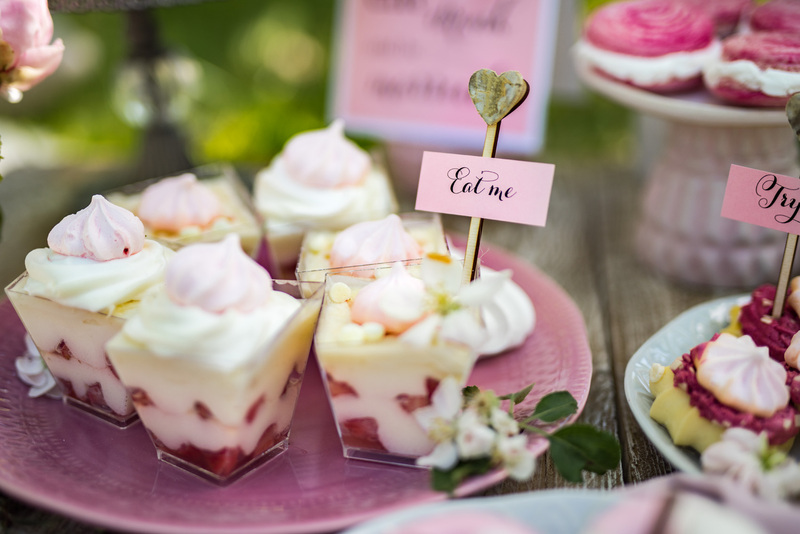 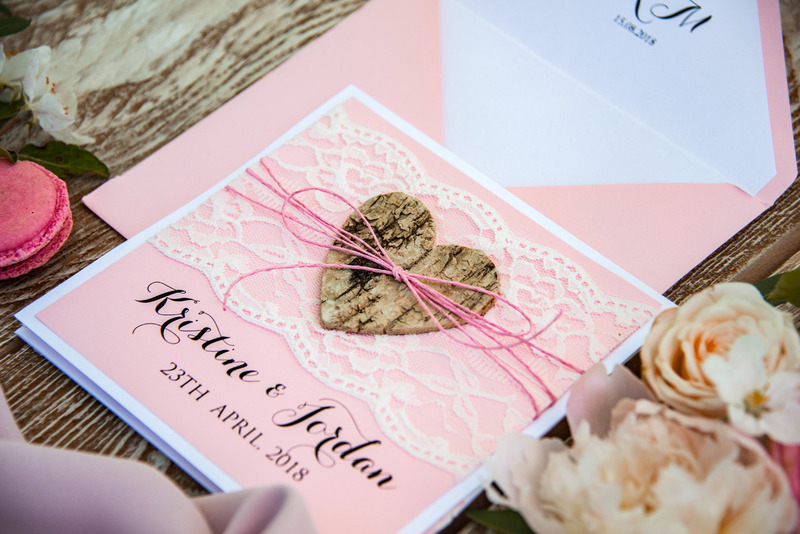 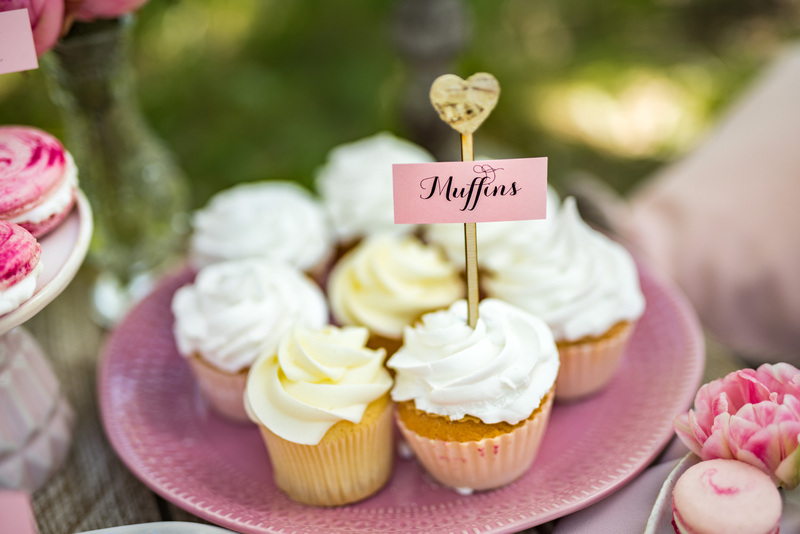 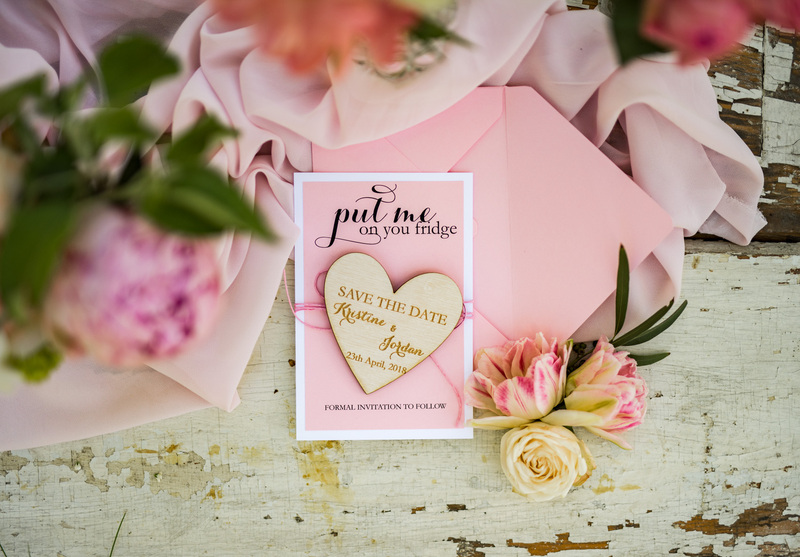 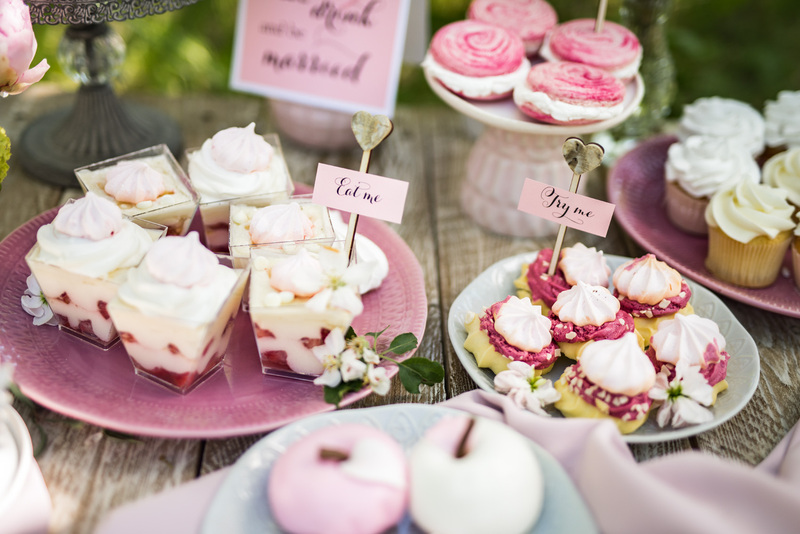 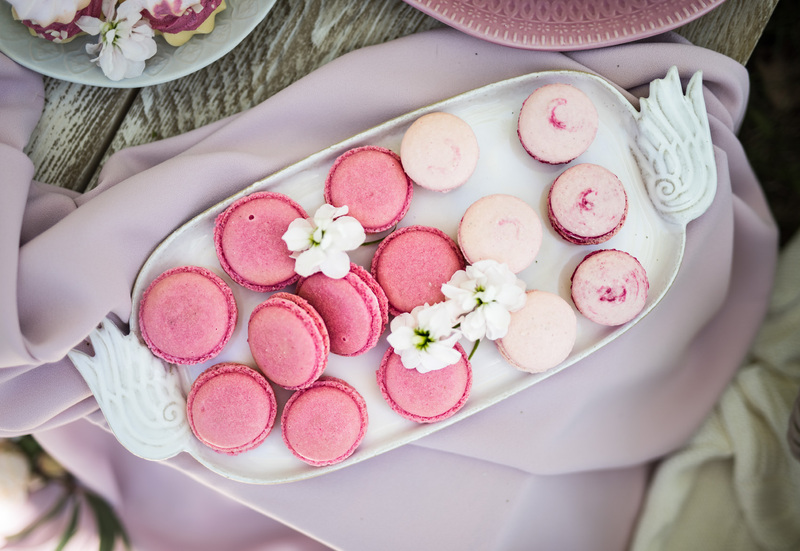 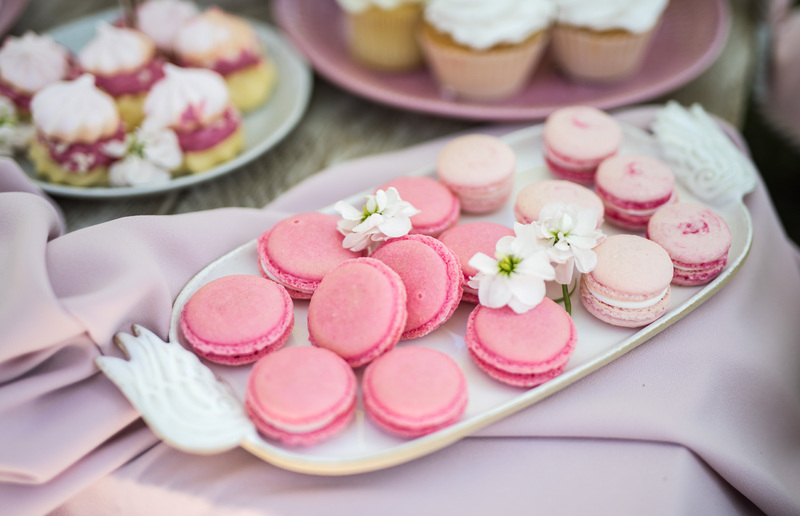 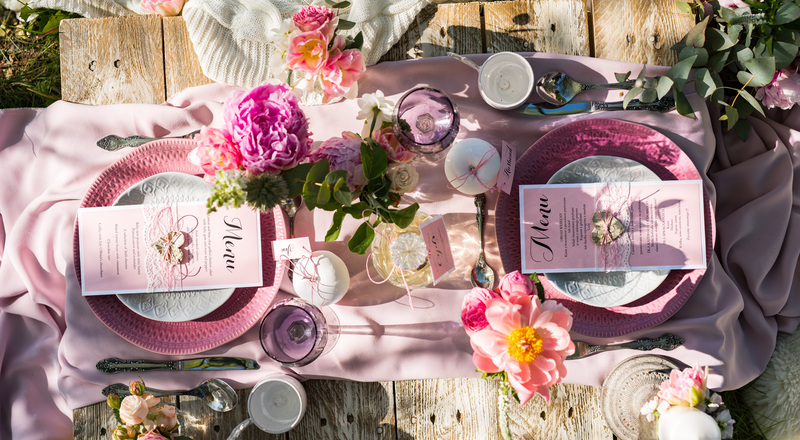 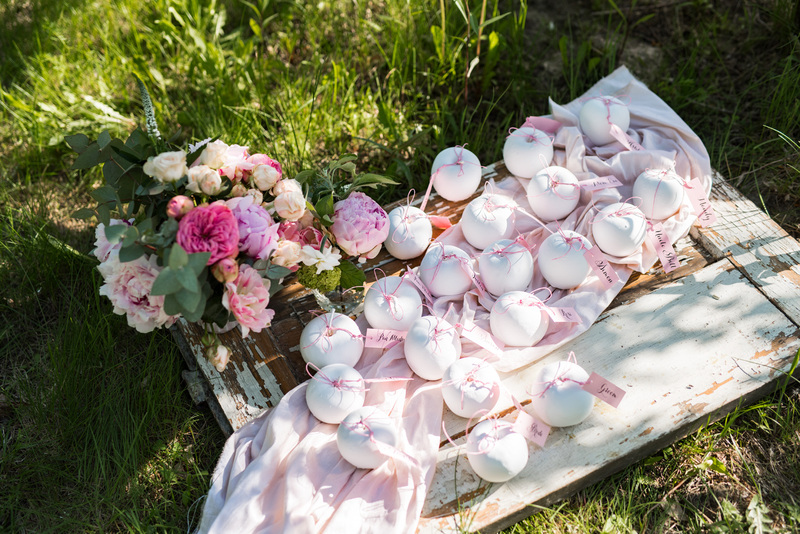 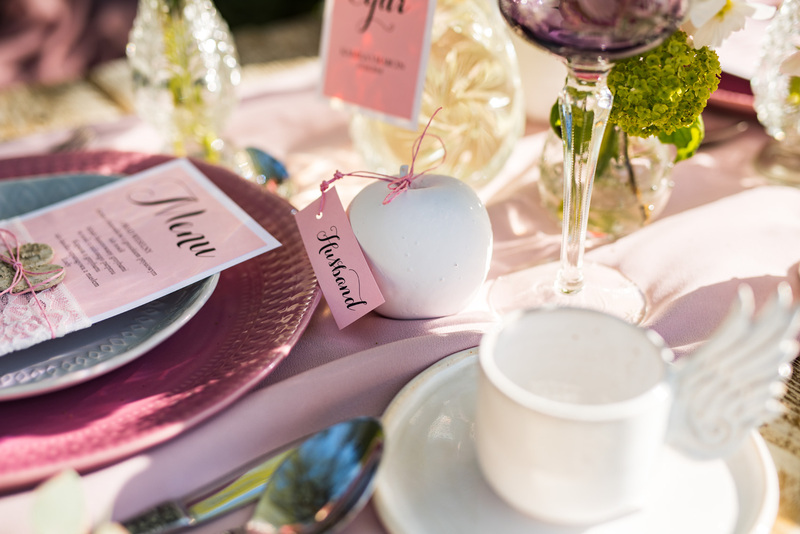 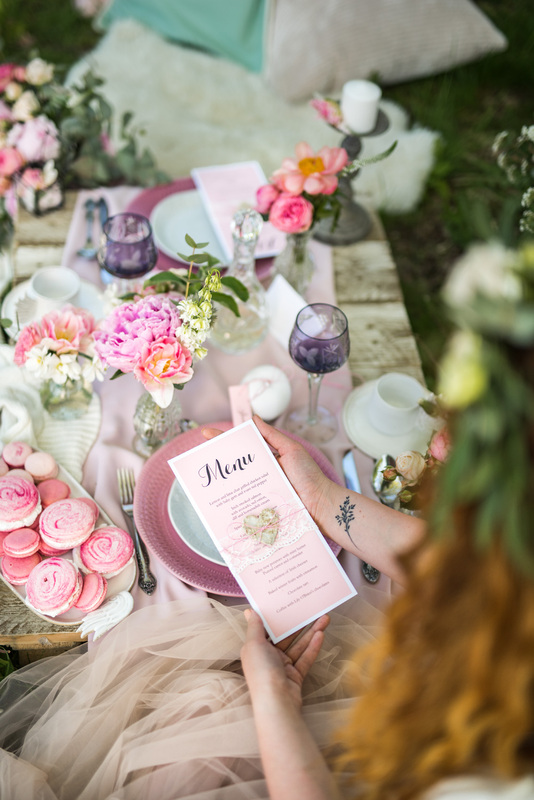 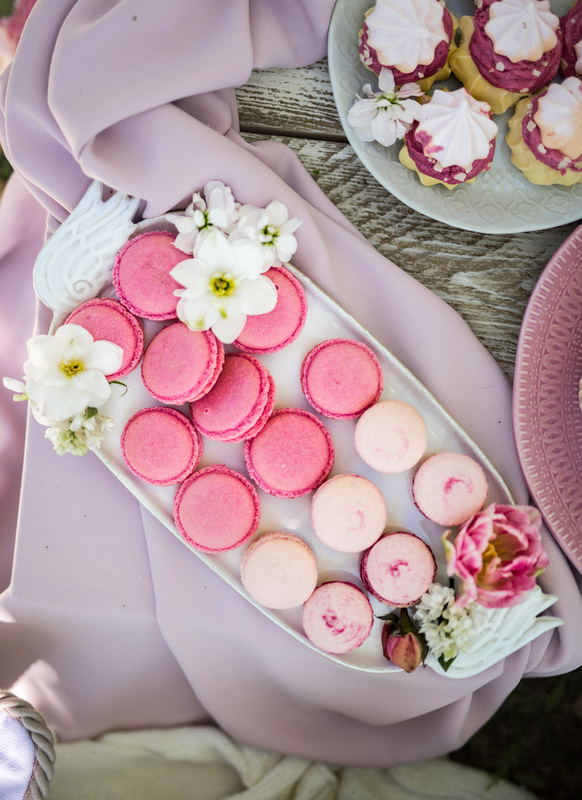 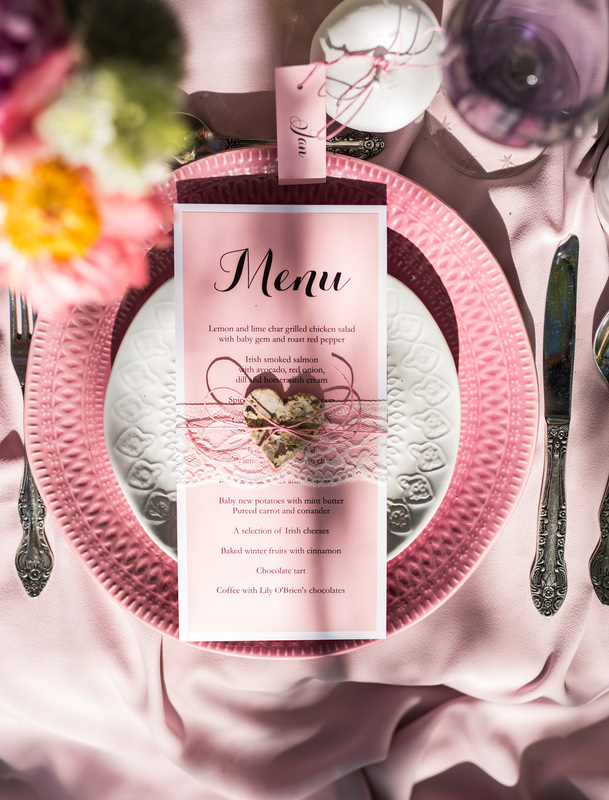 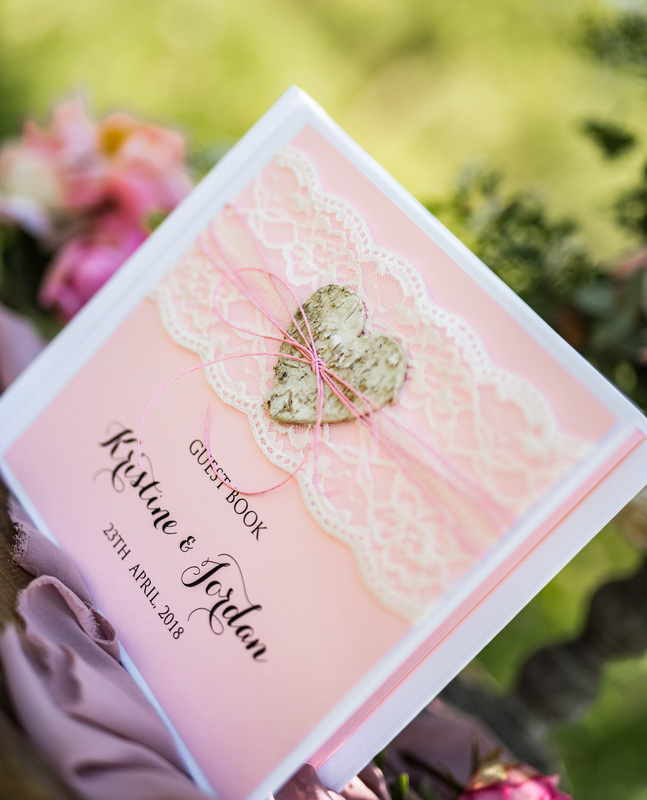 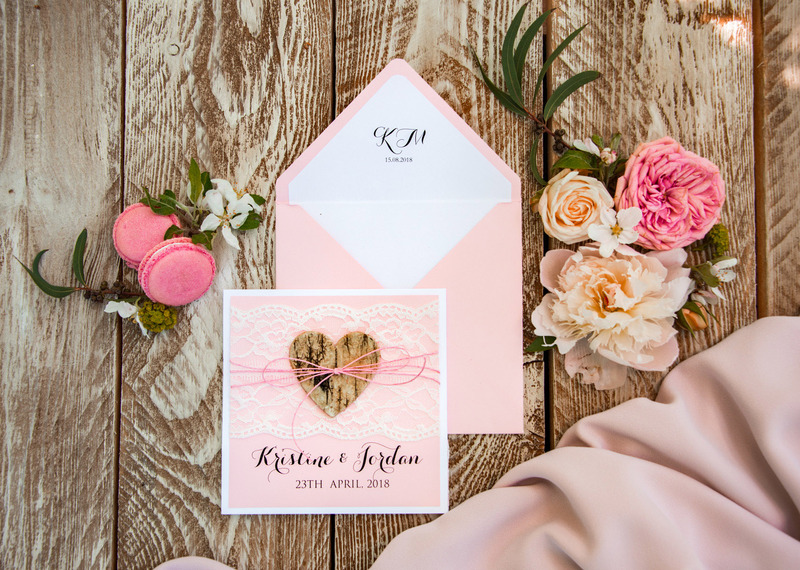 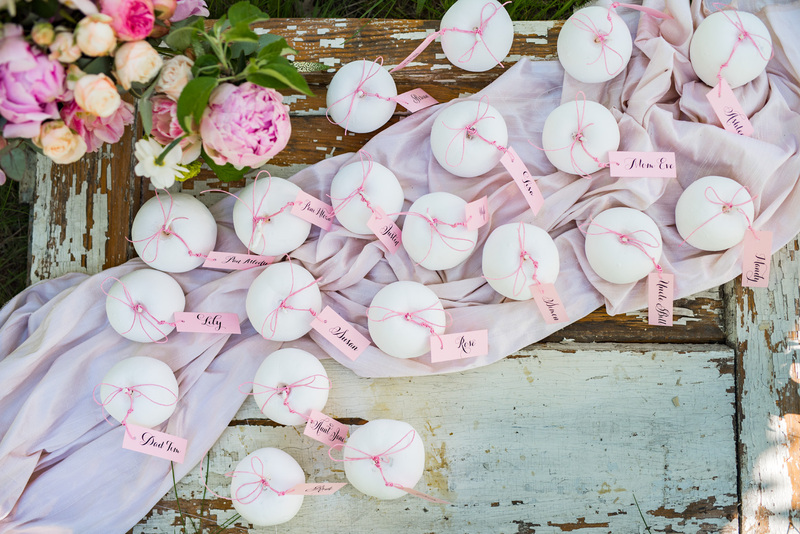 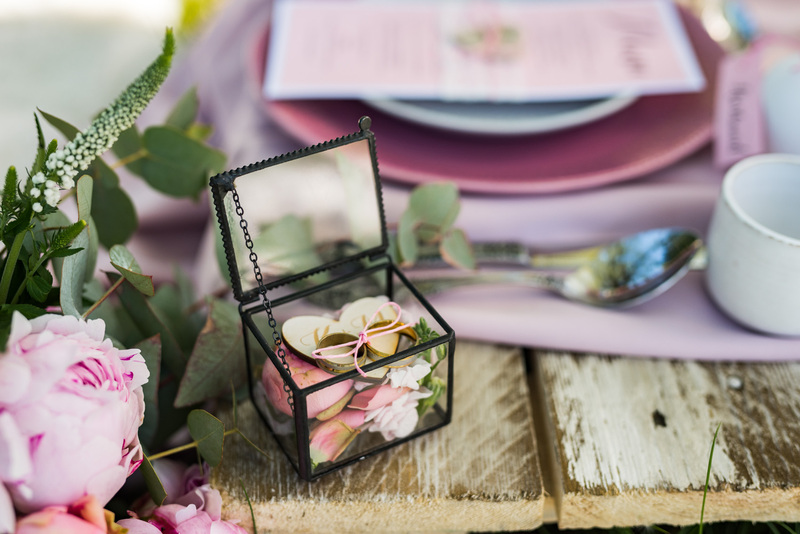 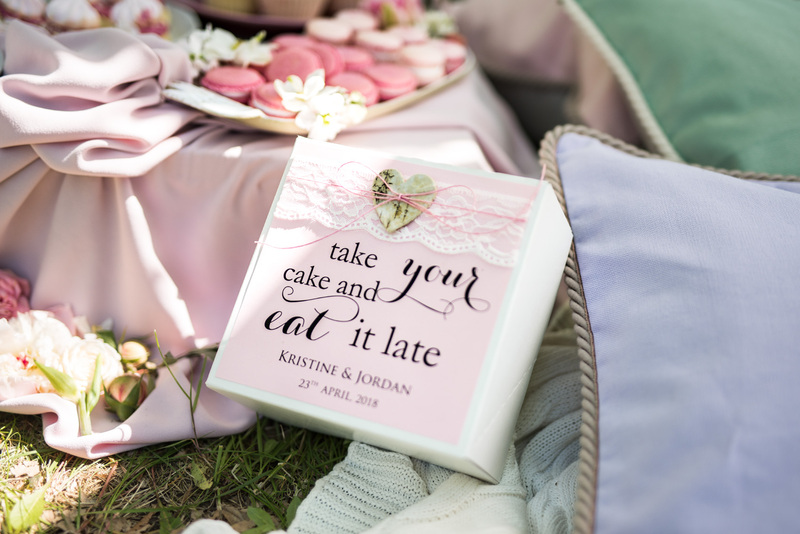 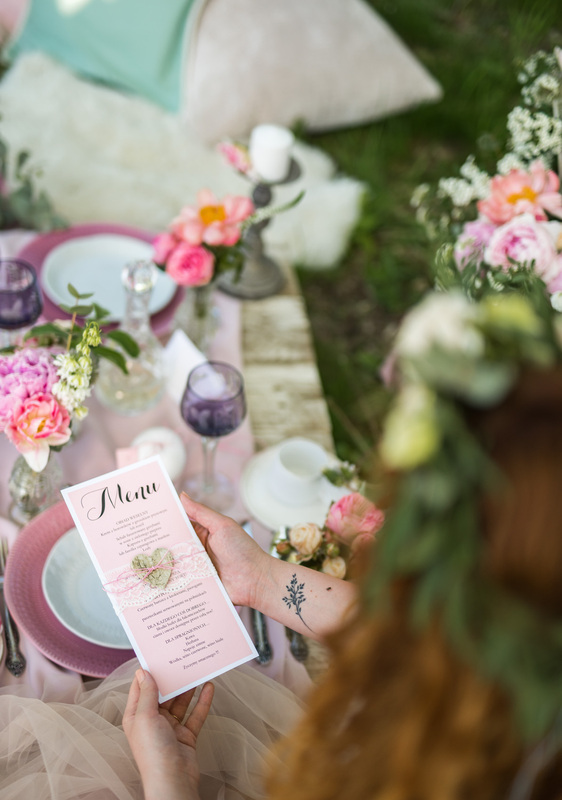 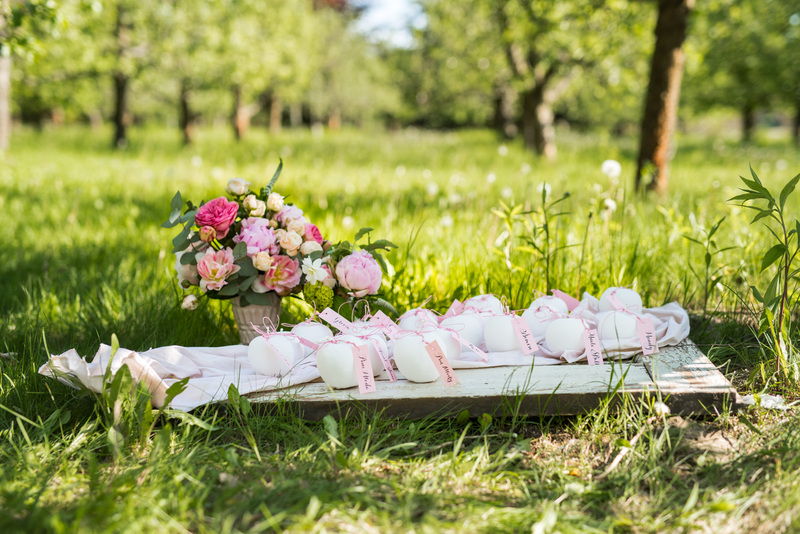 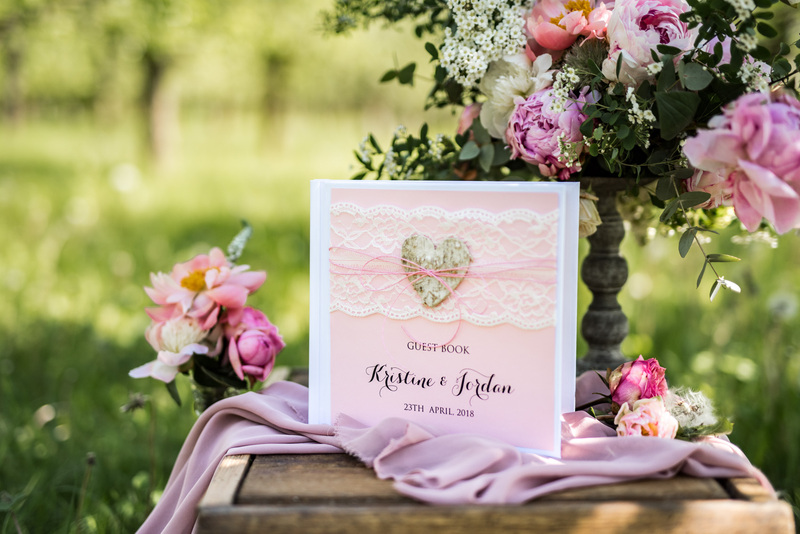 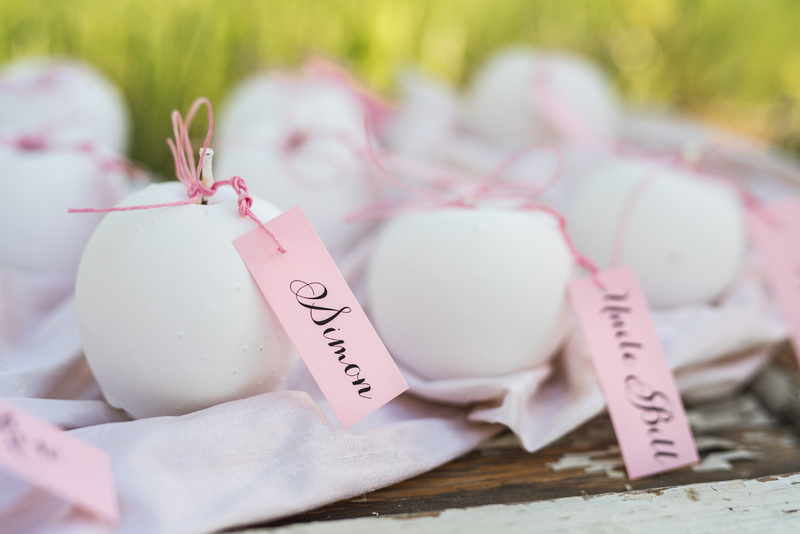 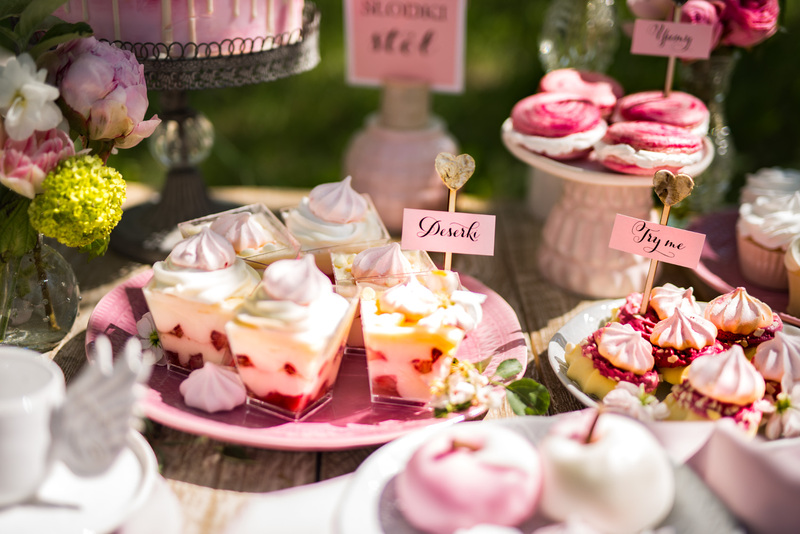 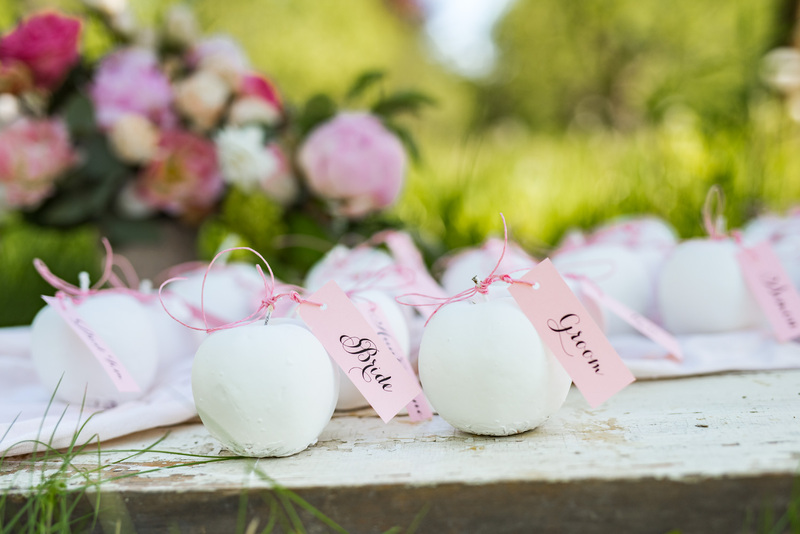 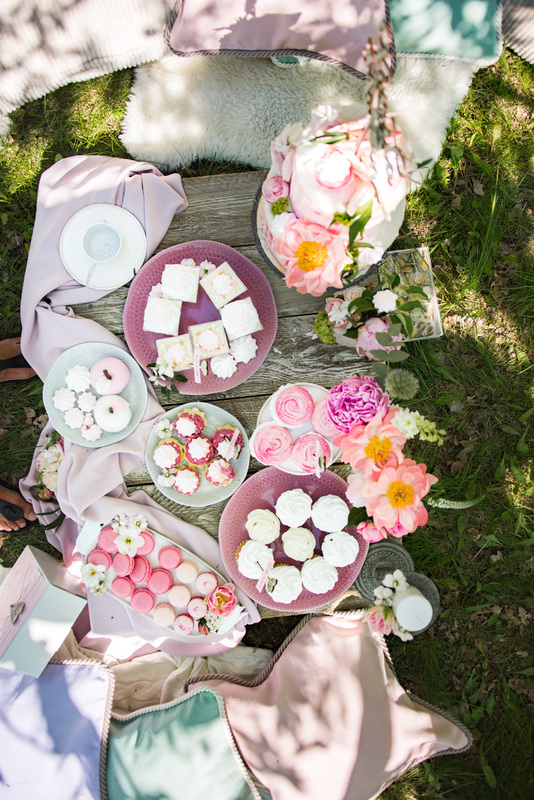 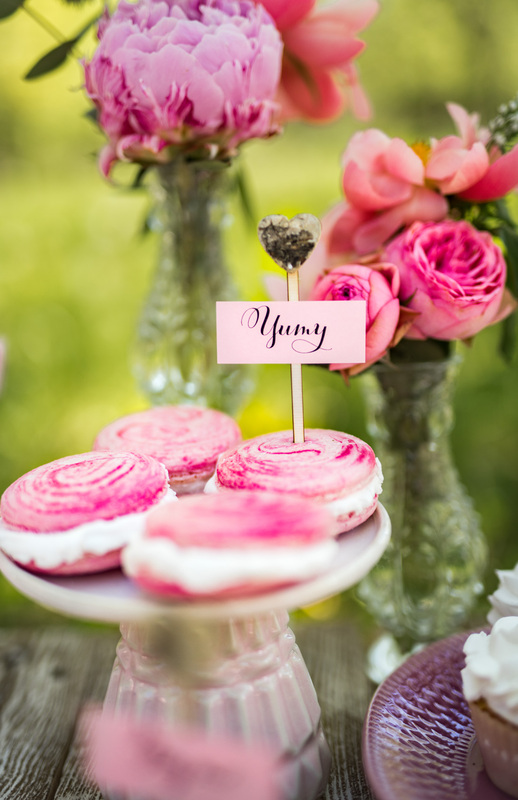 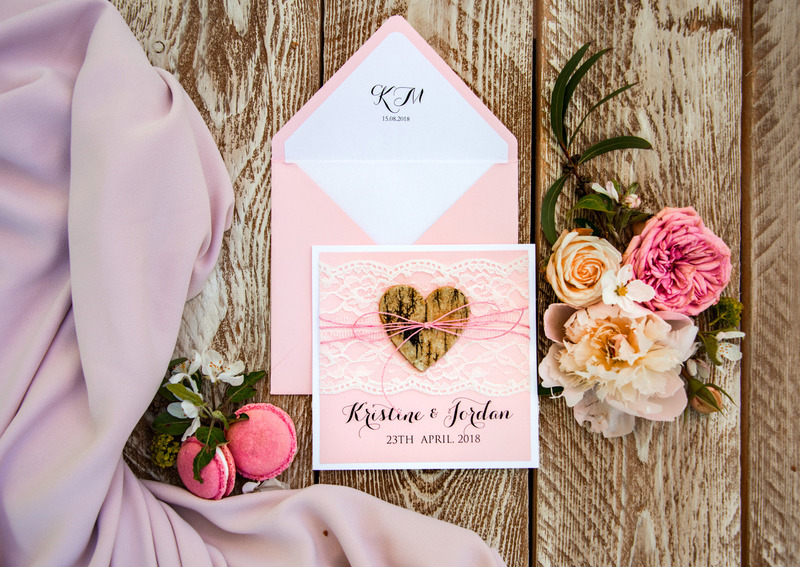 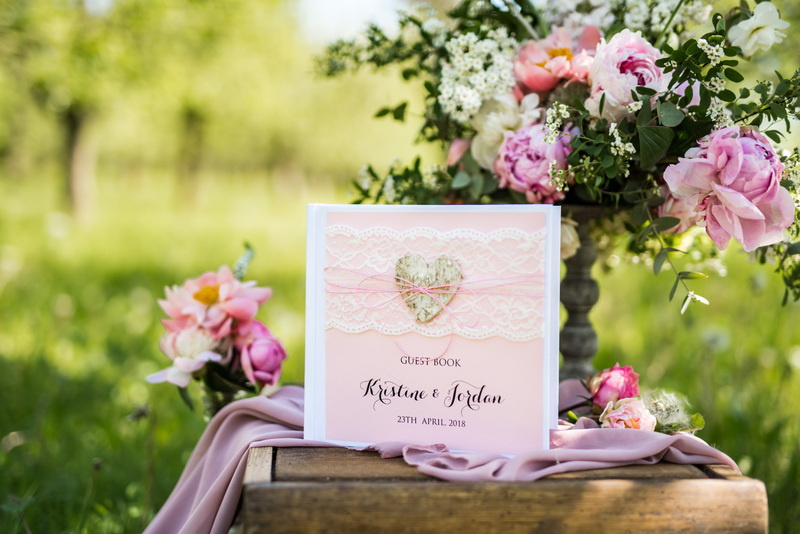 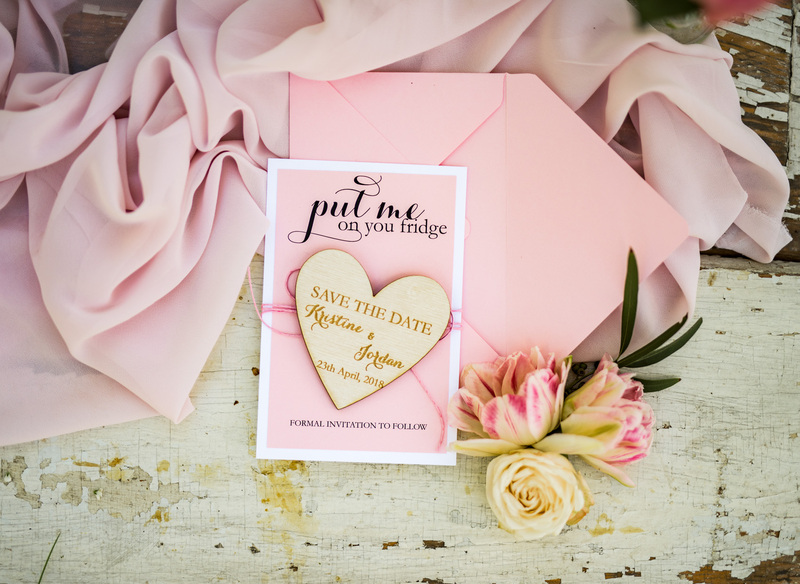 As we all have already known, all shades of pink are ideal for a romantic wedding. 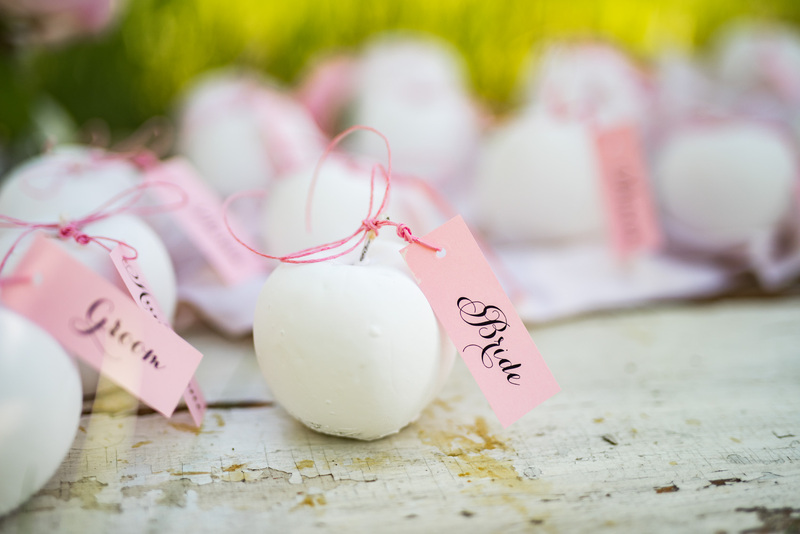 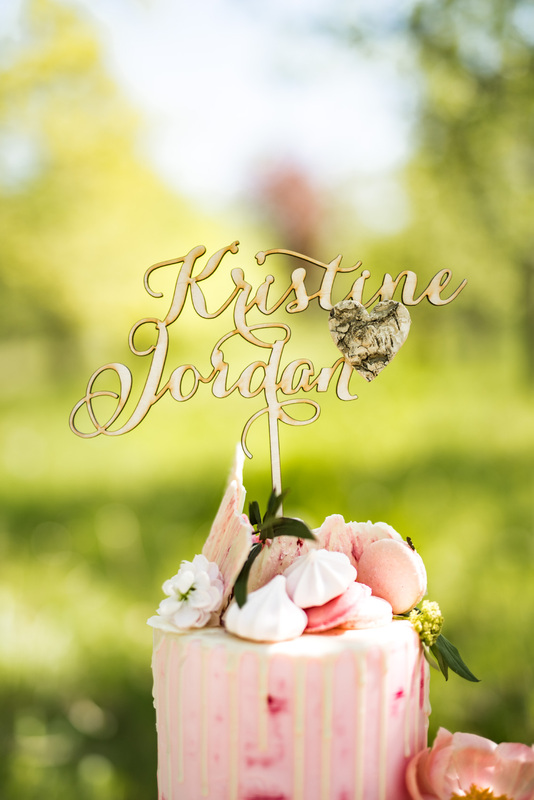 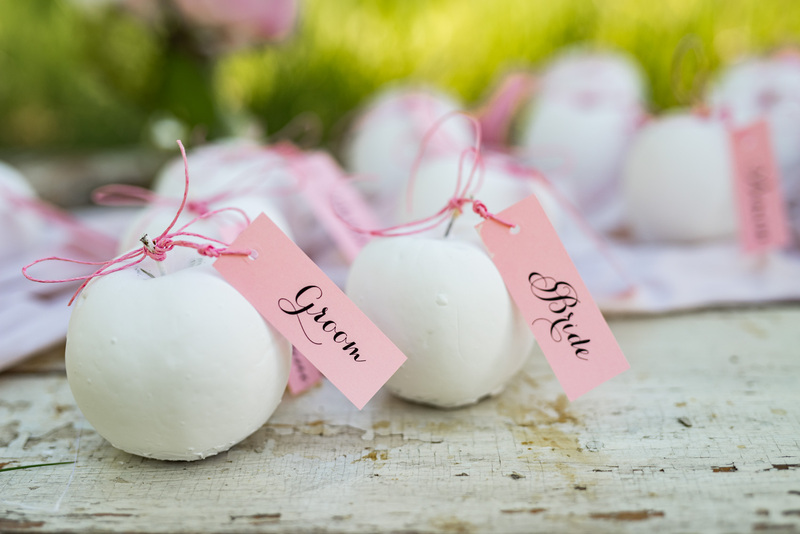 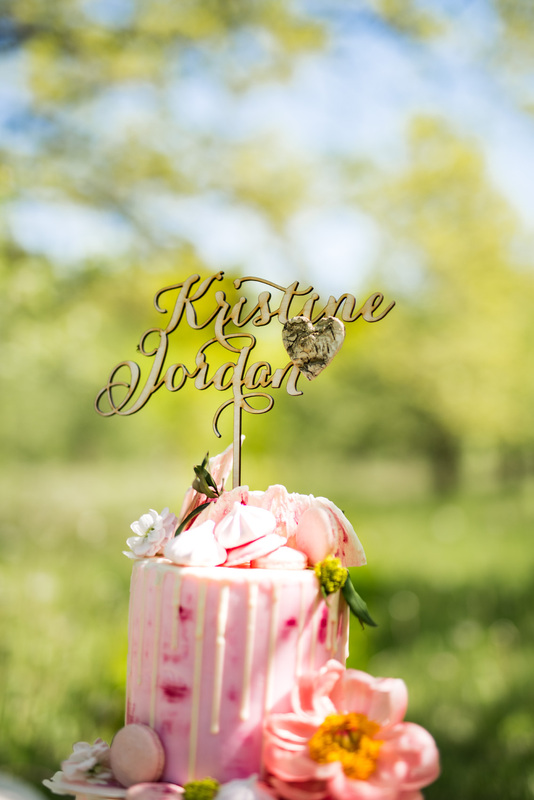 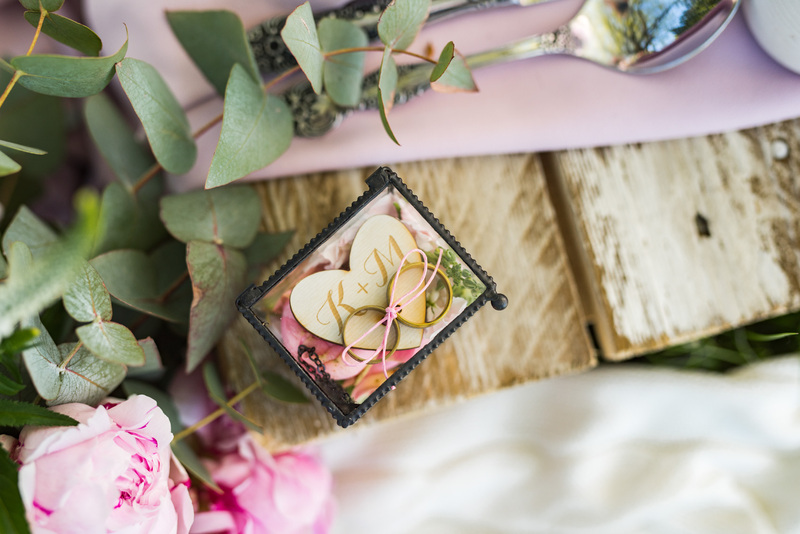 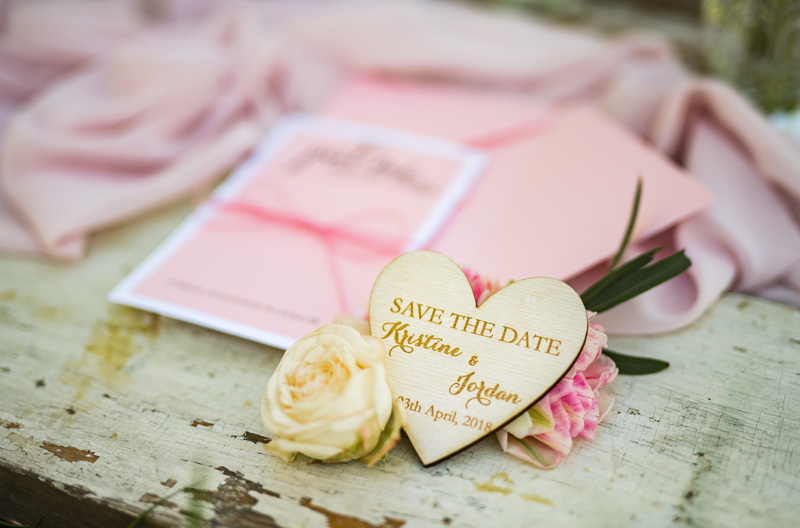 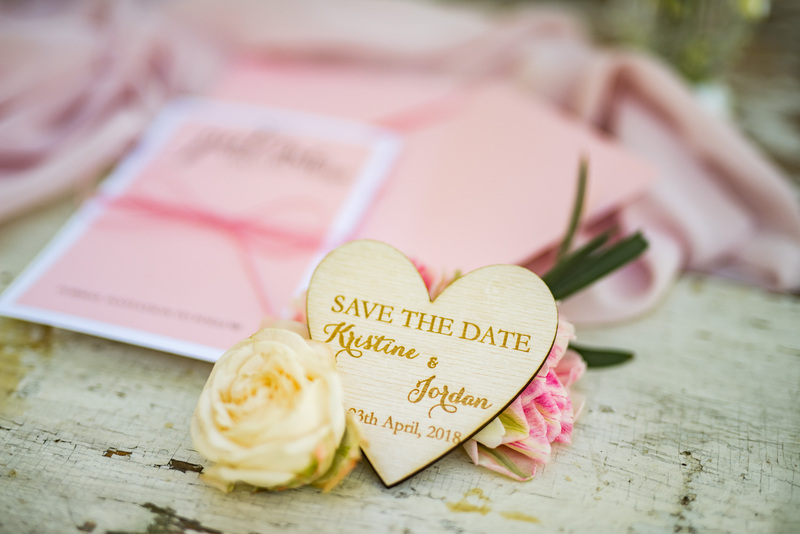 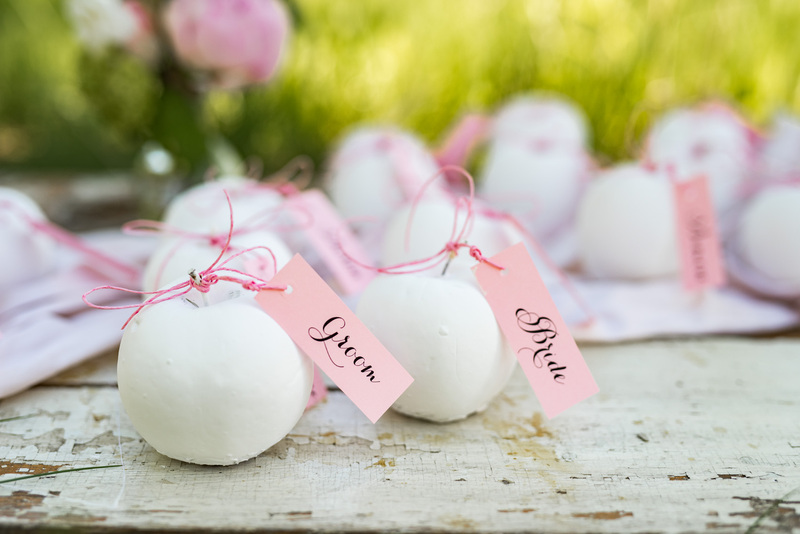 with addition of lace, twine and birch bark heart tag -to break down the sweetness a little bit. 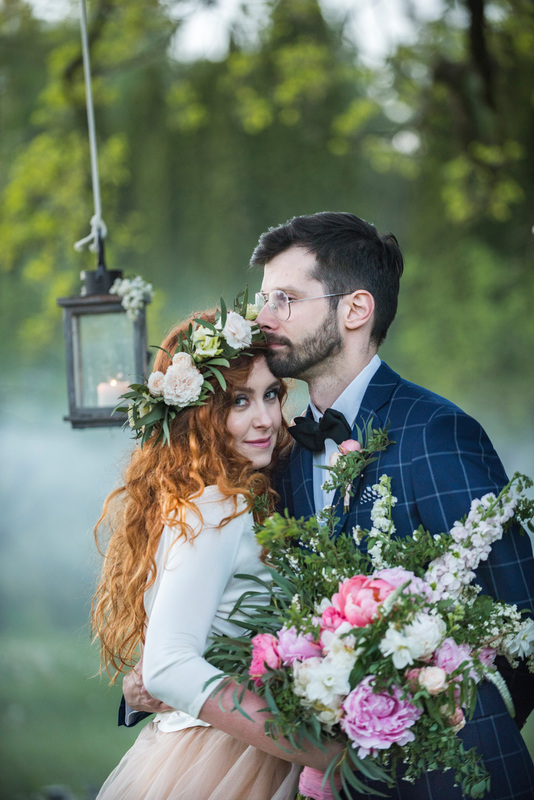 The total look has been decorated with beautiful flowers. 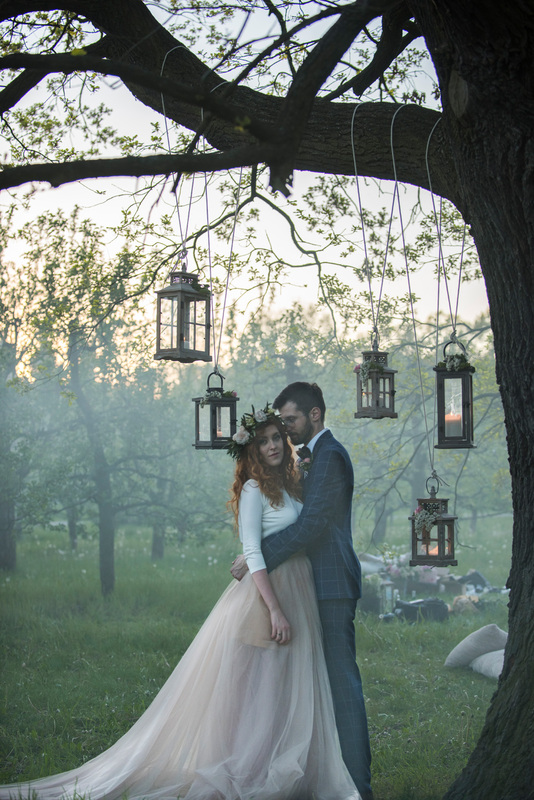 What happens when the fairytale vibes meets a whimsical affair? 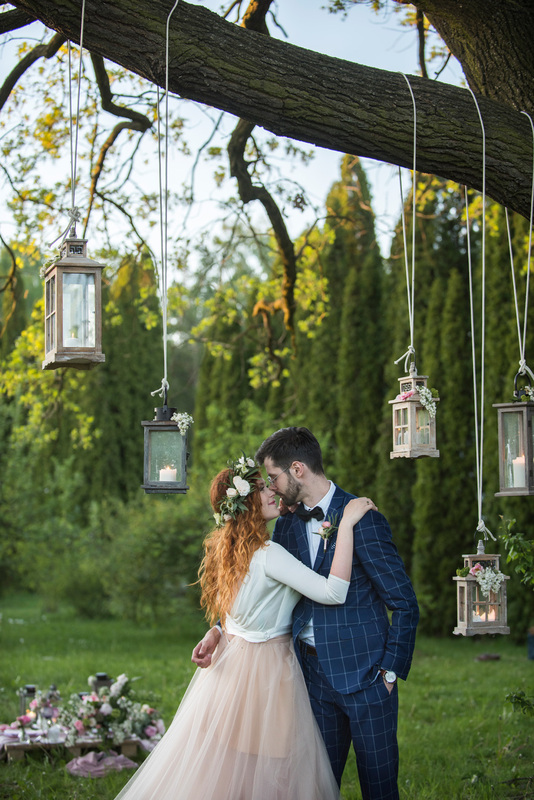 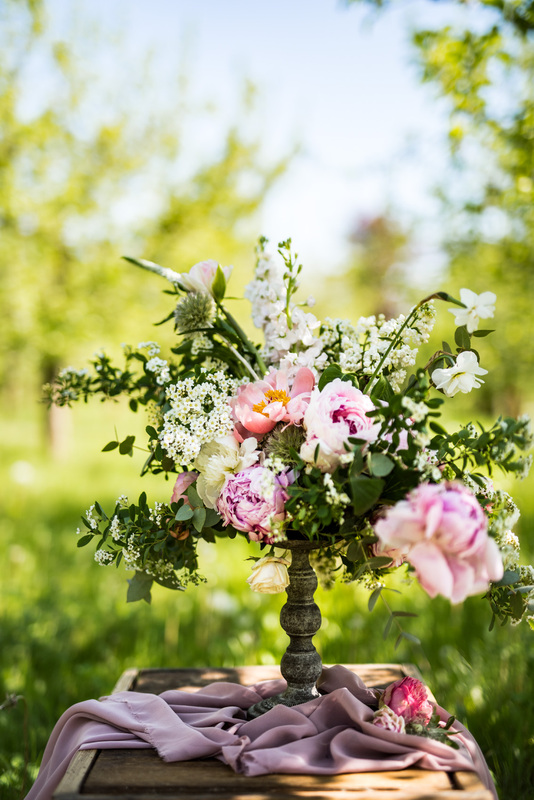 A Perfect romantic garden wedding!